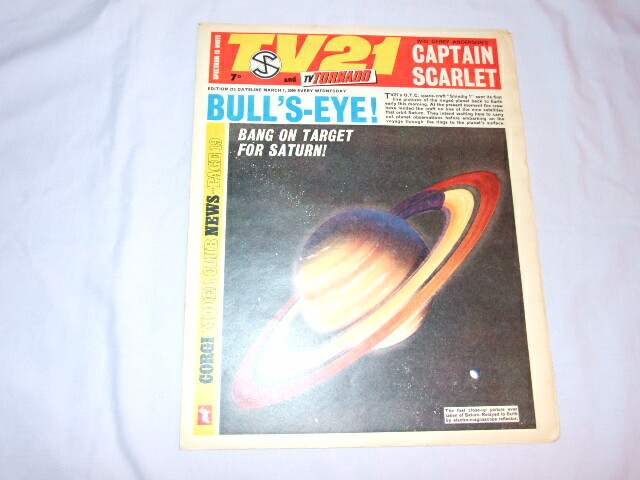 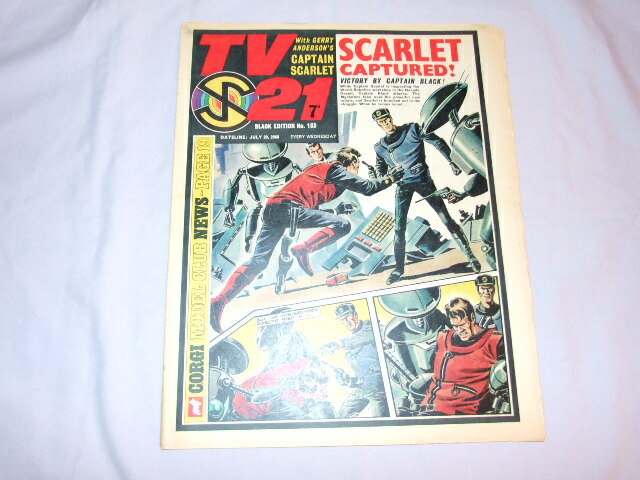 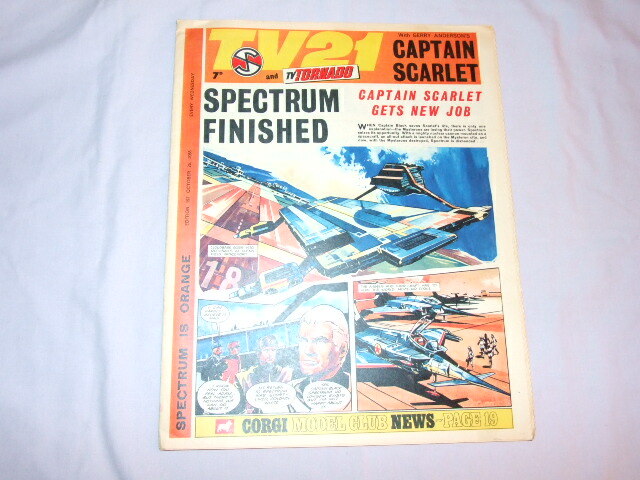 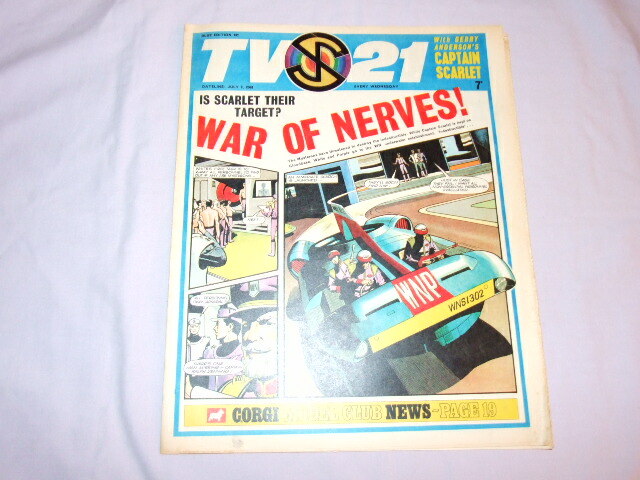 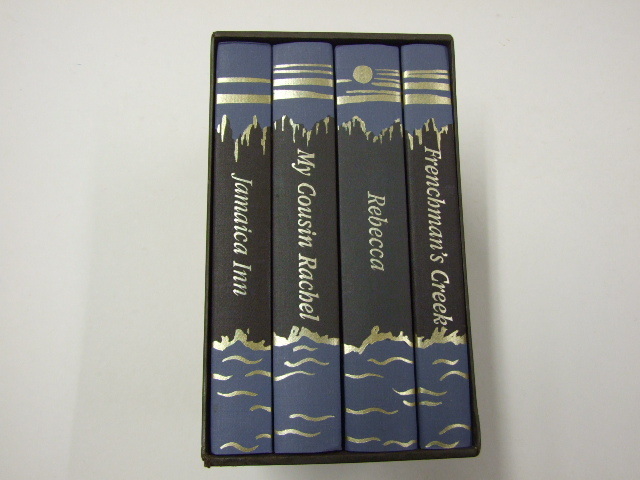 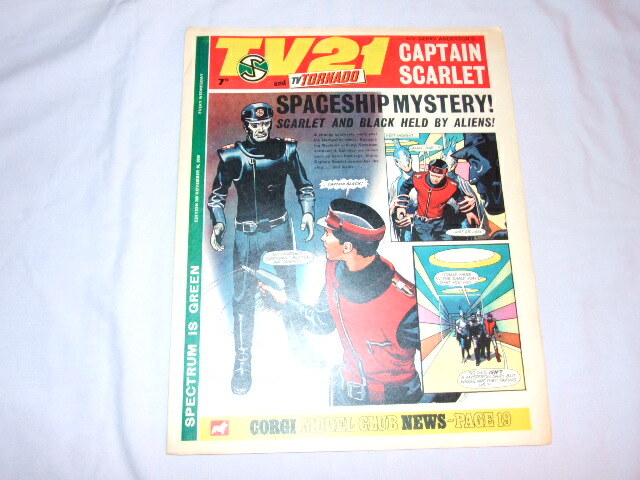 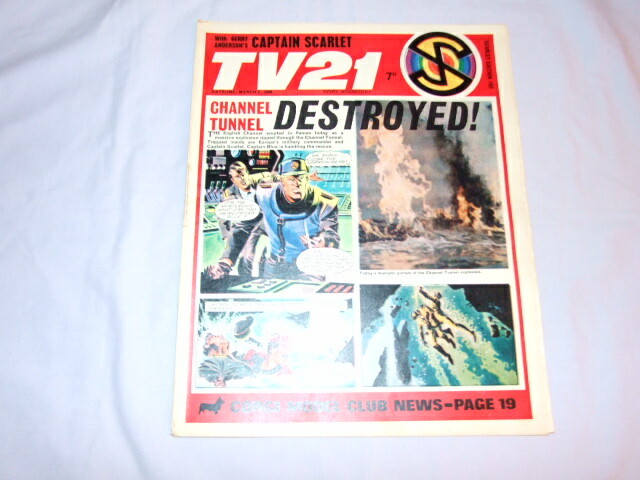 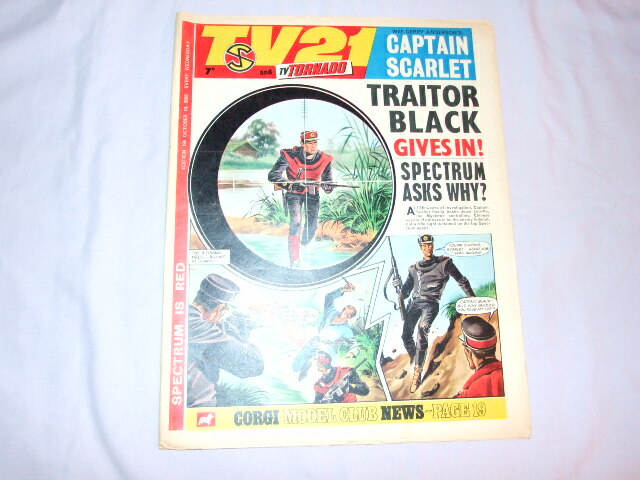 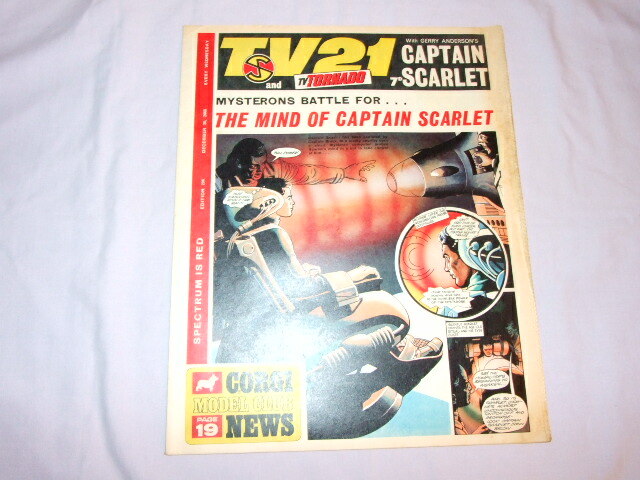 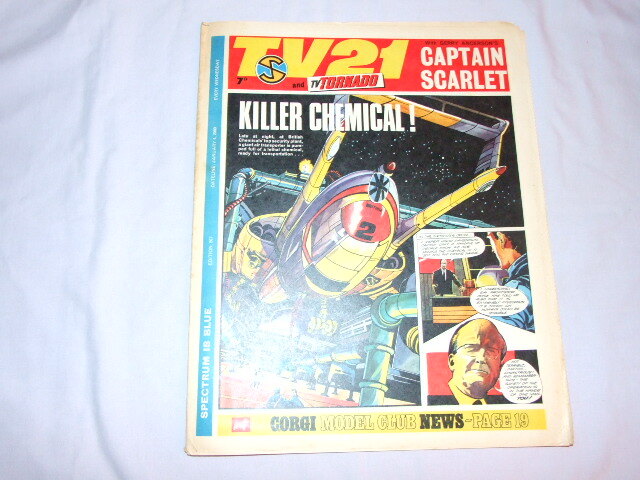 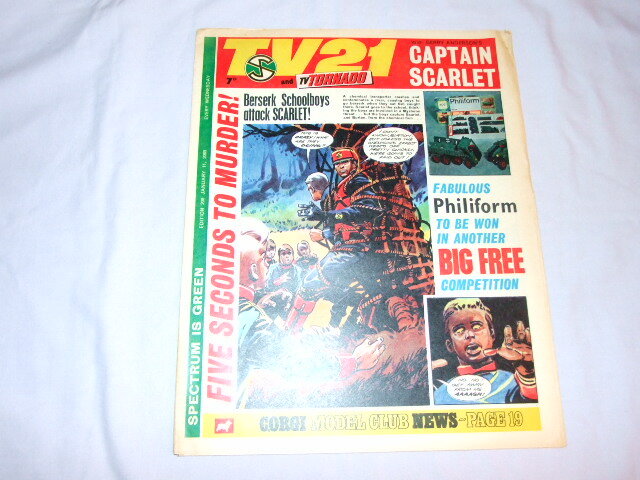 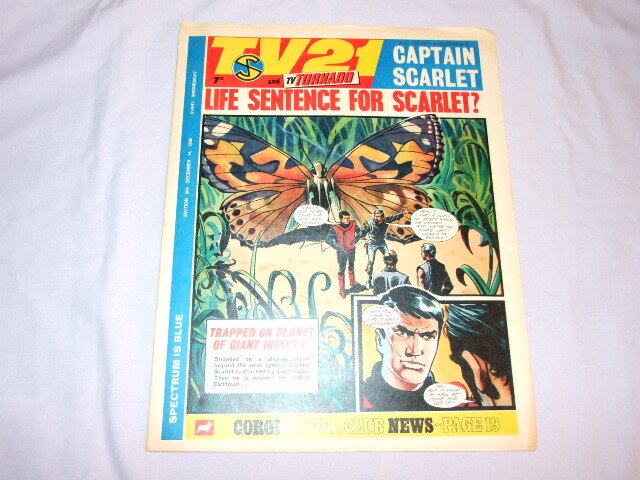 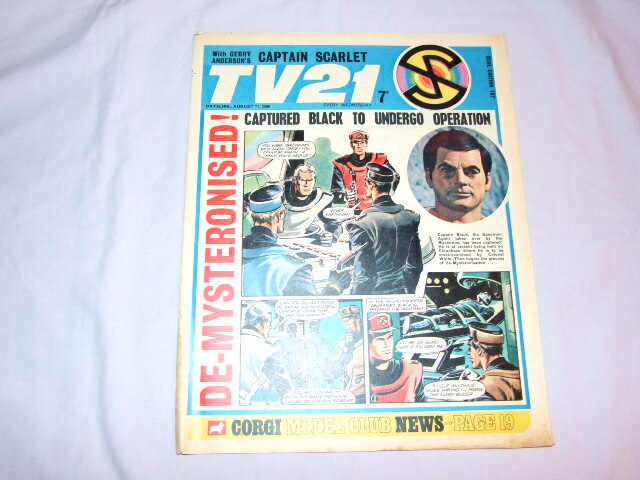 Selling Secondhand Books TV 21 comics - buying and selling on the internet. 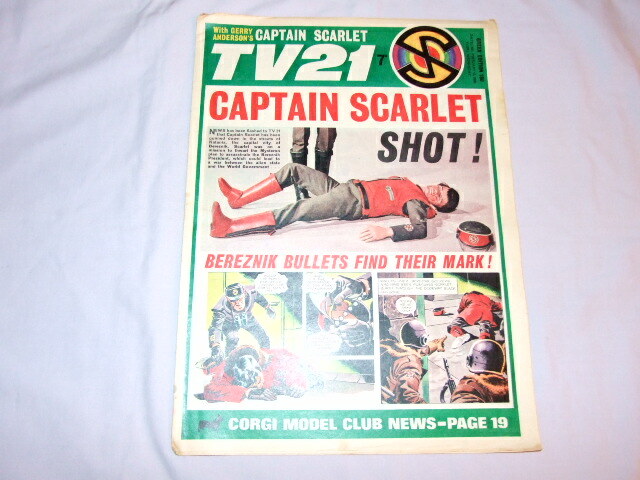 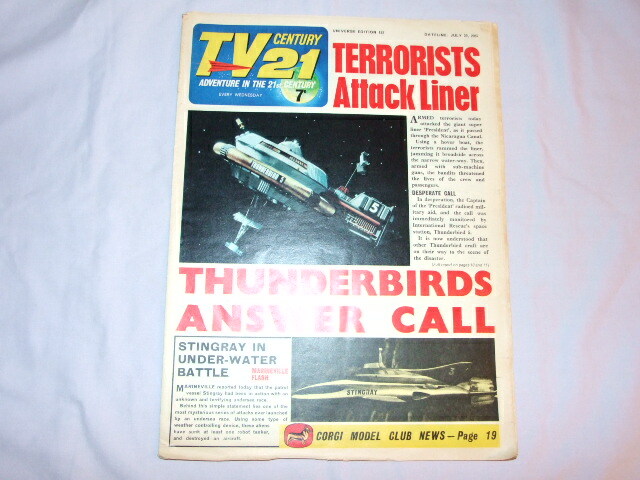 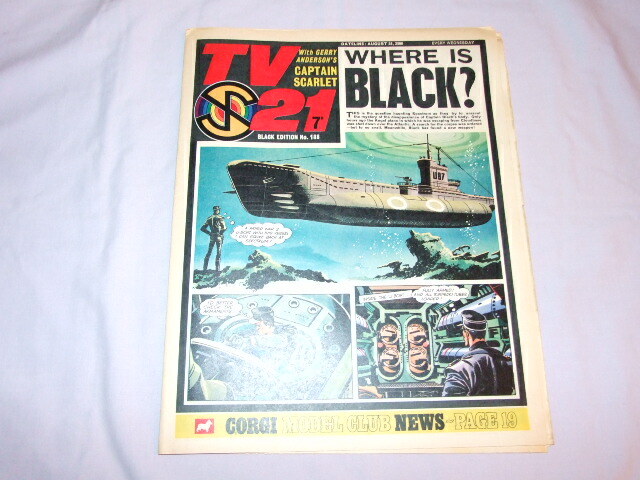 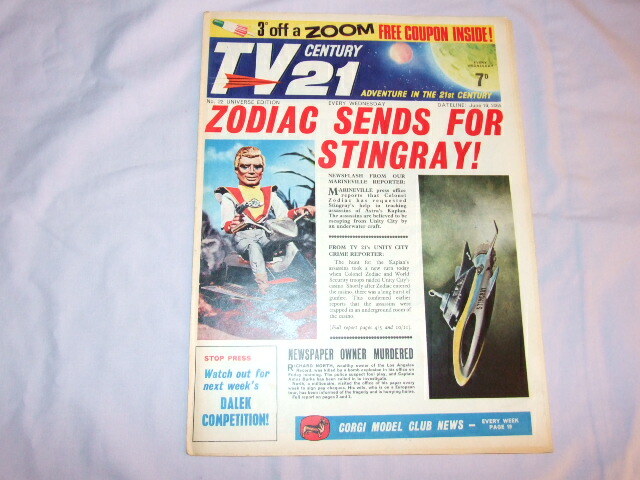 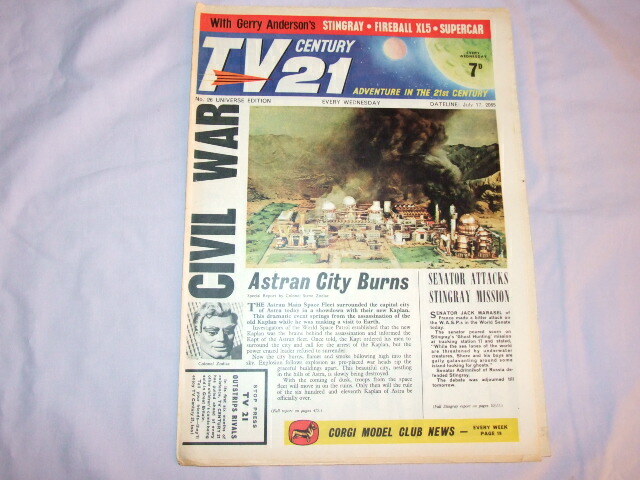 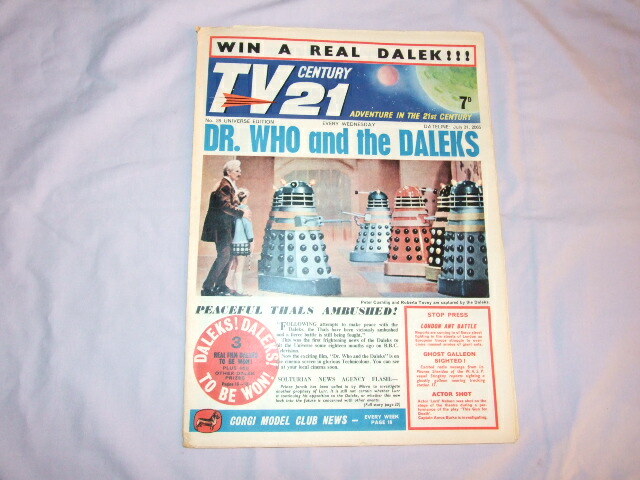 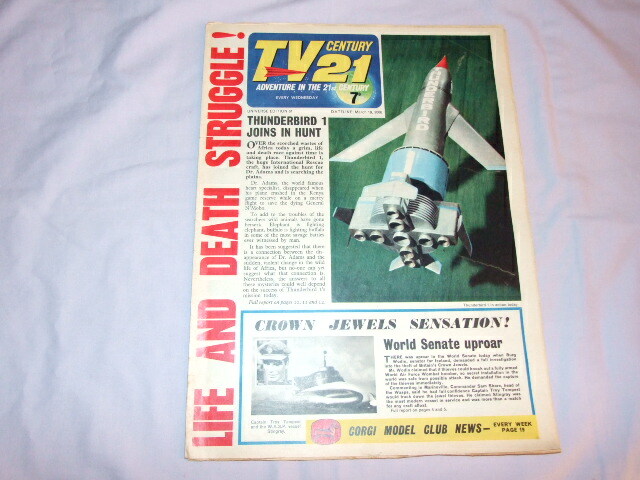 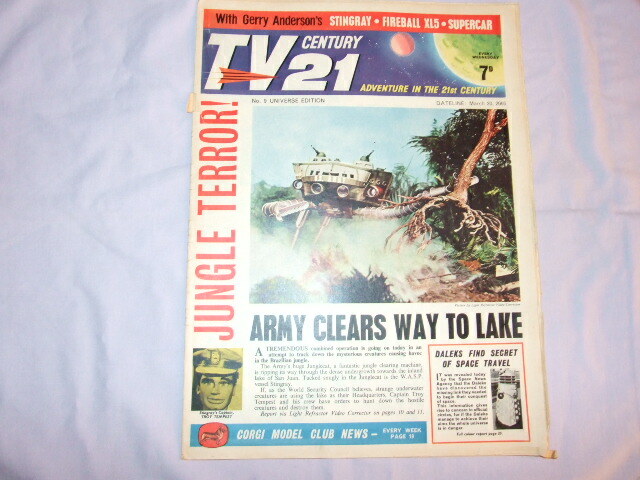 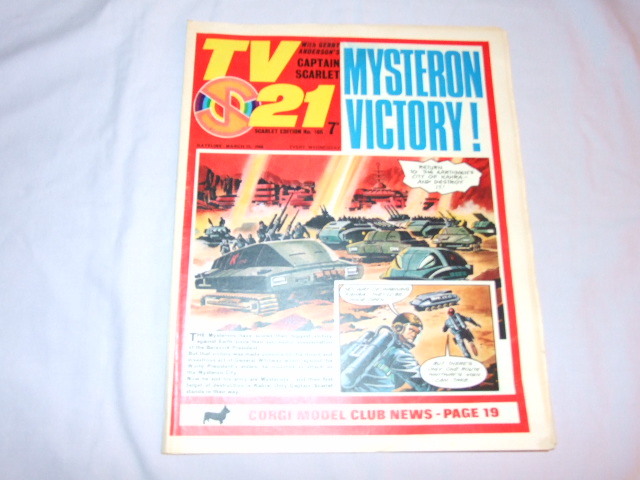 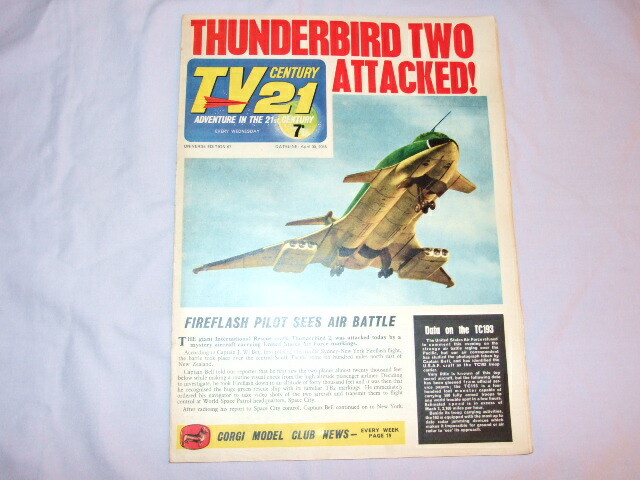 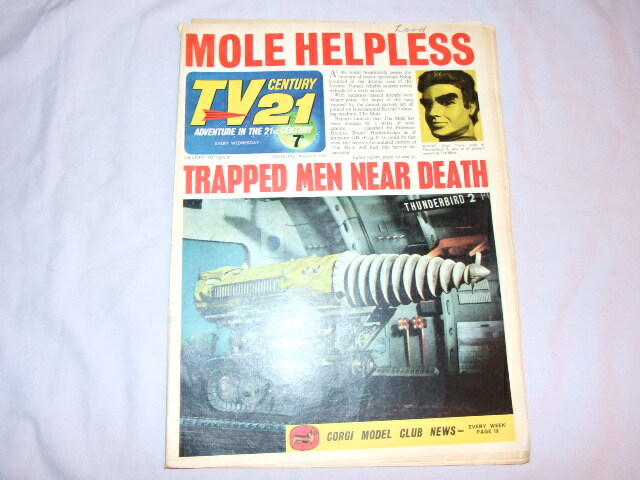 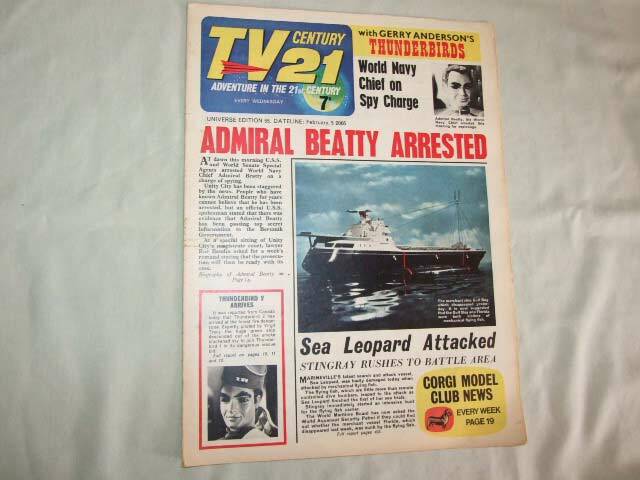 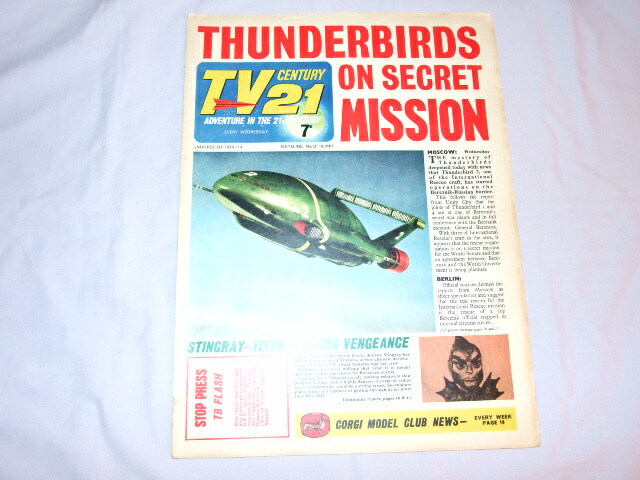 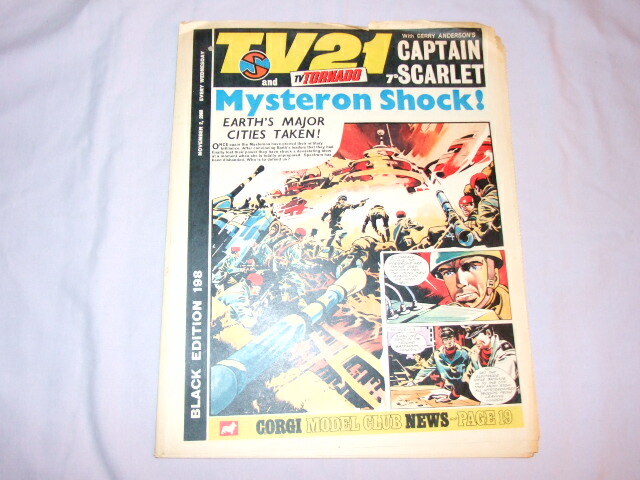 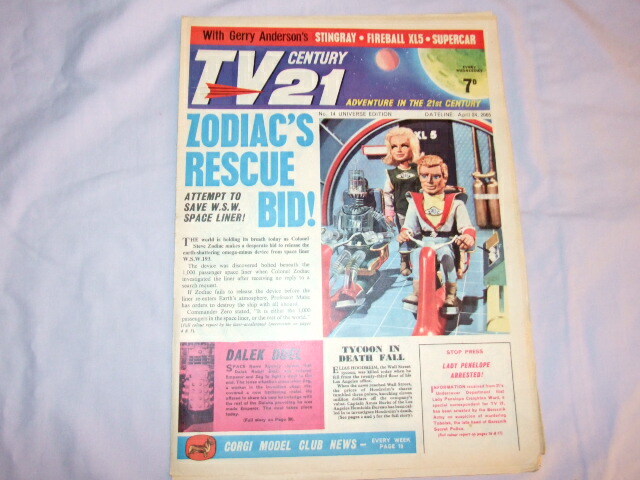 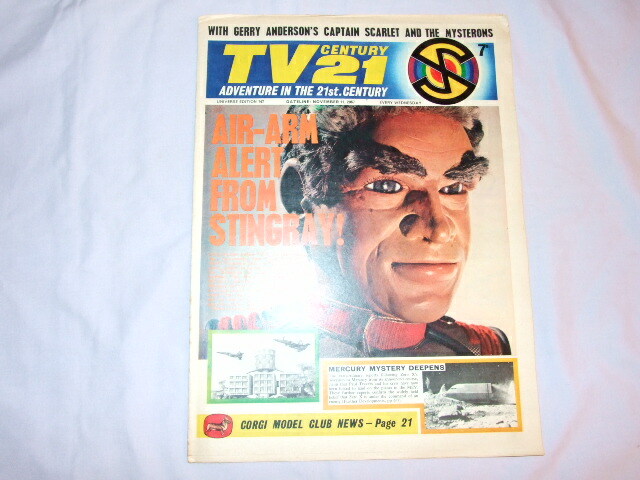 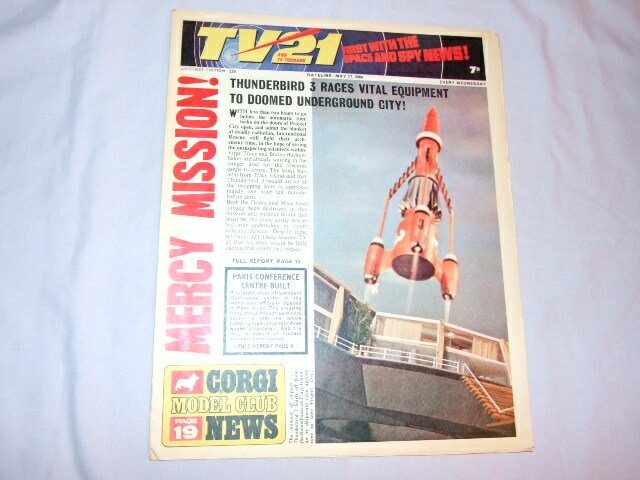 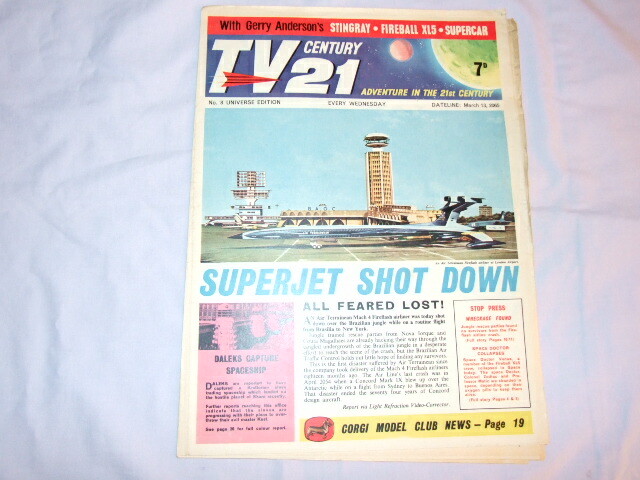 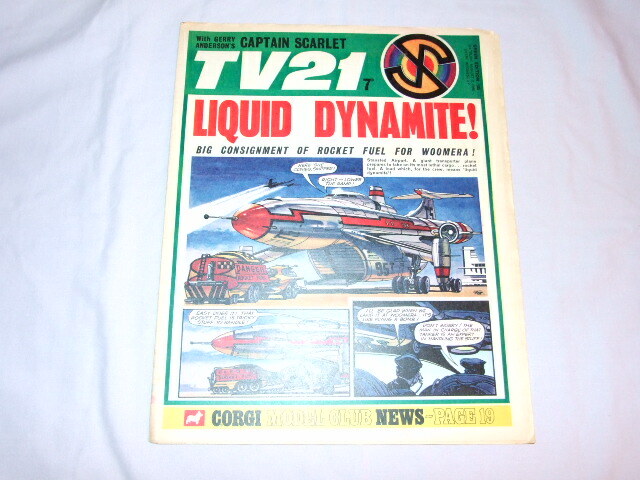 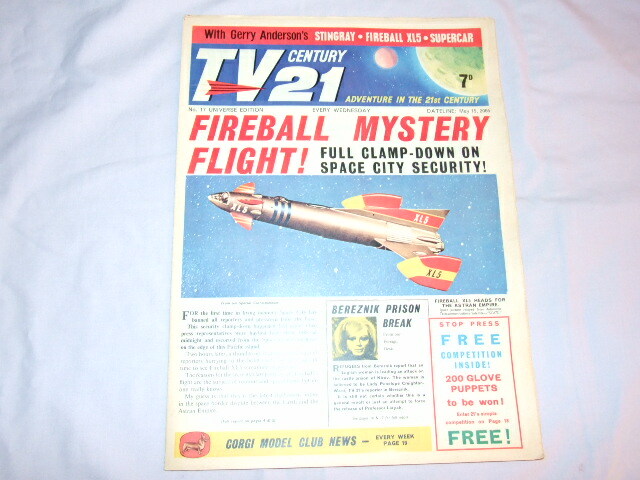 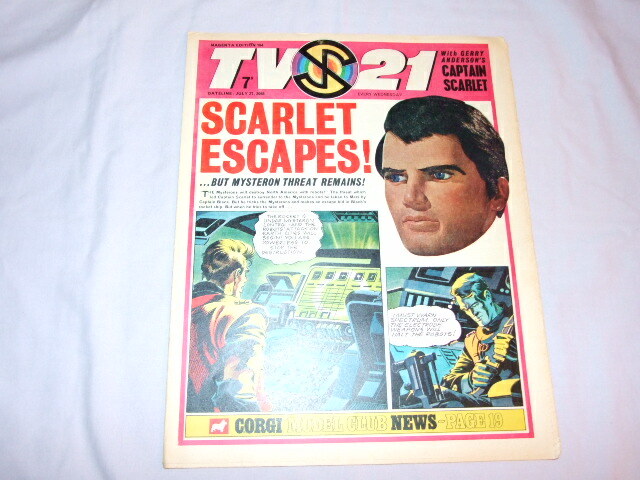 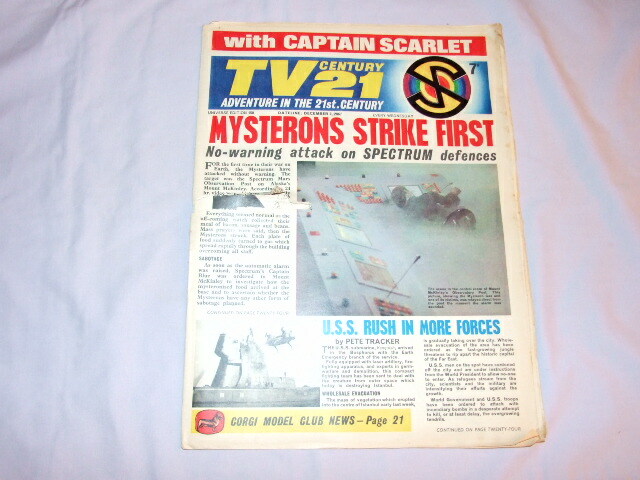 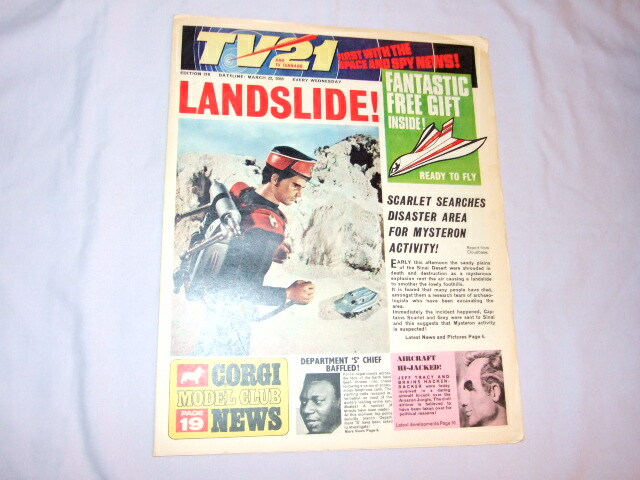 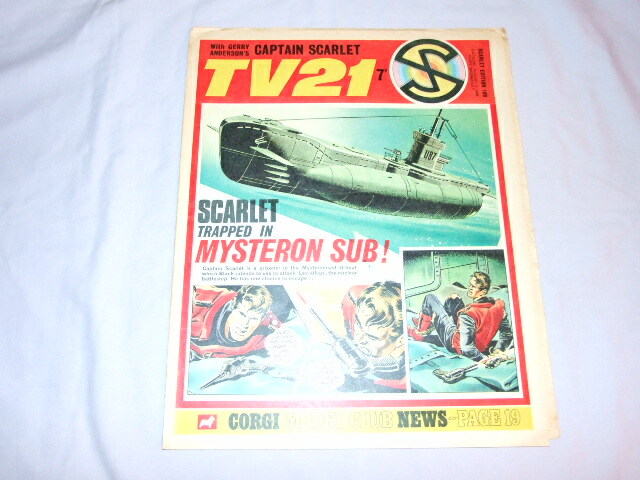 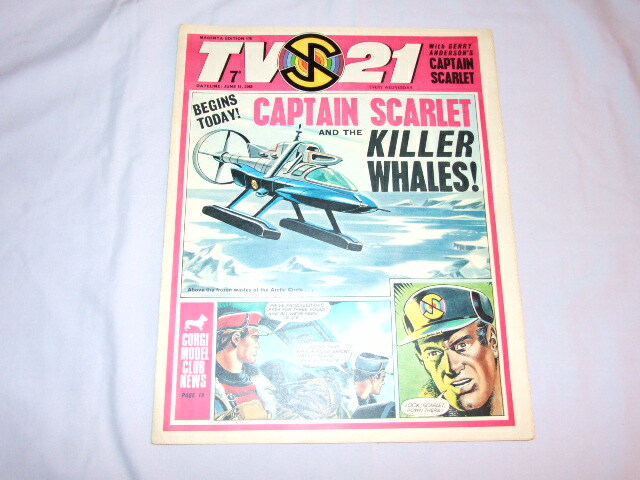 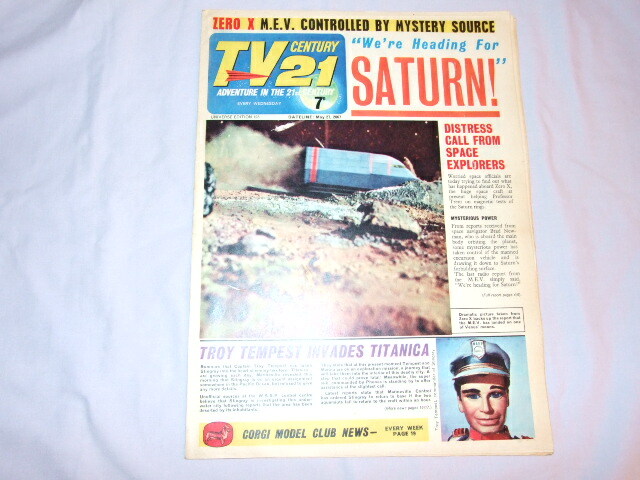 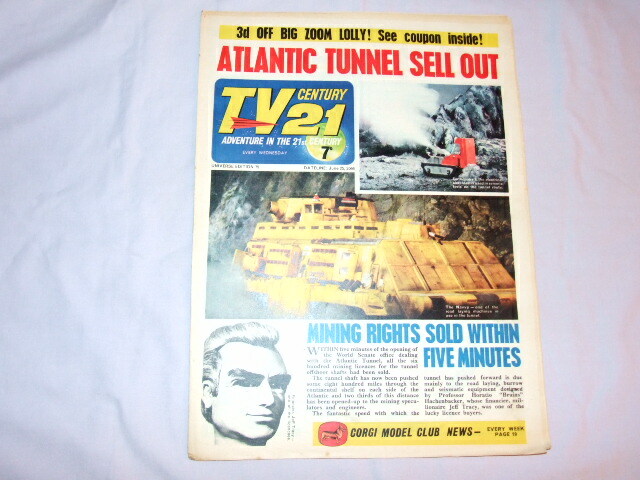 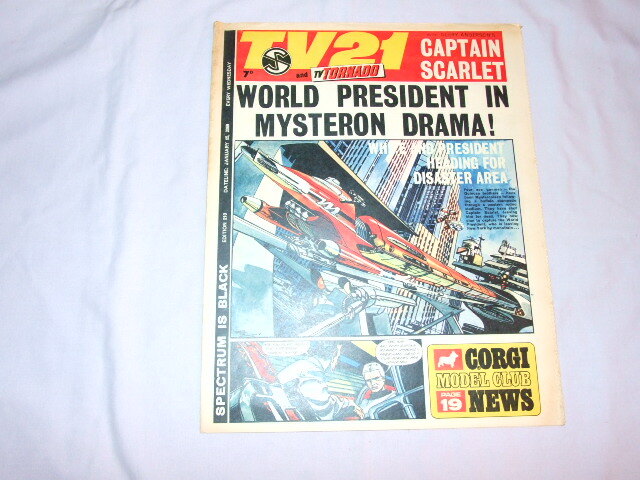 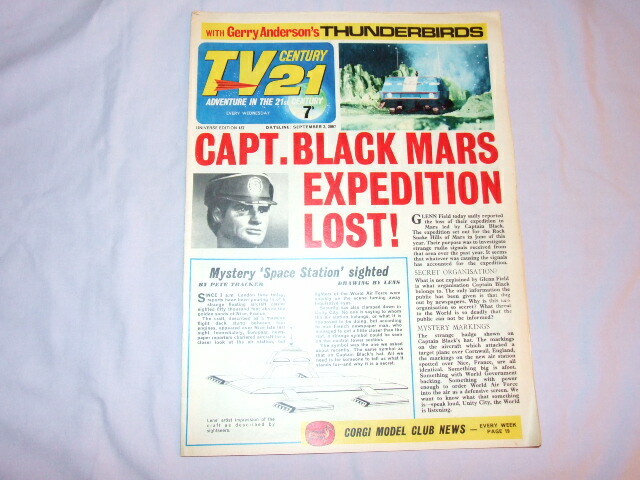 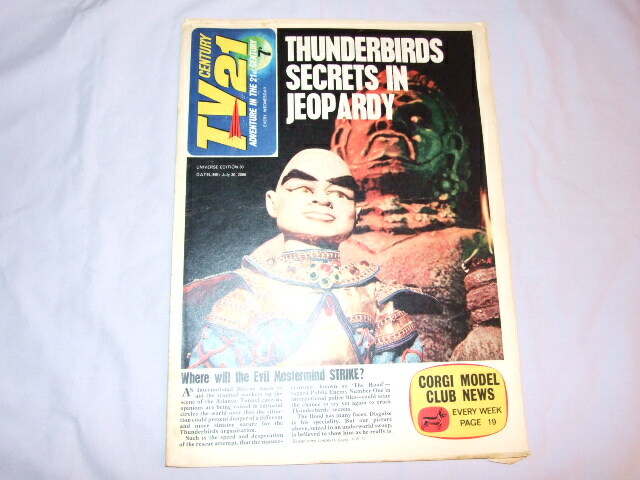 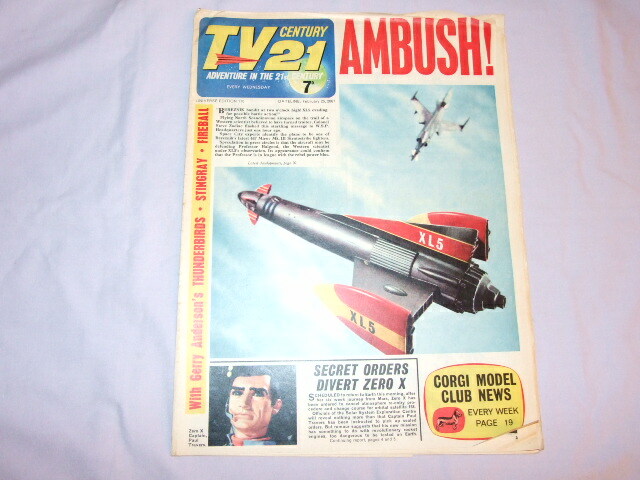 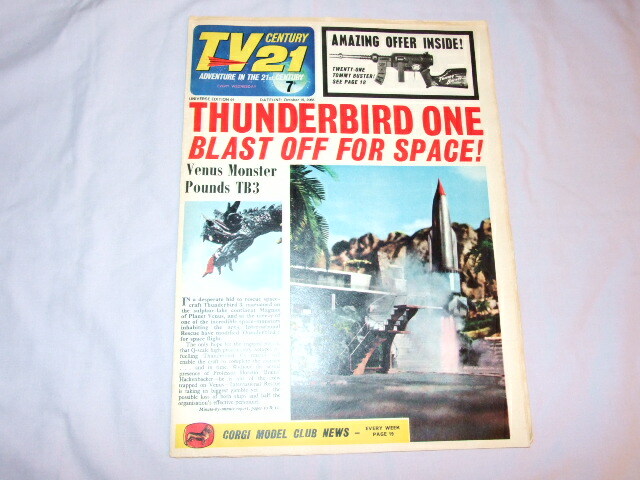 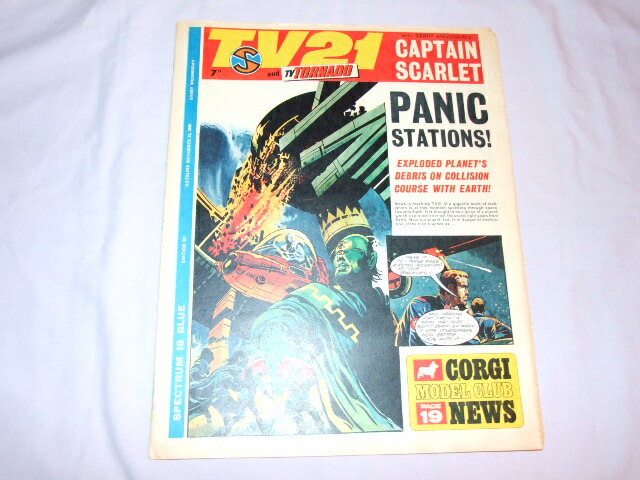 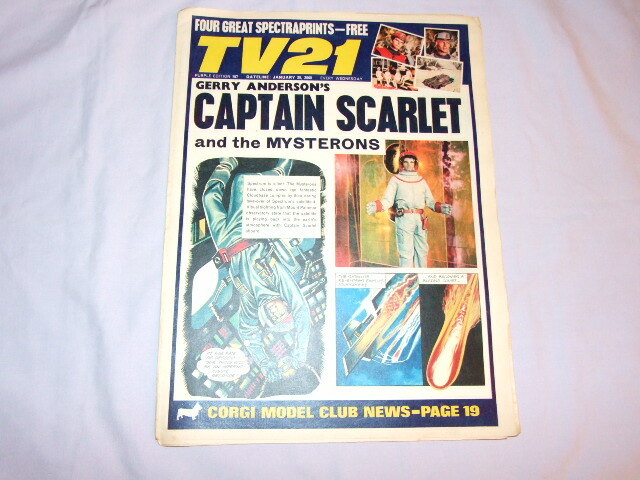 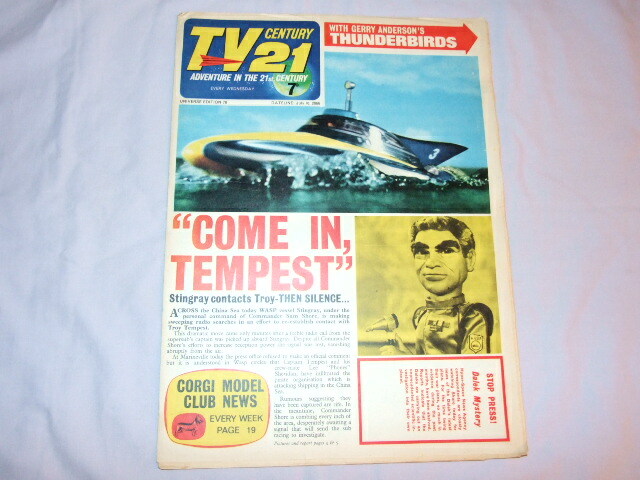 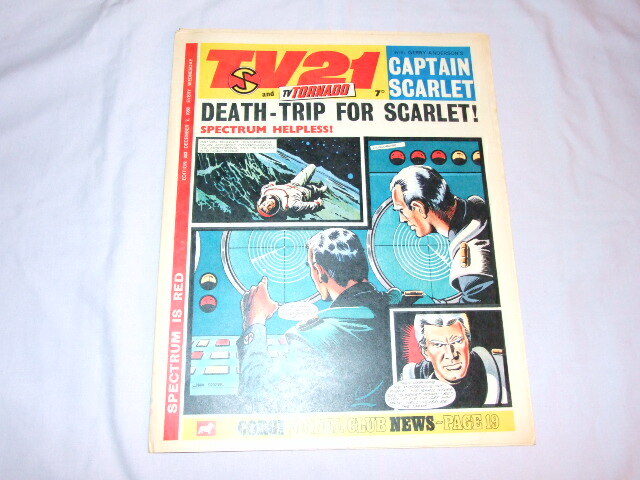 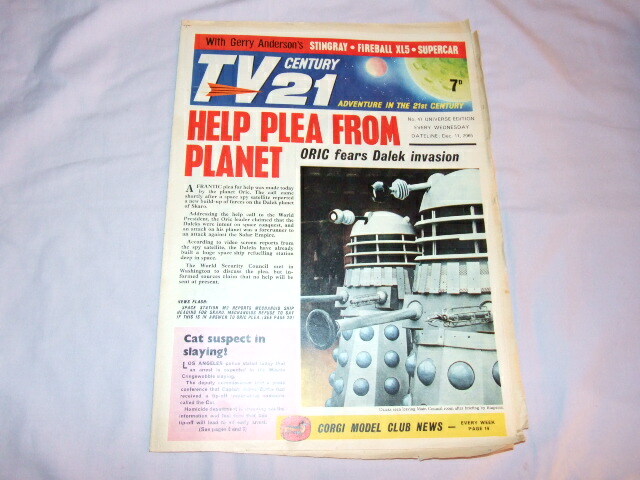 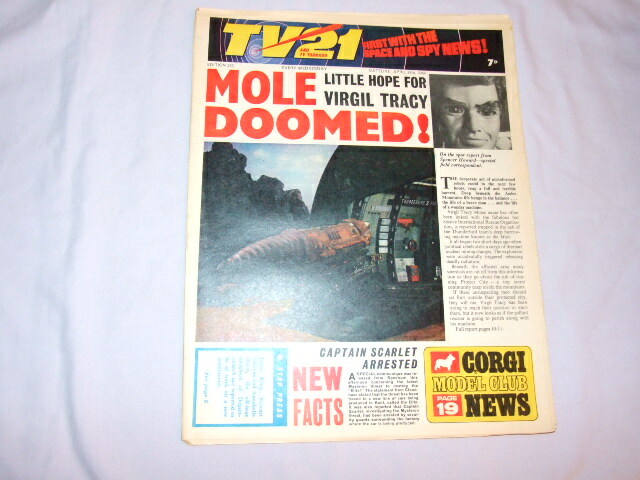 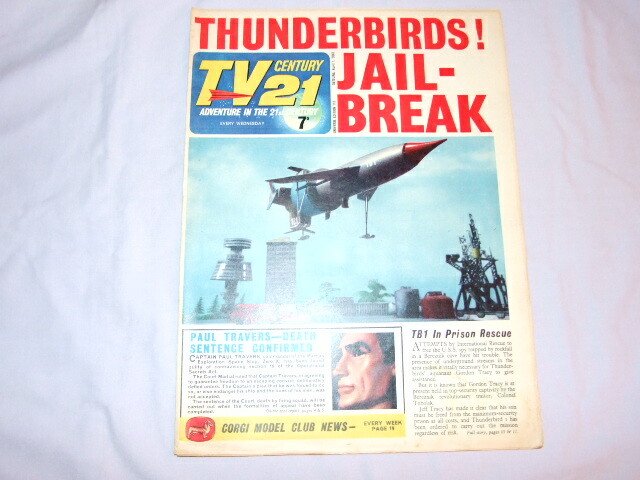 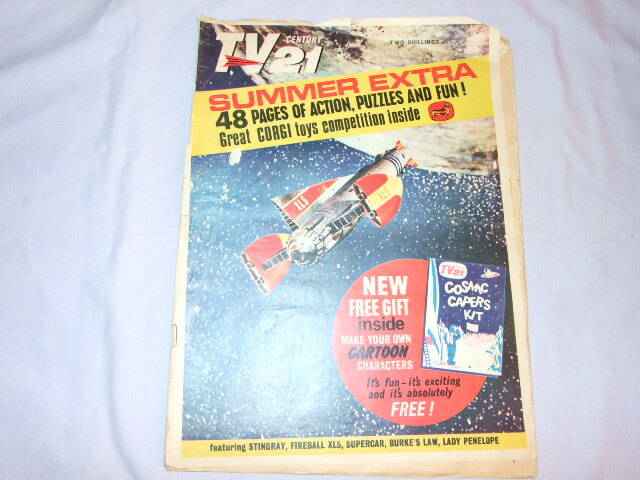 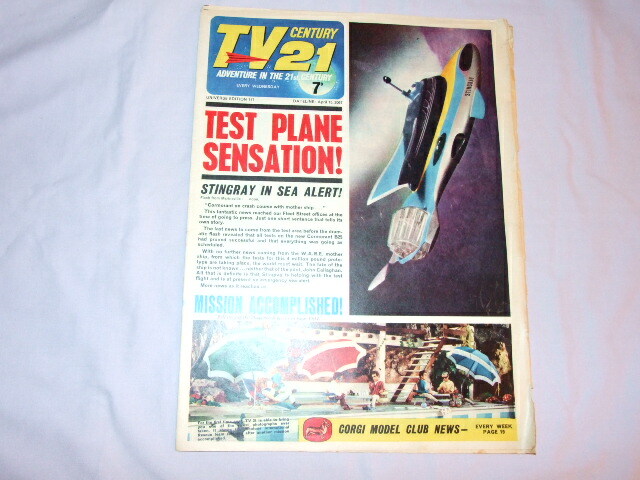 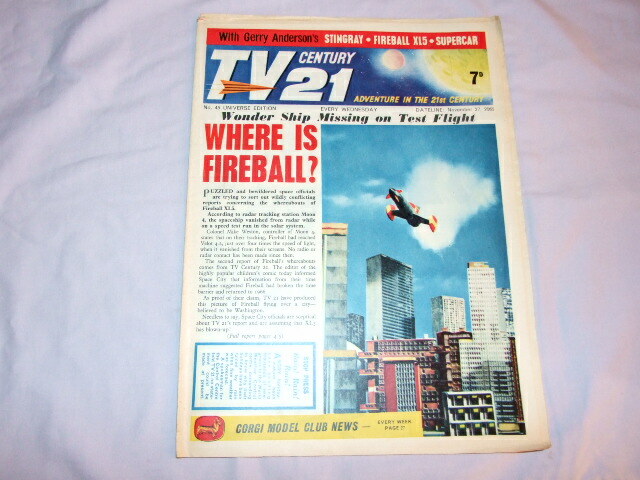 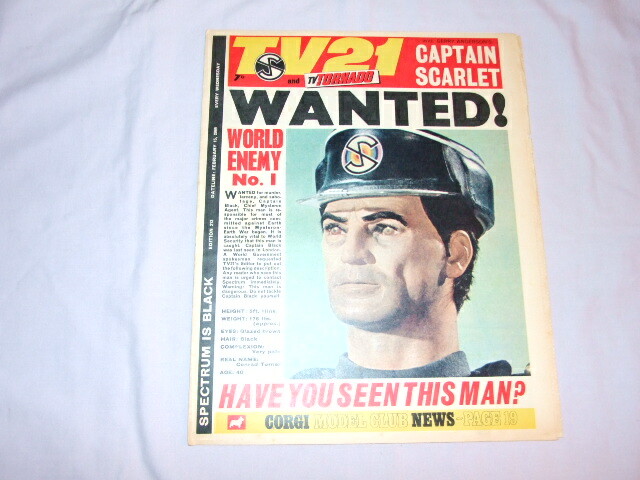 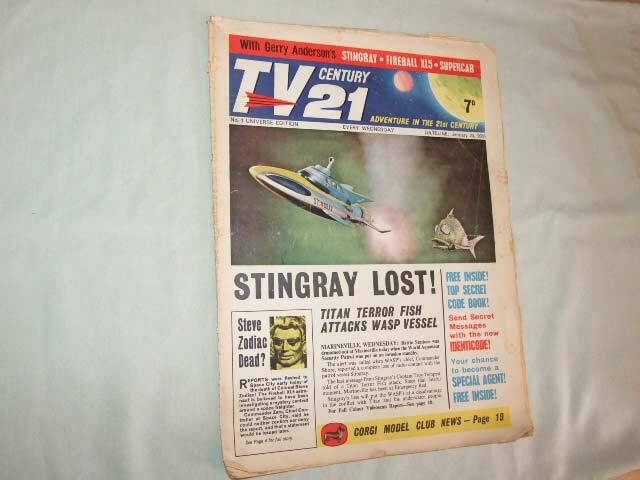 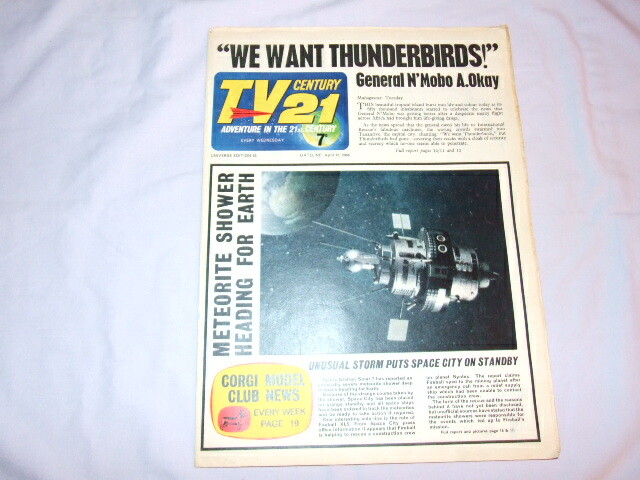 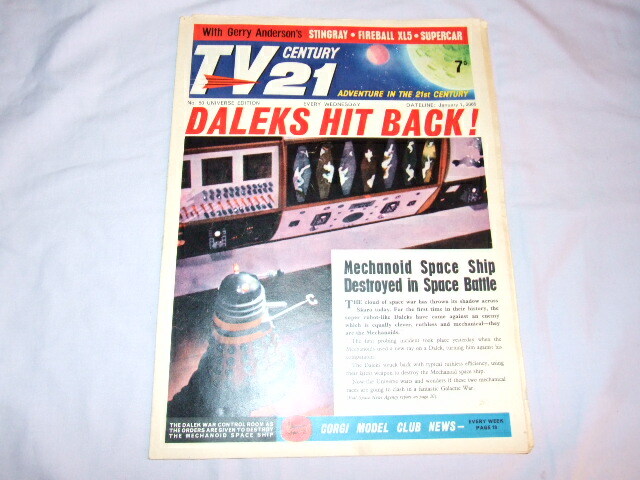 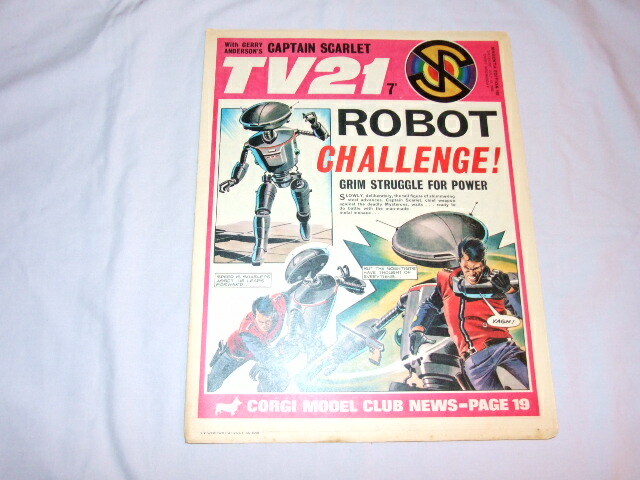 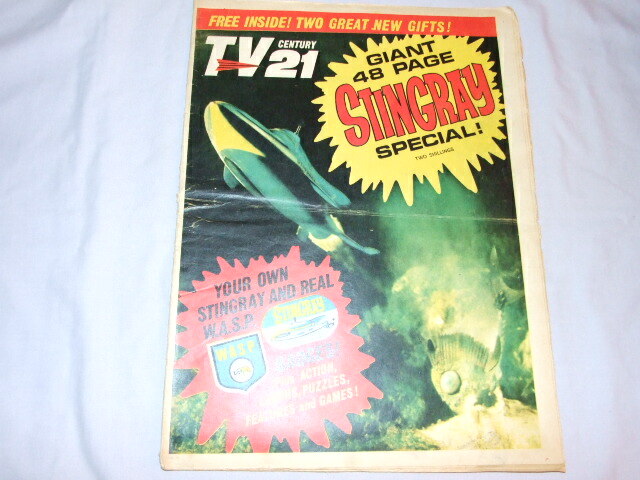 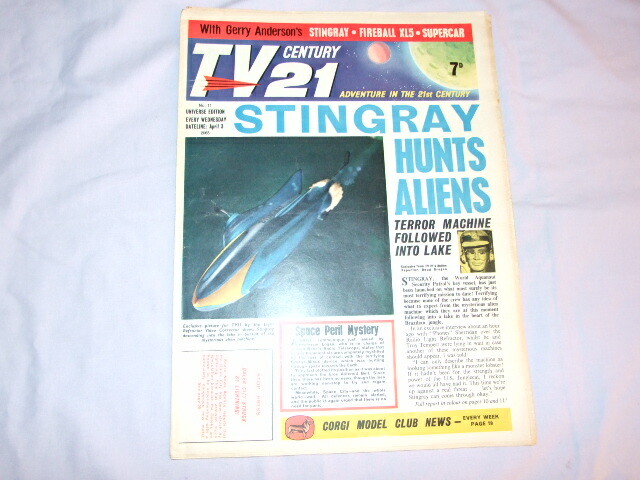 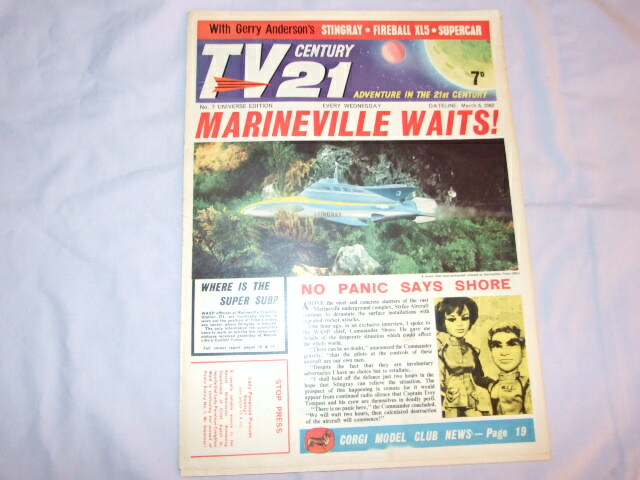 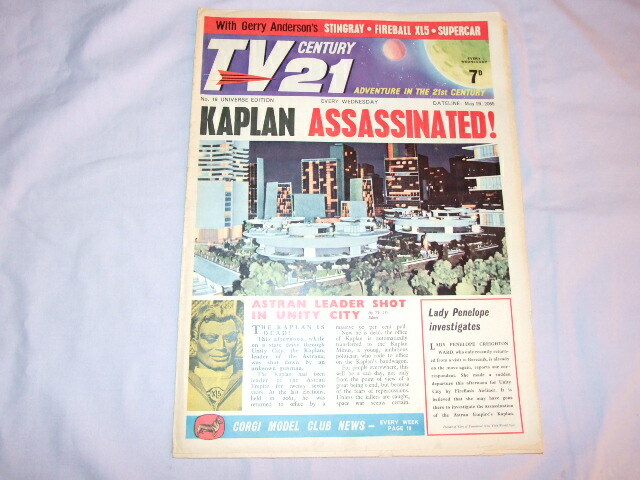 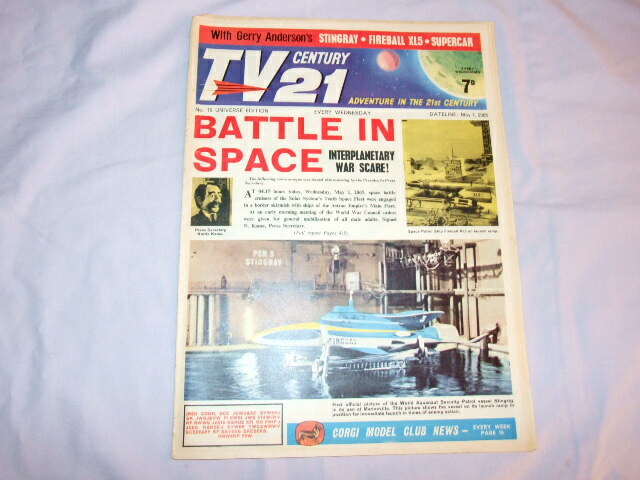 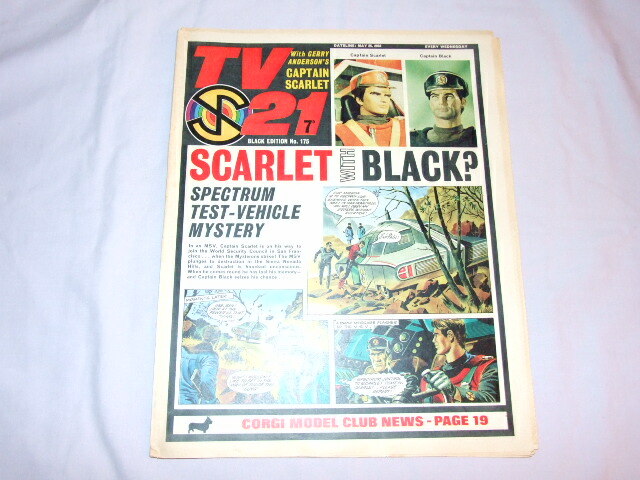 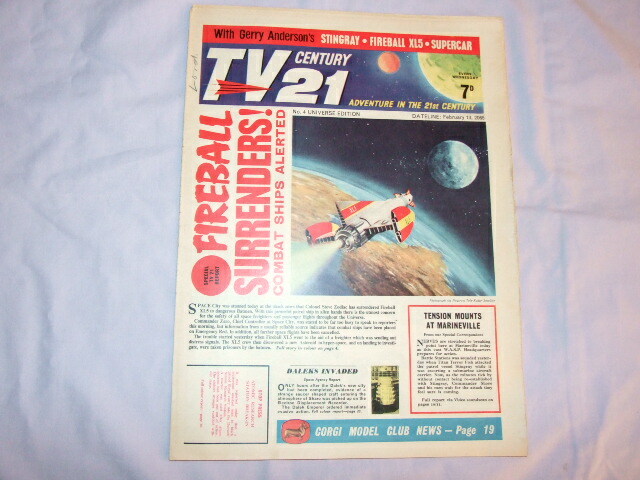 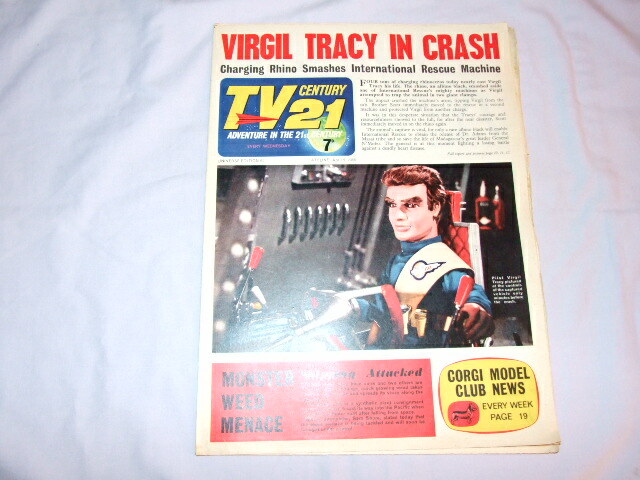 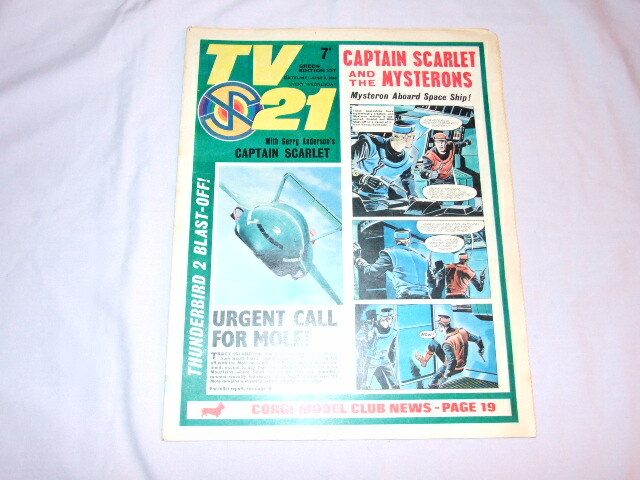 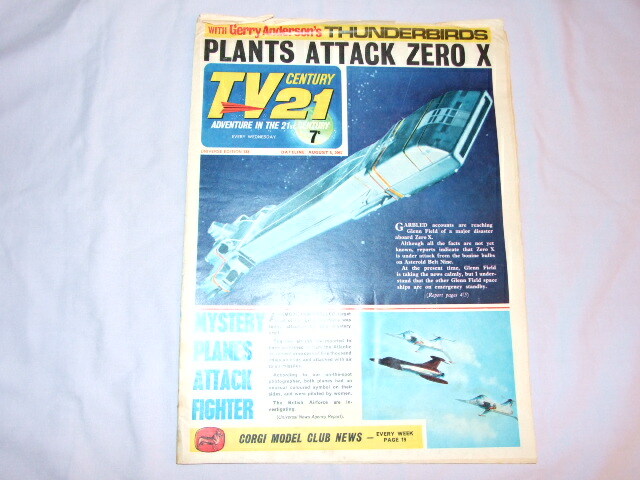 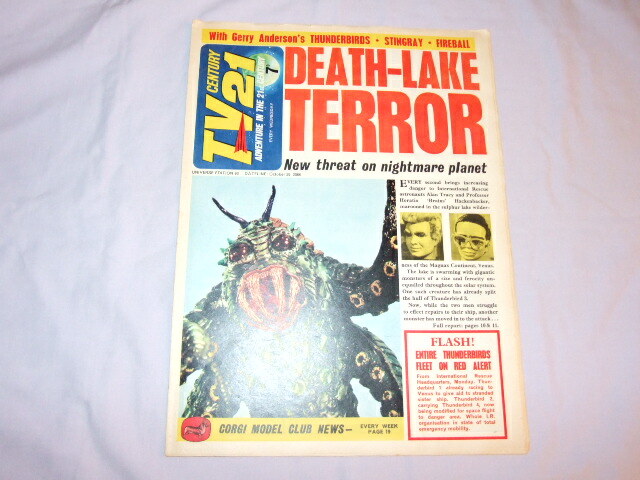 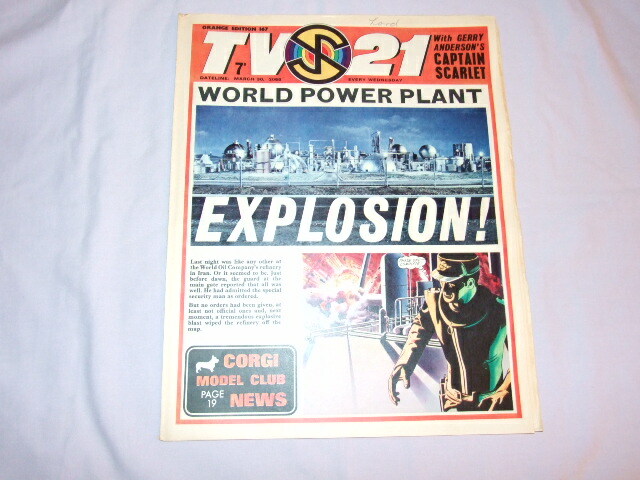 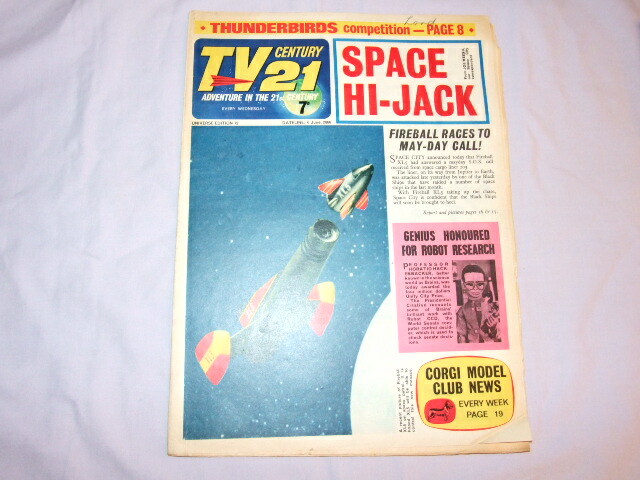 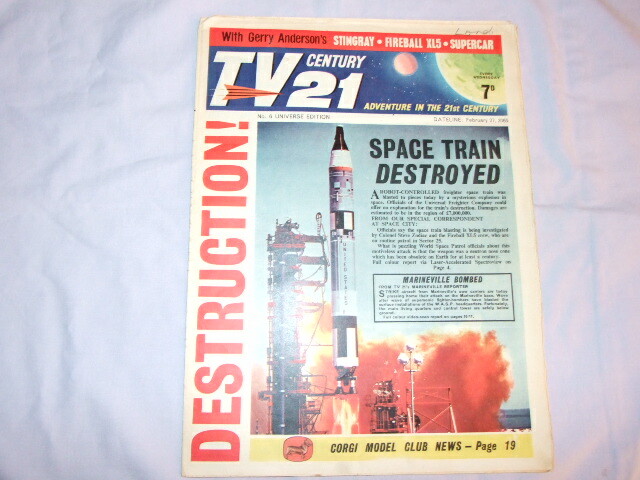 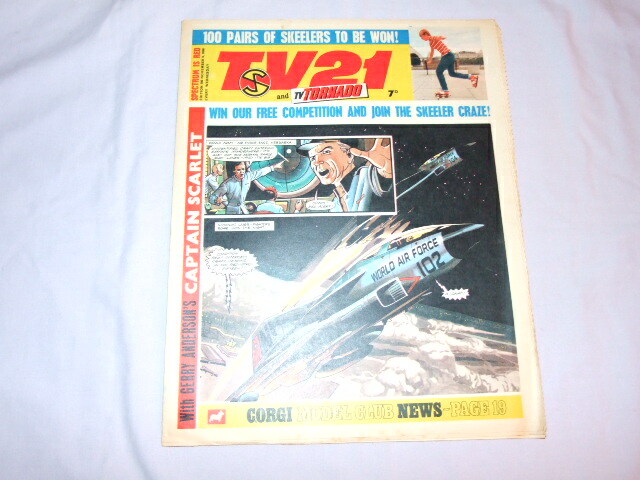 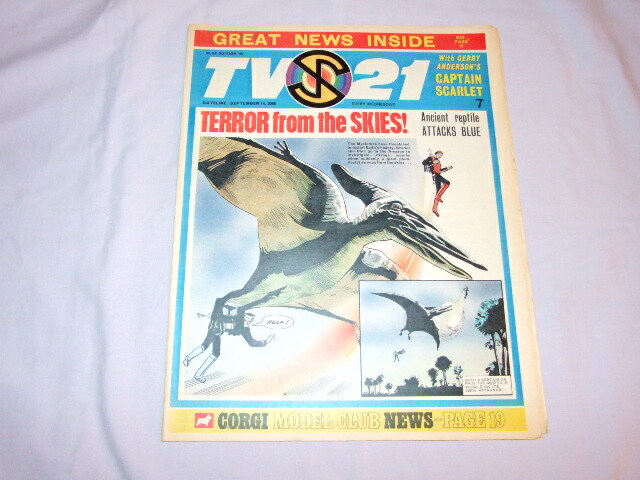 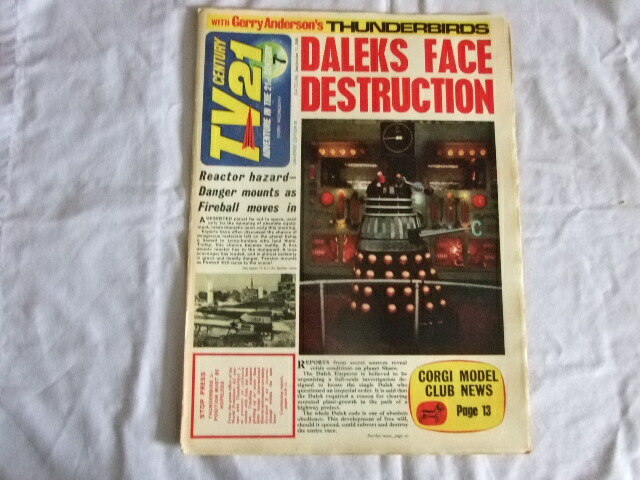 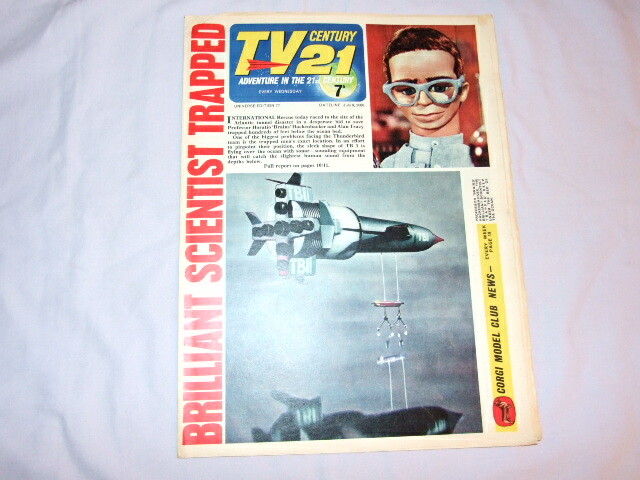 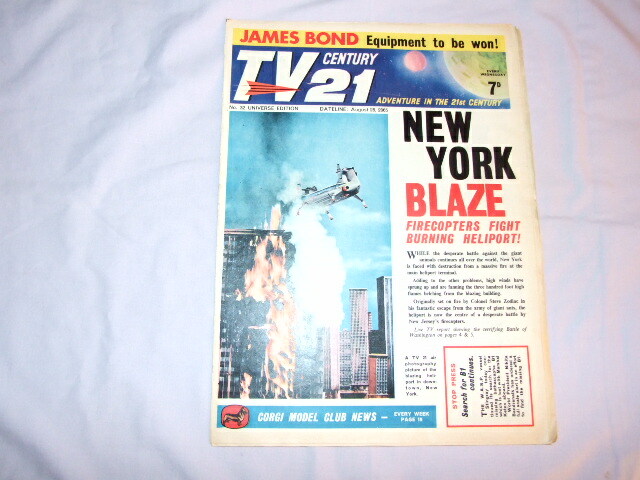 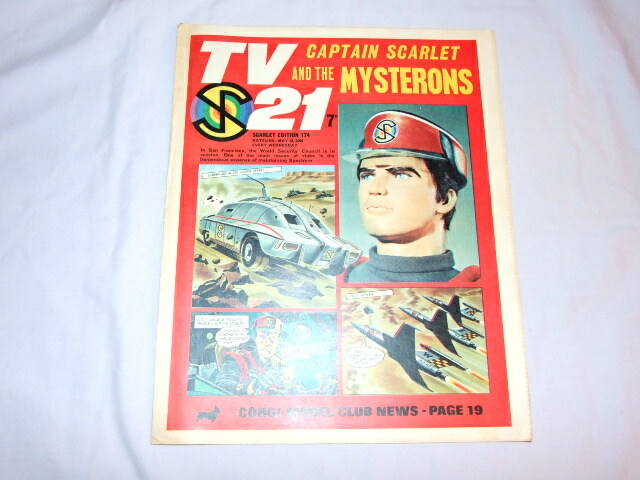 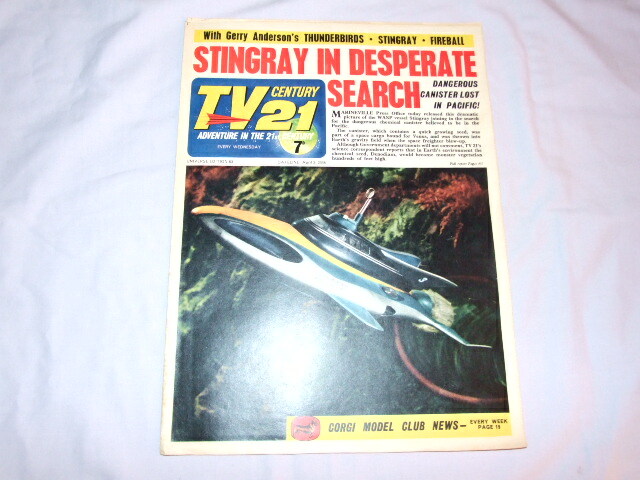 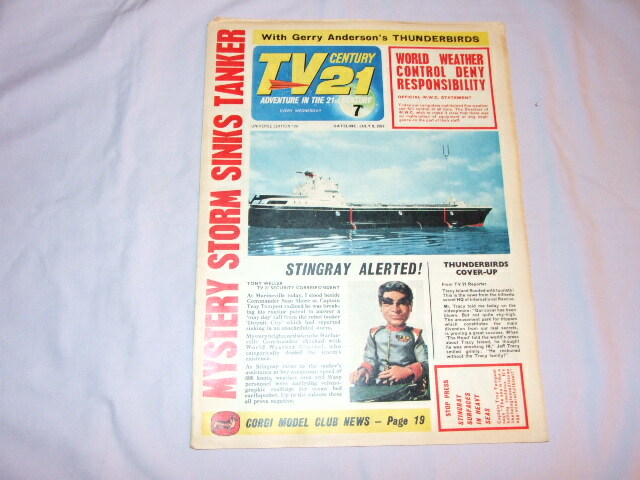 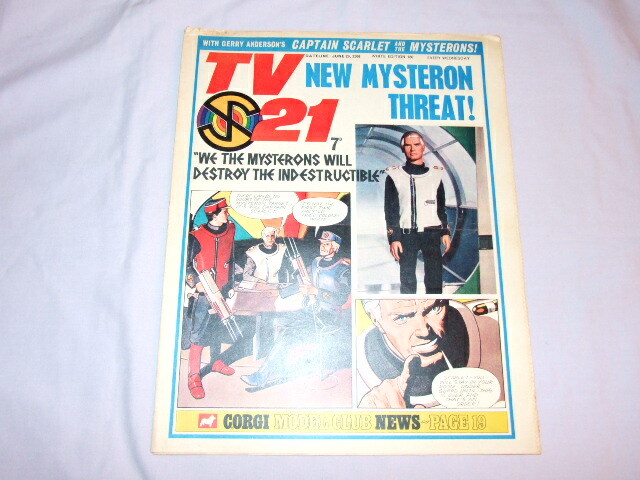 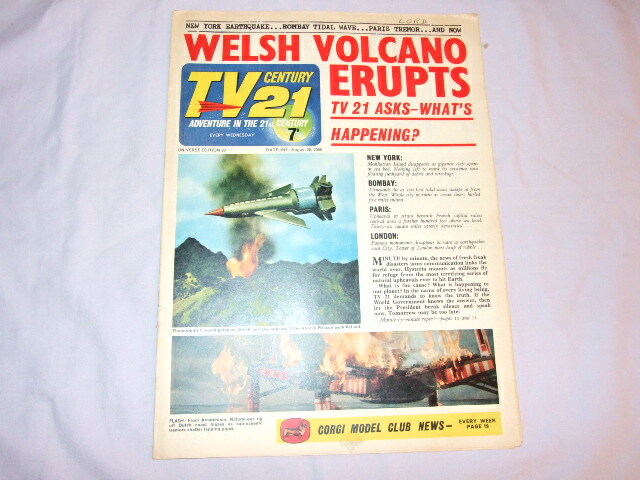 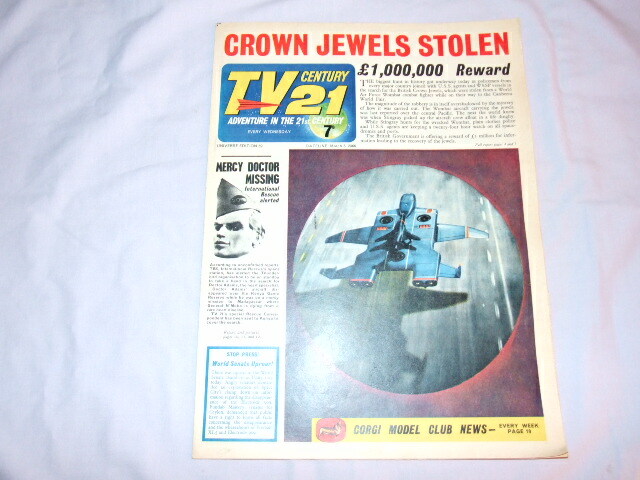 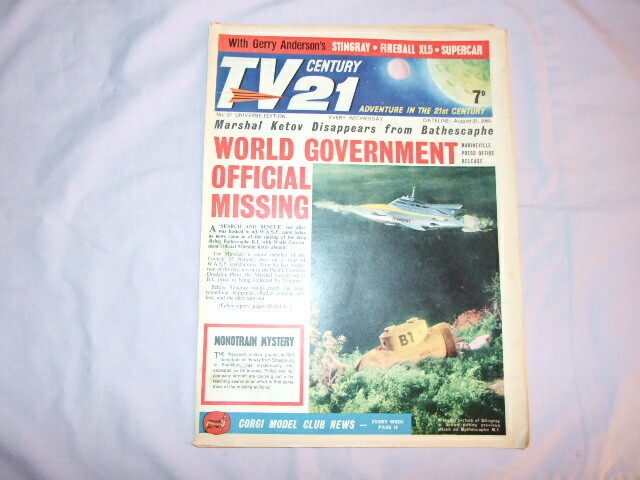 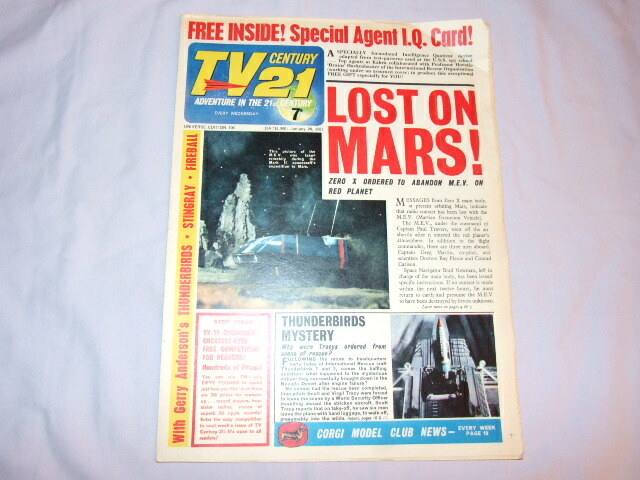 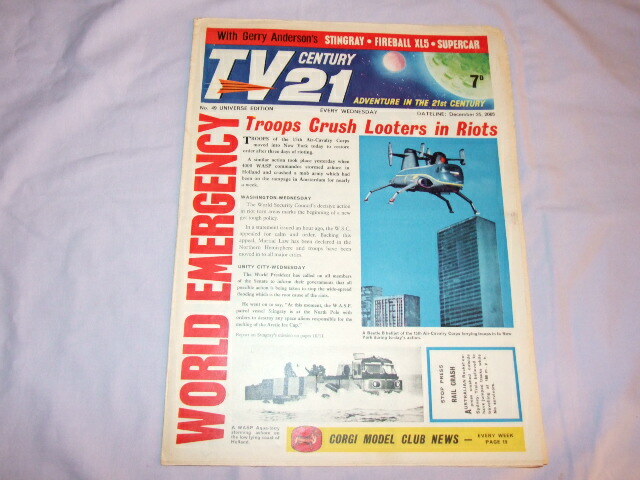 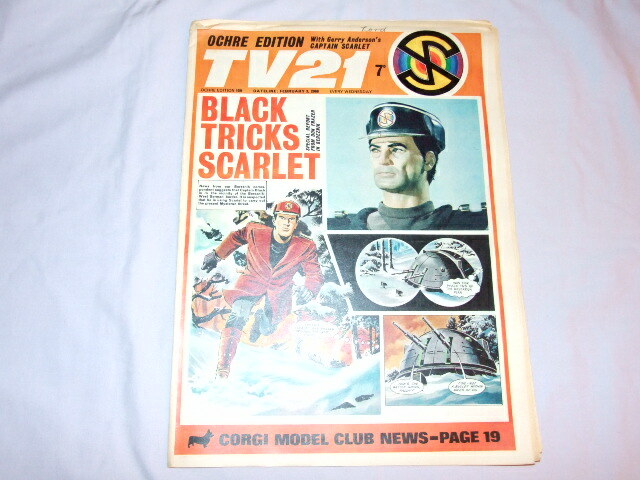 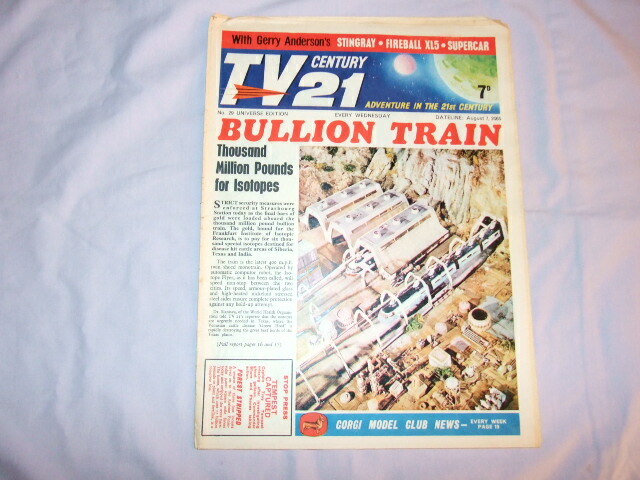 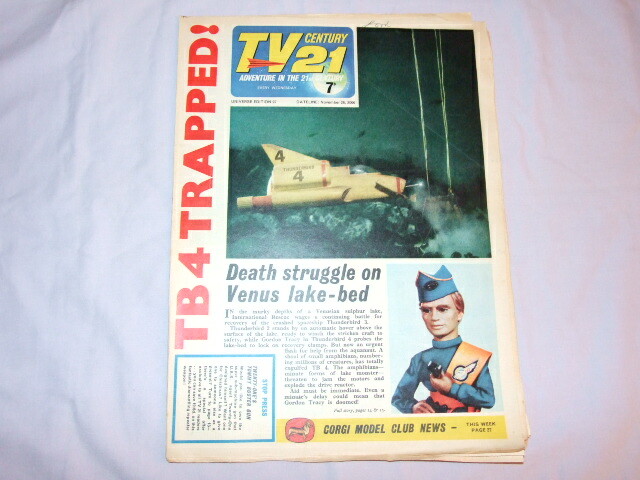 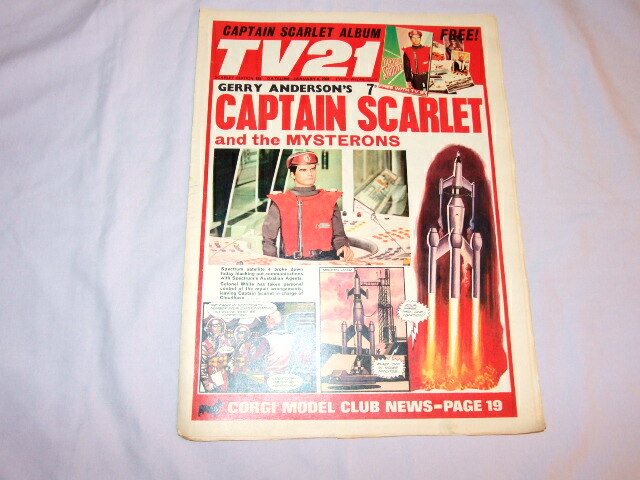 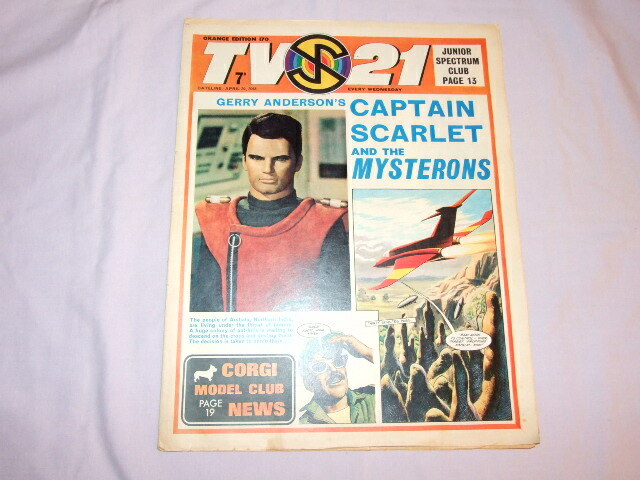 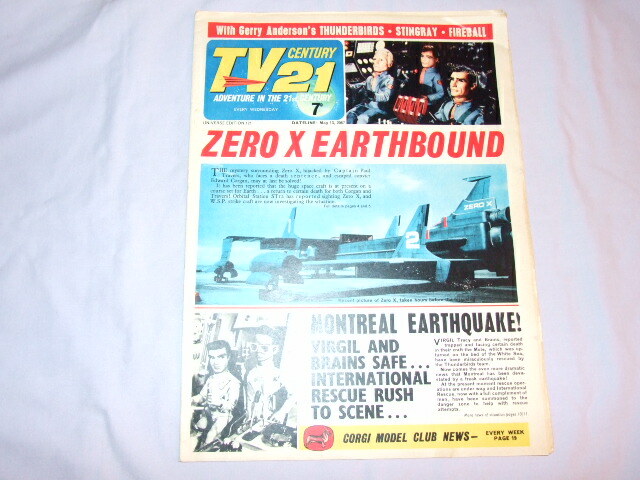 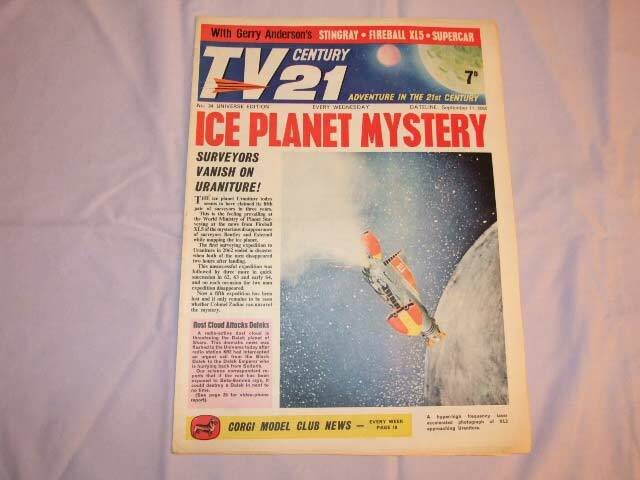 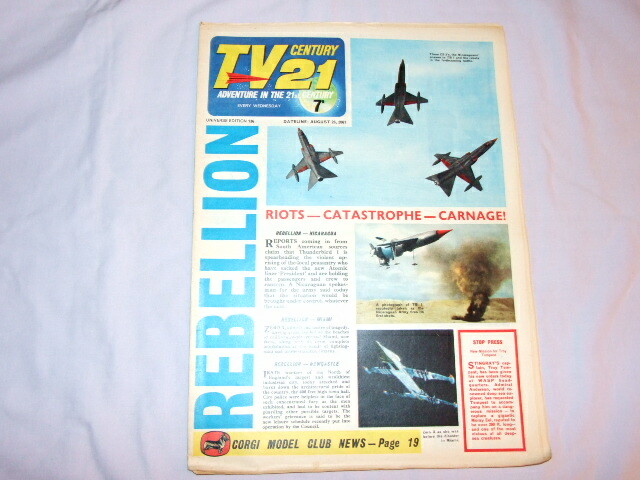 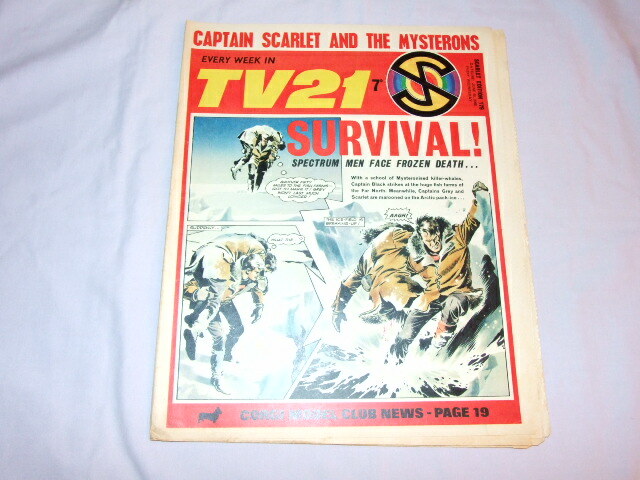 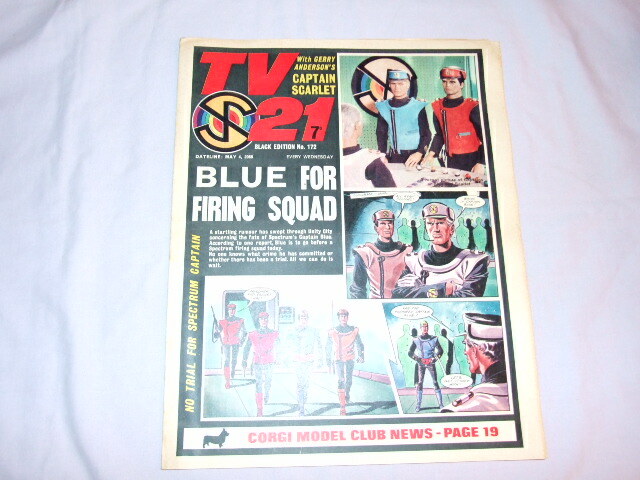 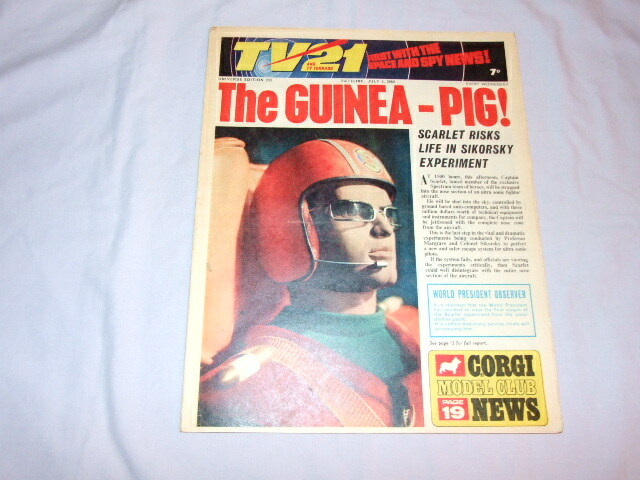 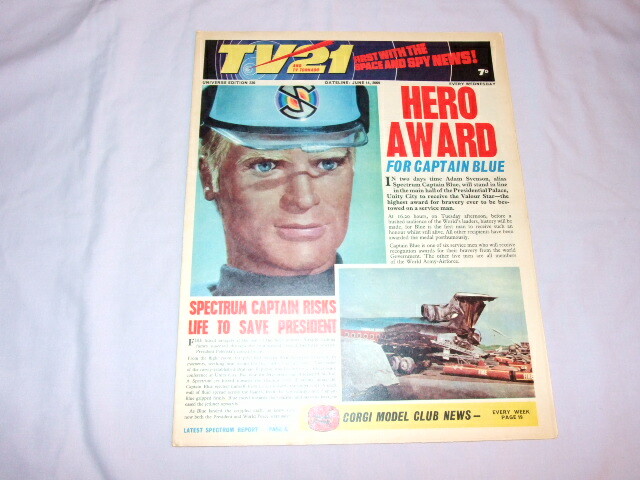 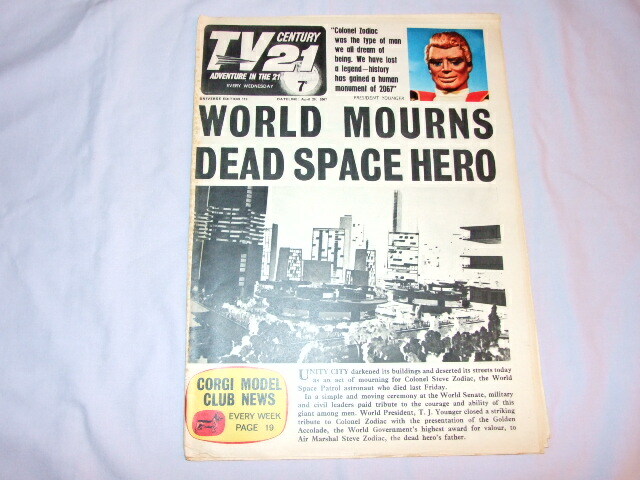 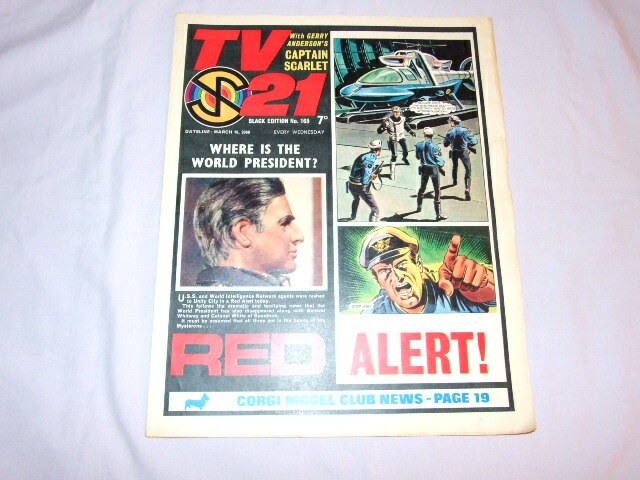 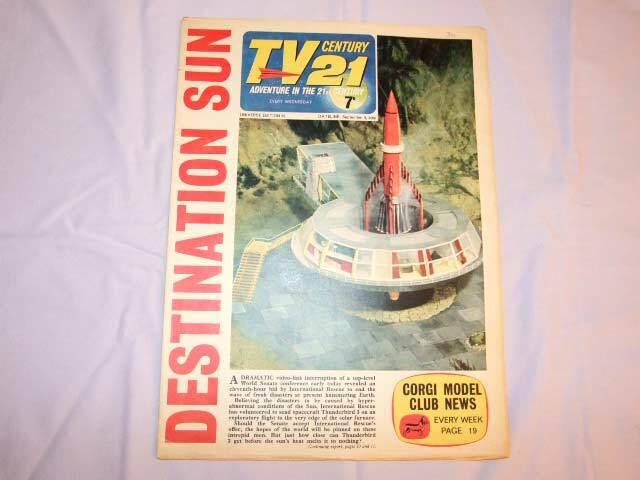 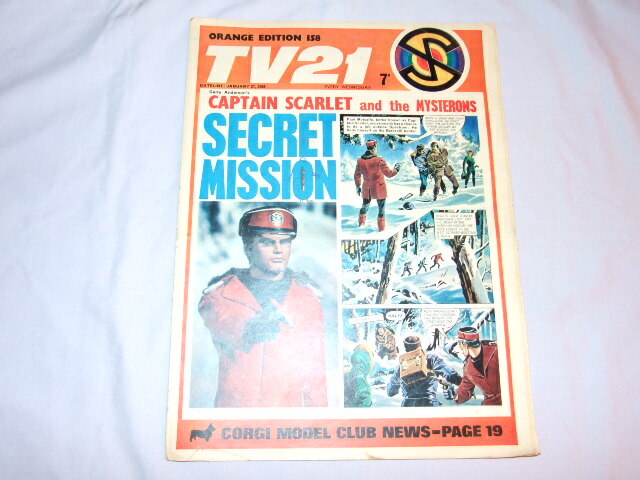 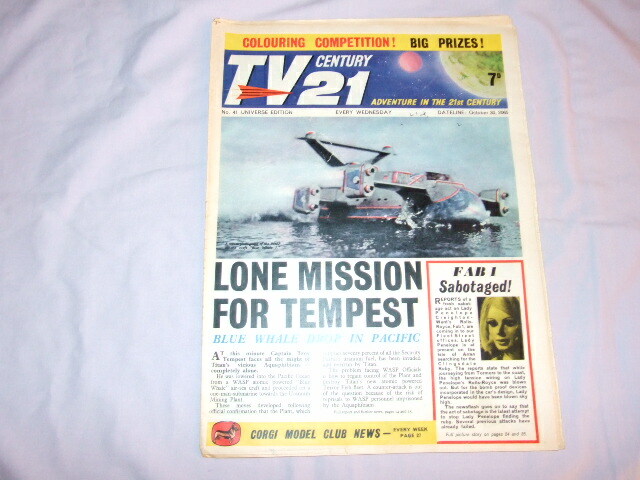 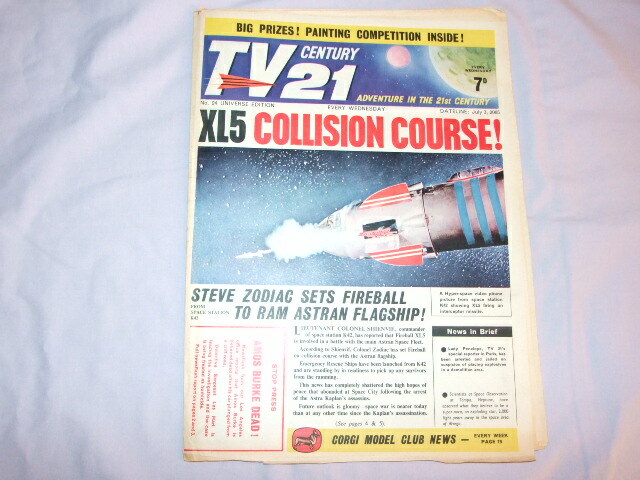 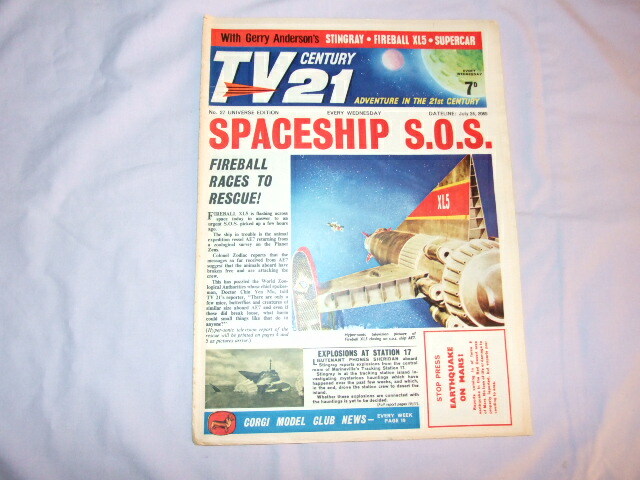 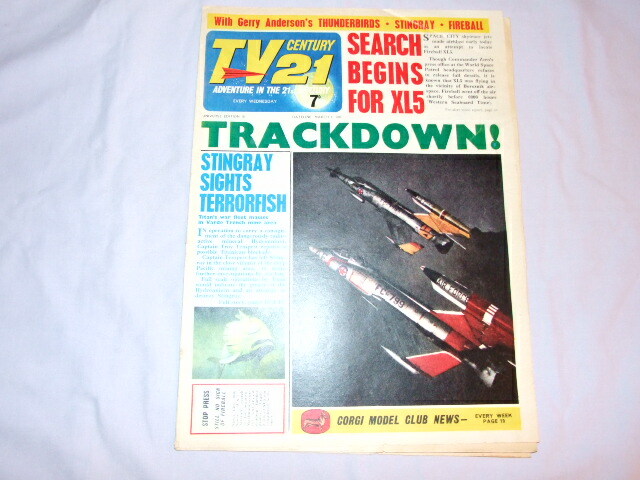 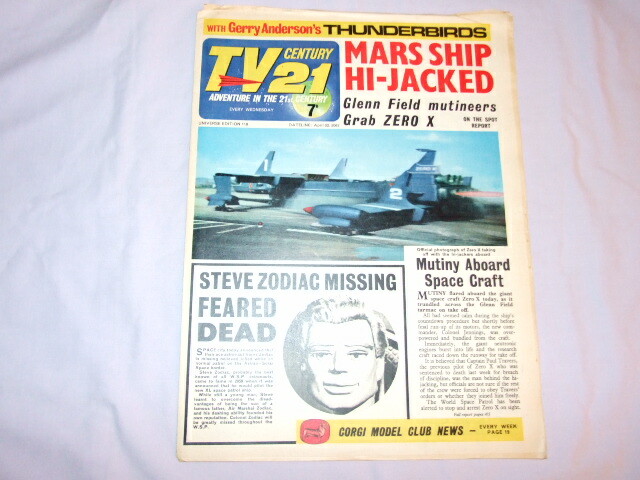 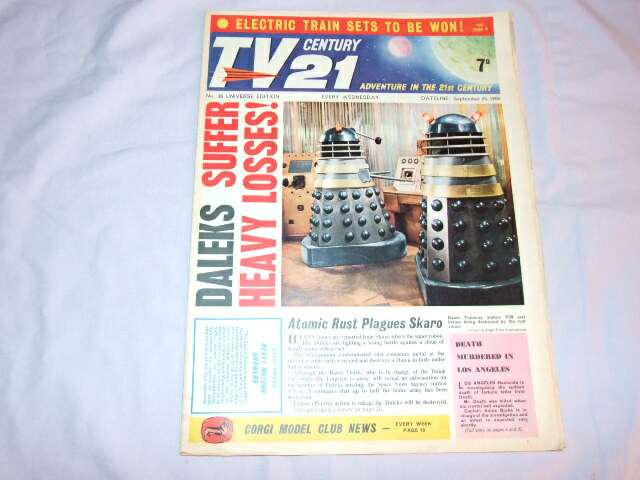 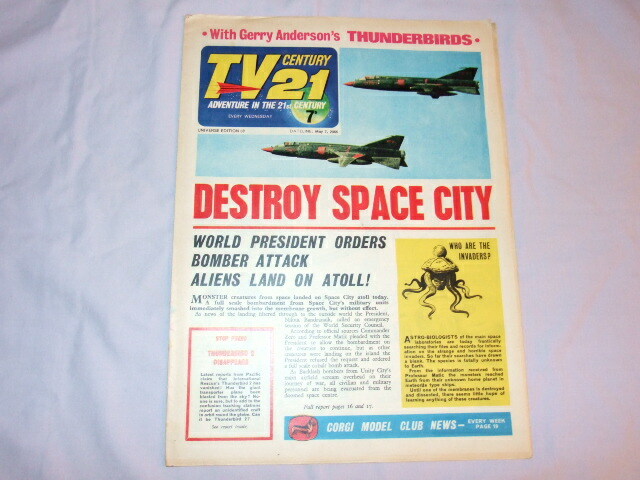 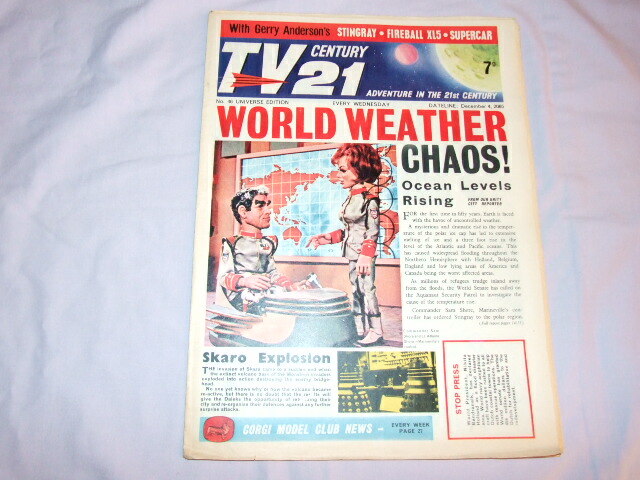 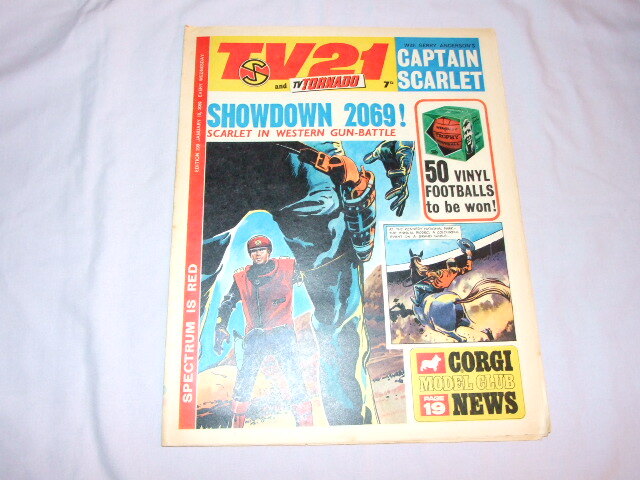 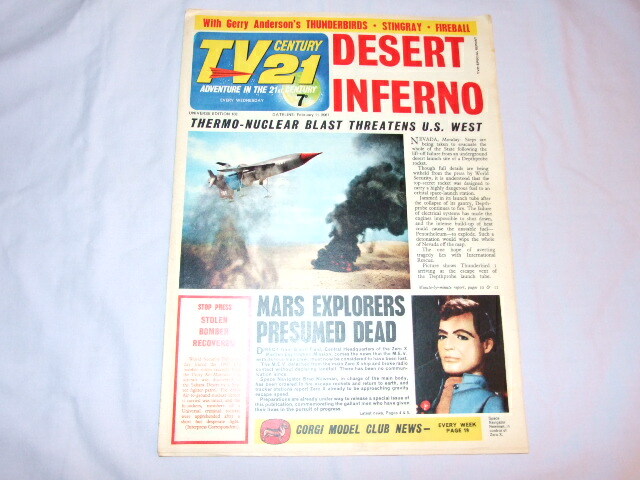 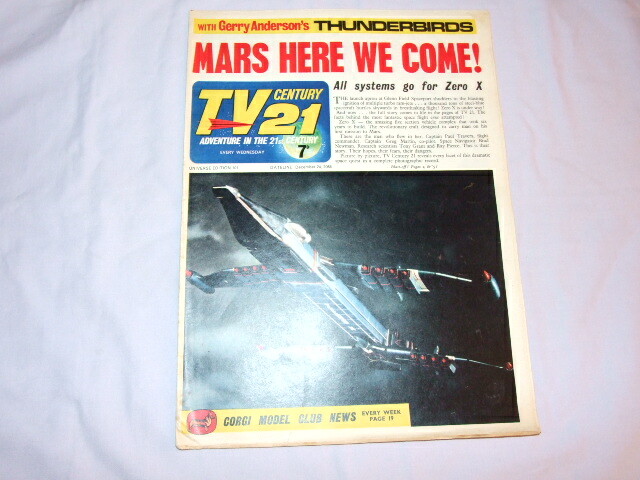 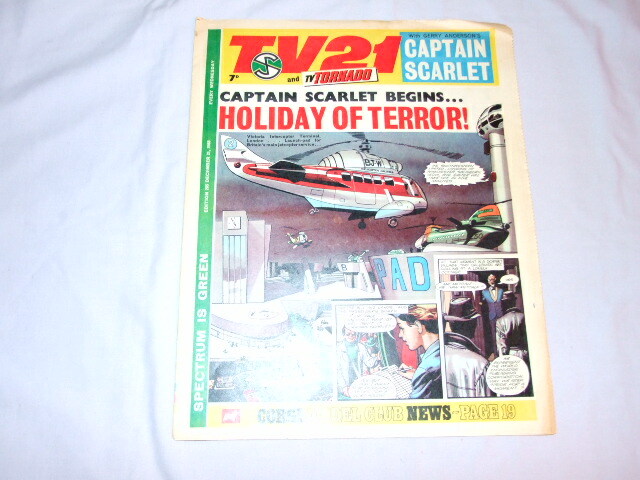 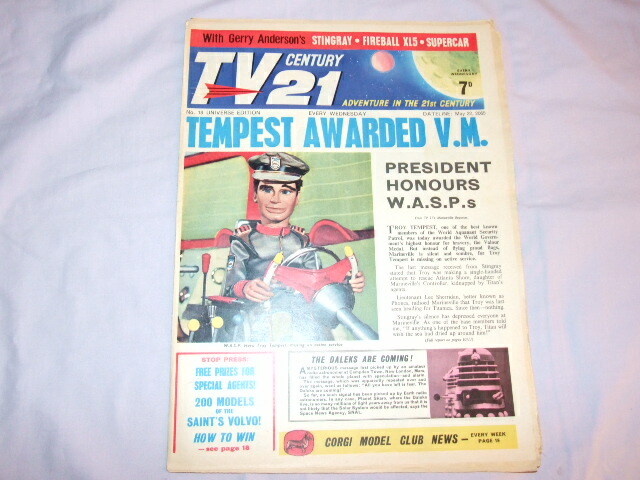 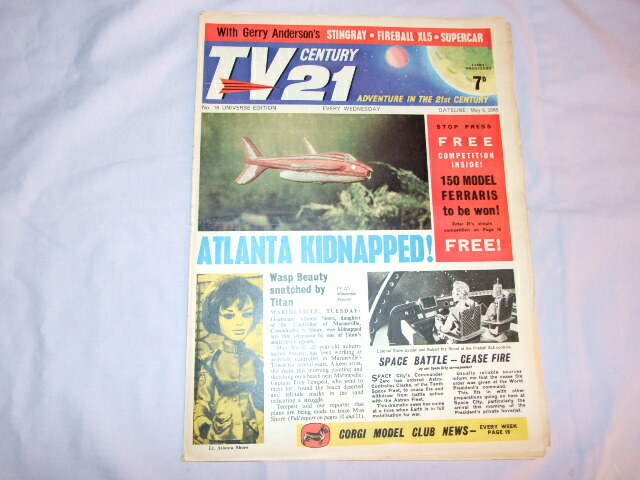 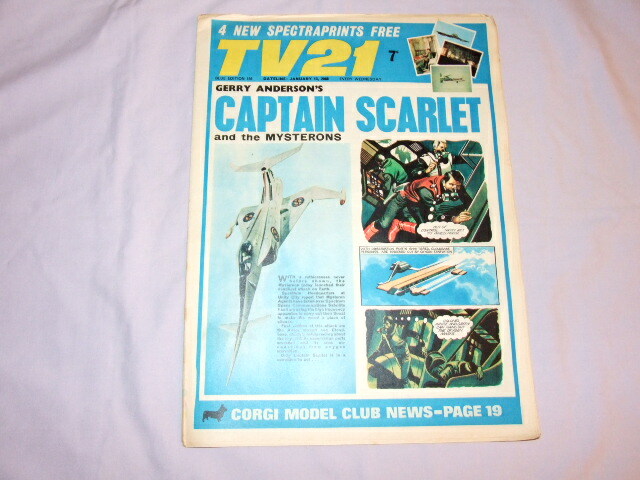 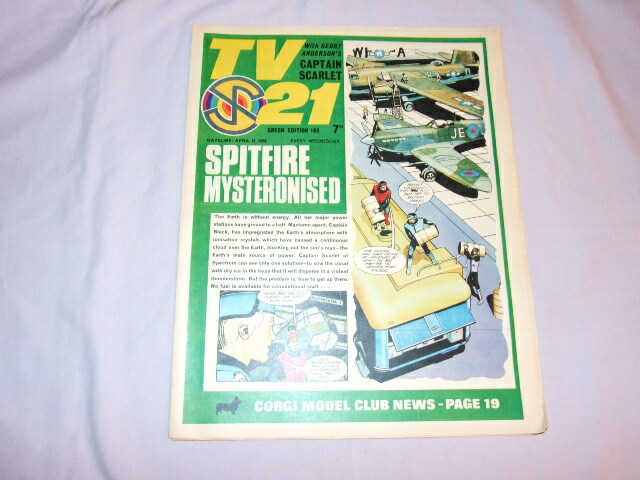 TV21 Comics are some of the most evocative and collectable items from the 1960s. 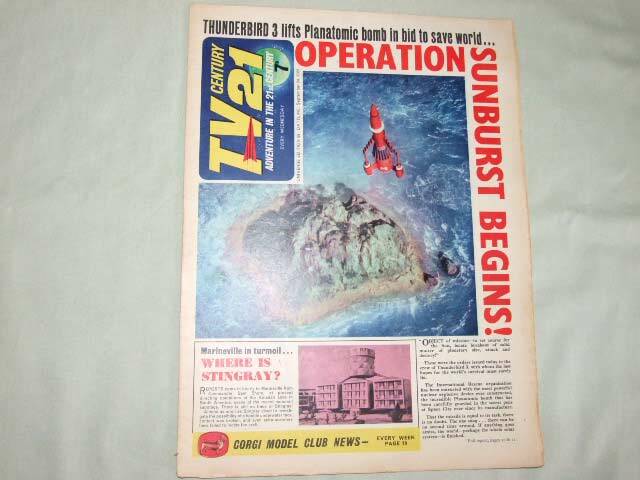 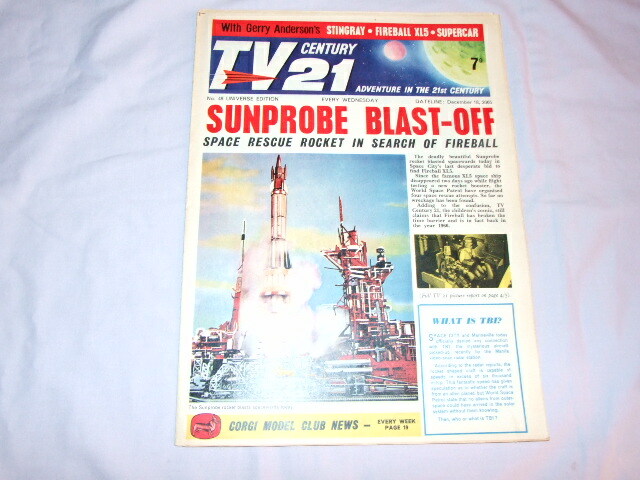 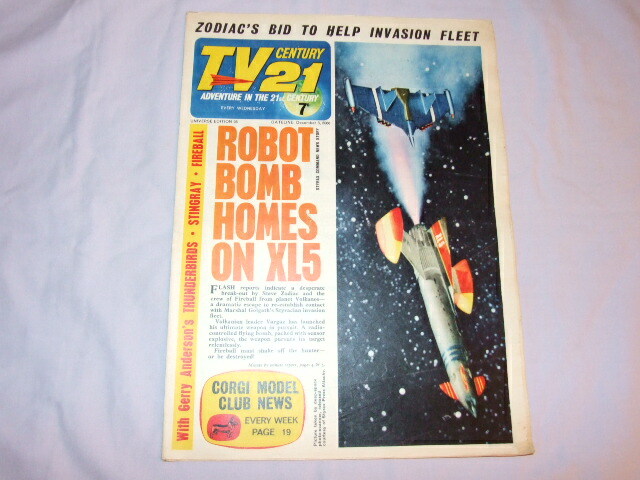 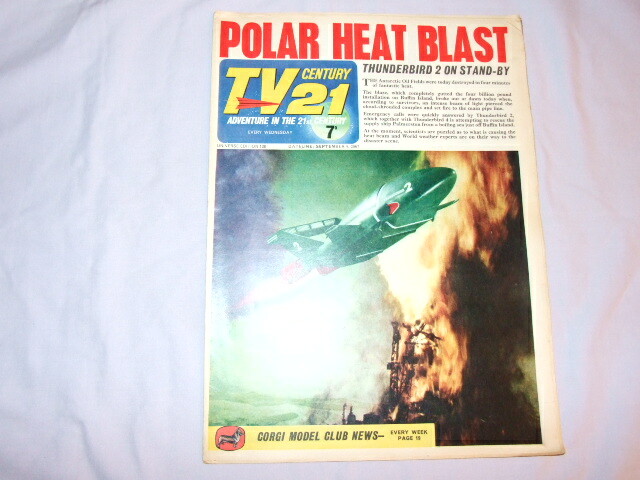 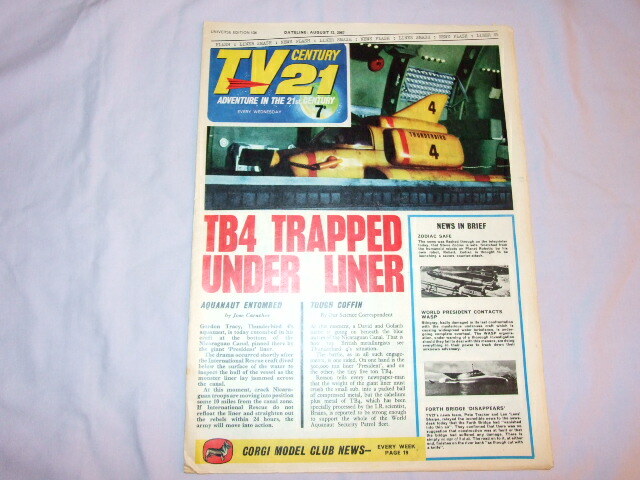 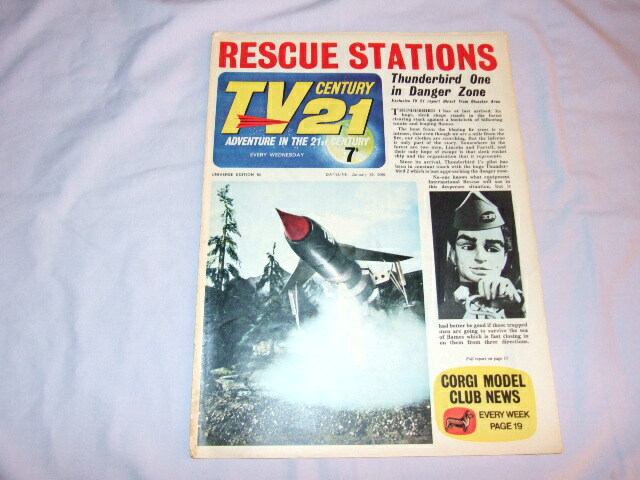 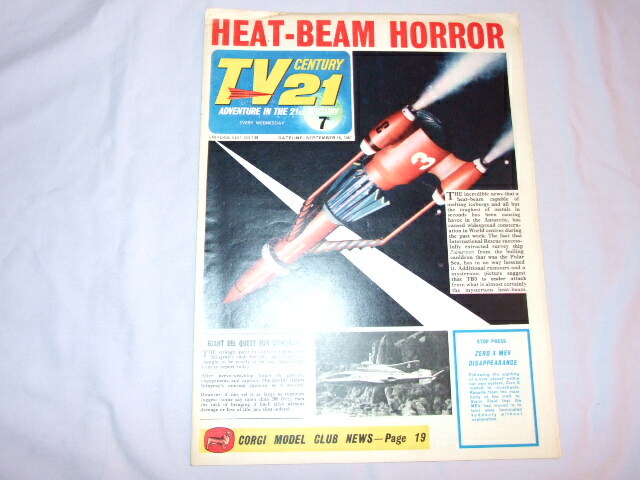 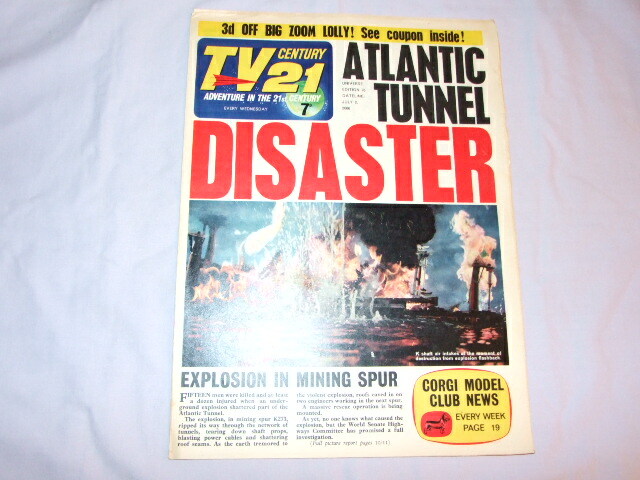 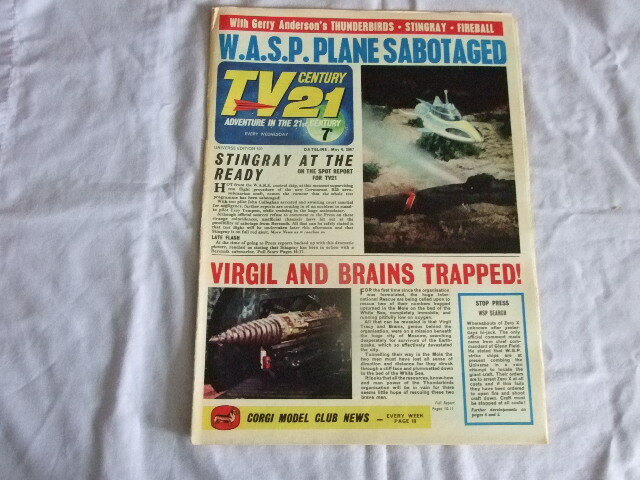 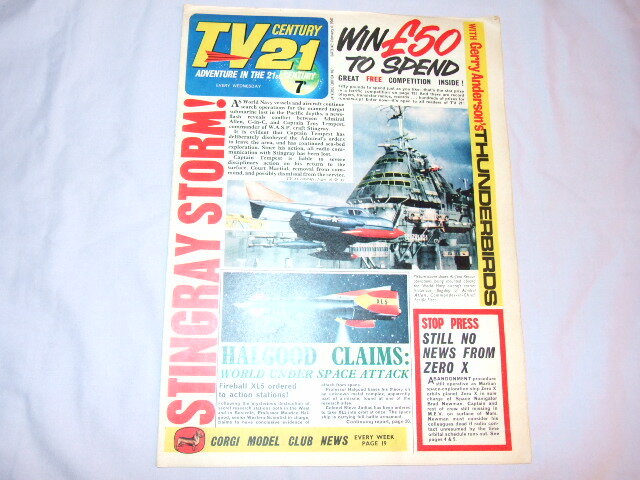 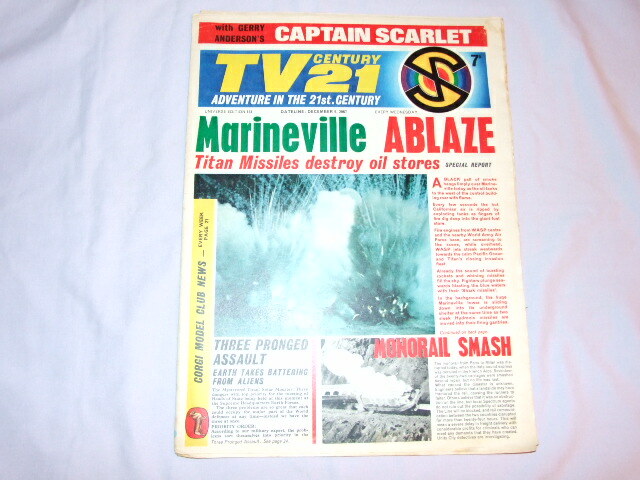 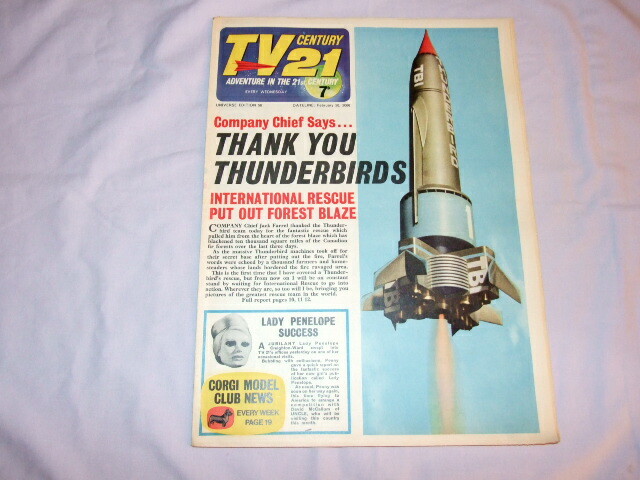 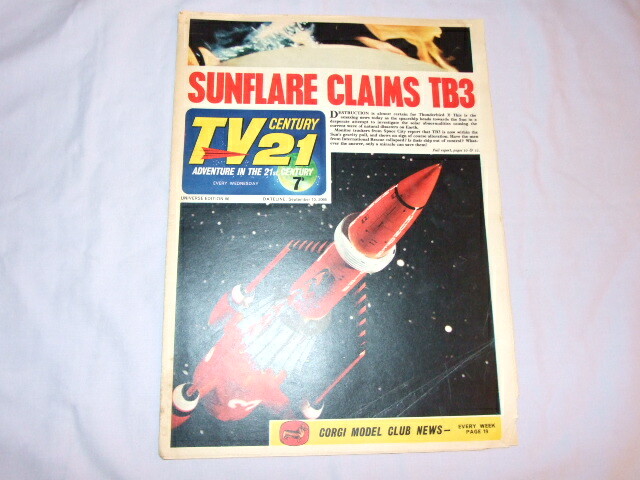 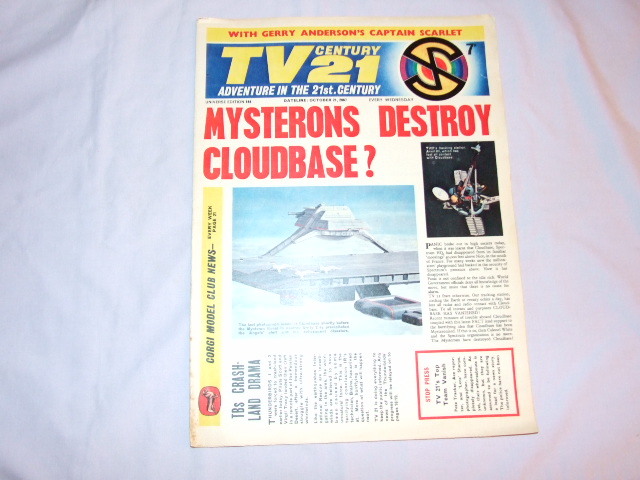 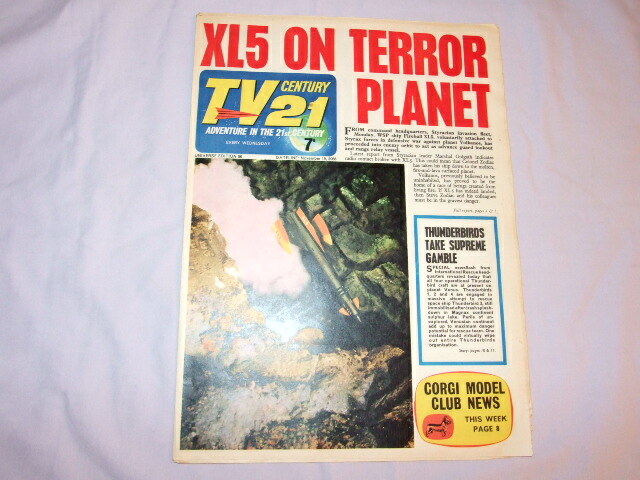 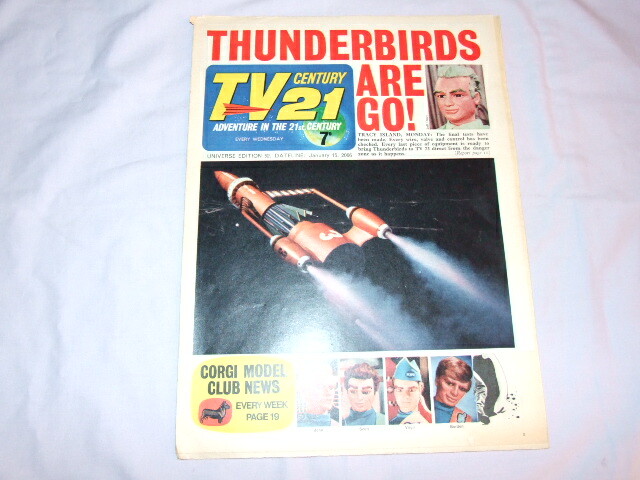 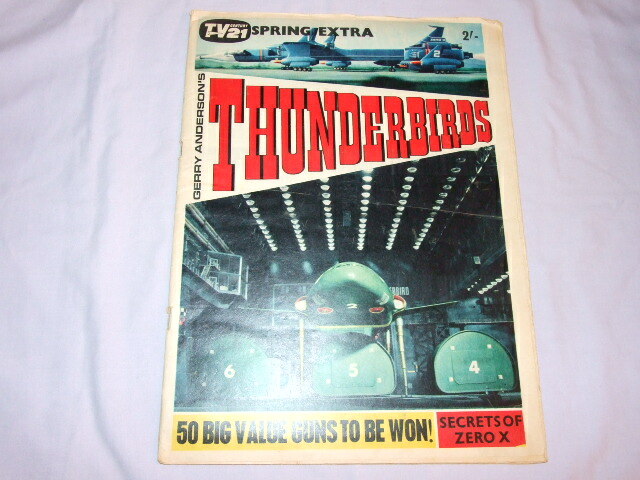 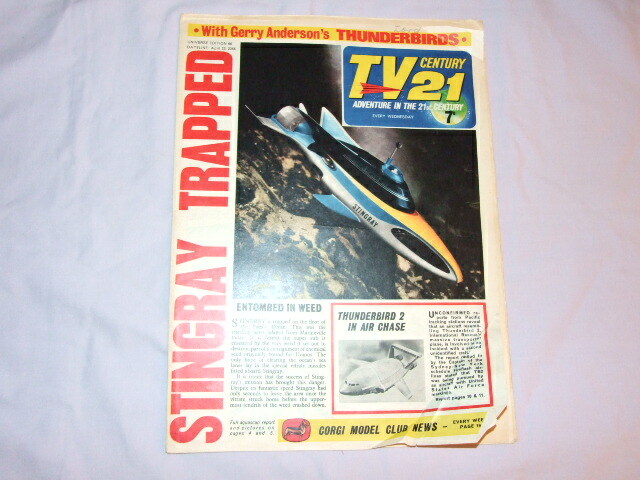 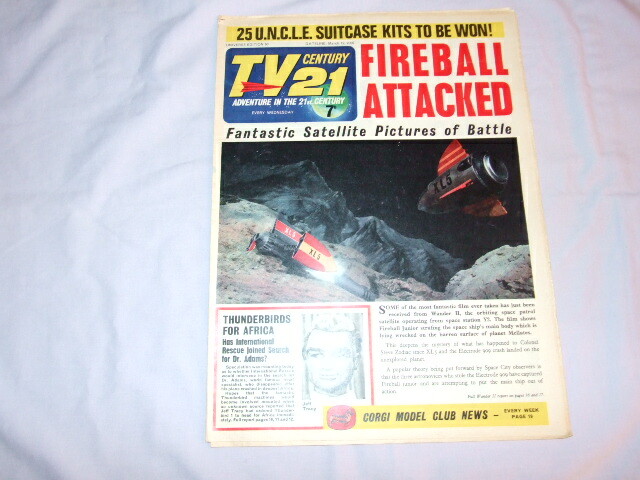 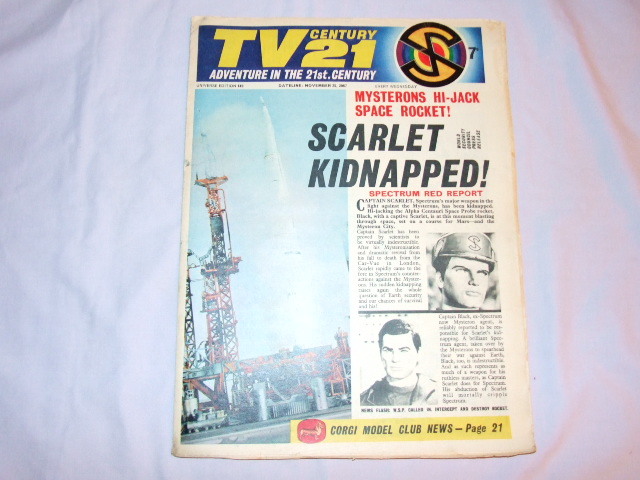 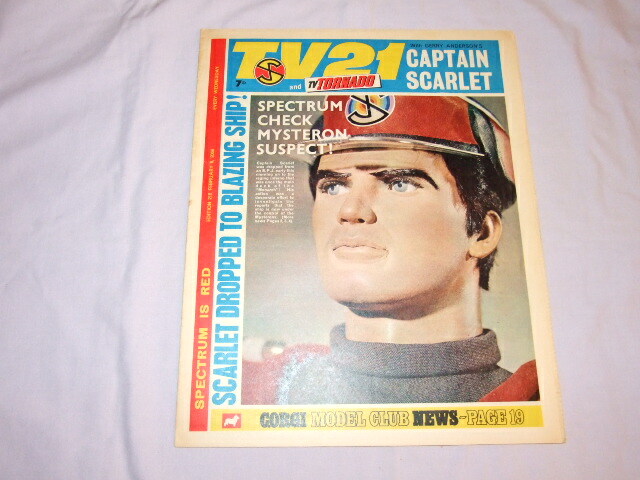 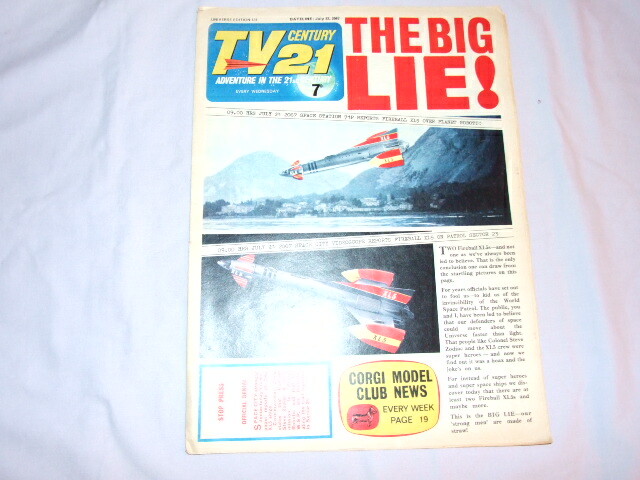 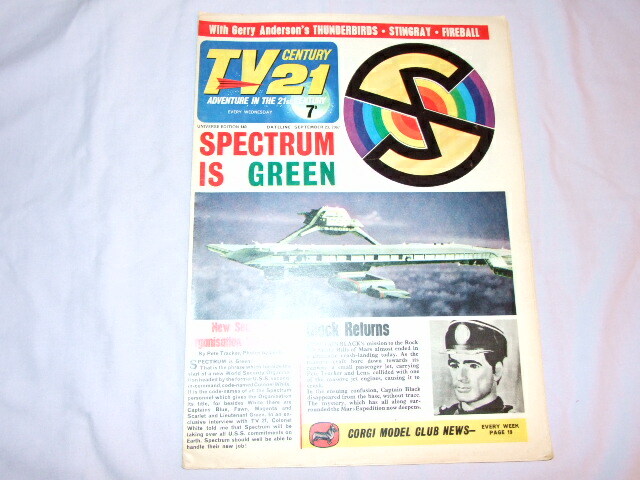 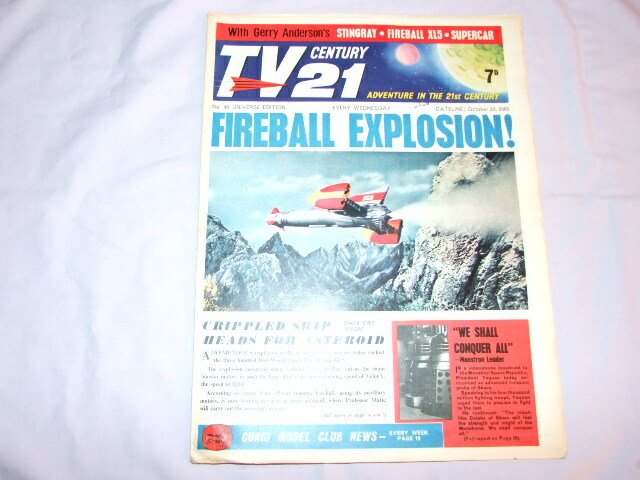 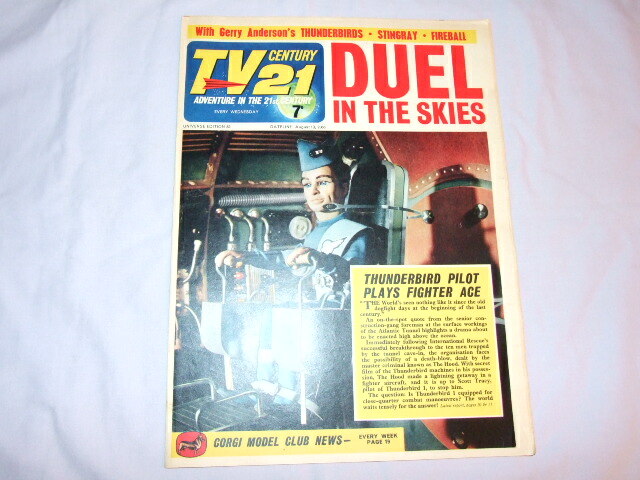 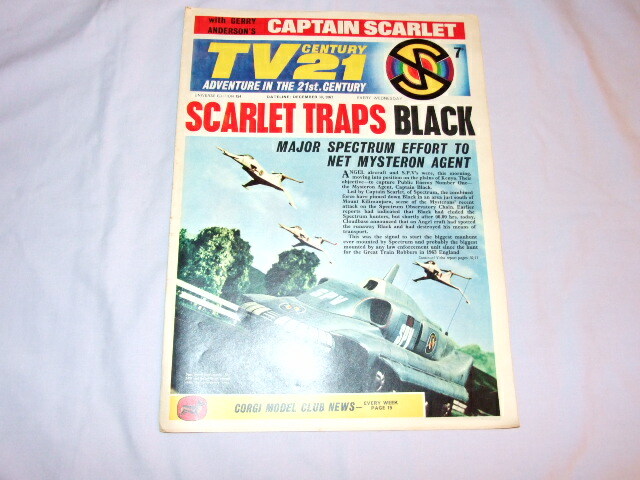 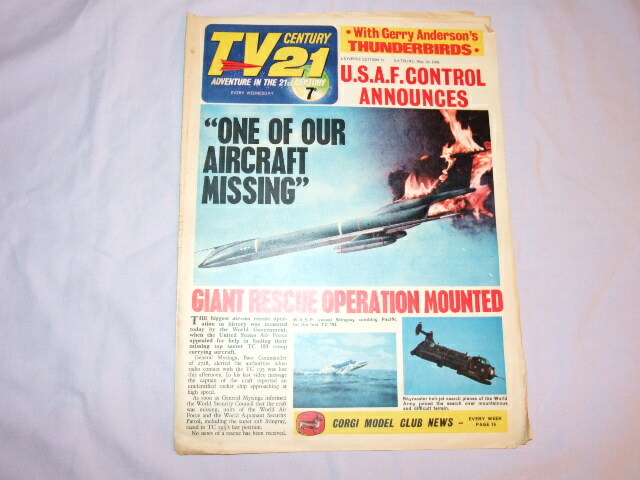 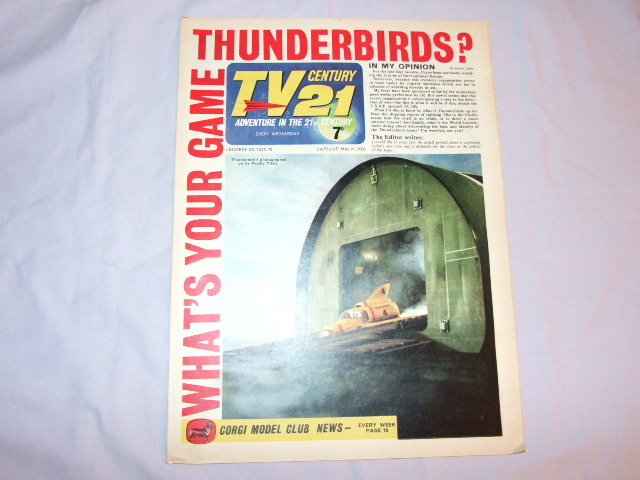 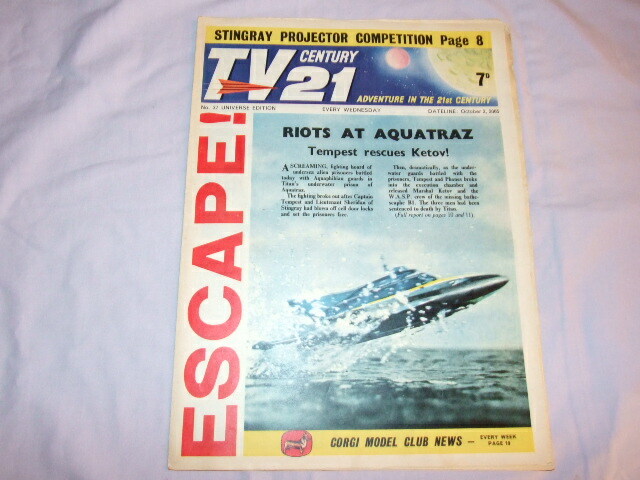 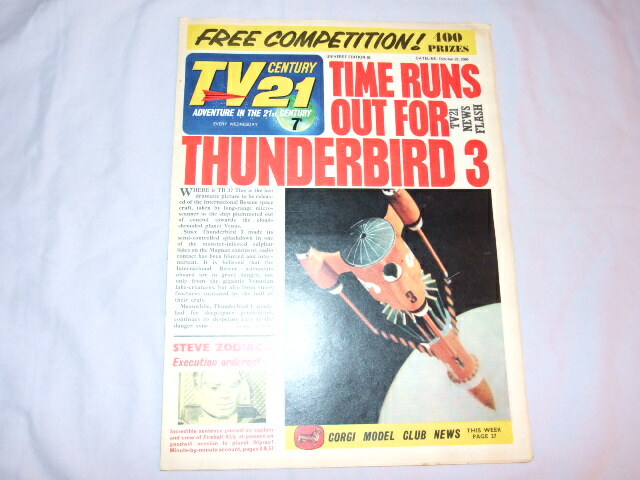 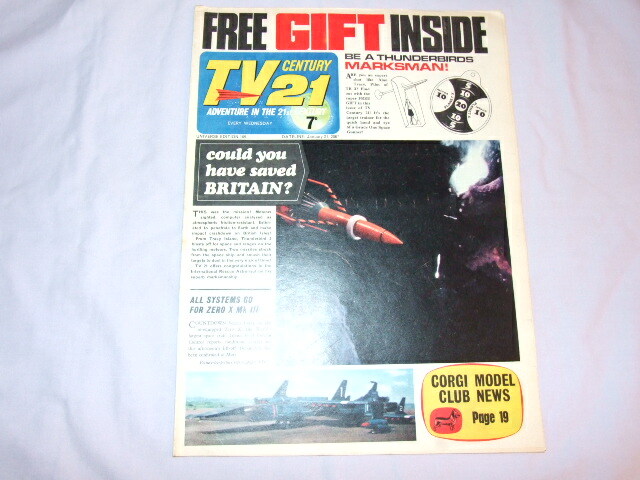 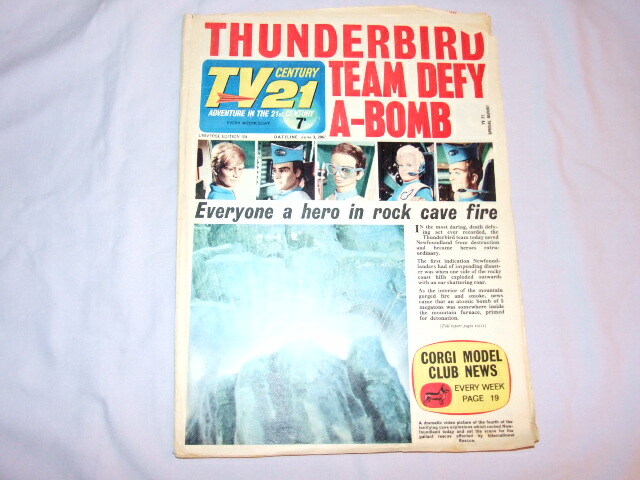 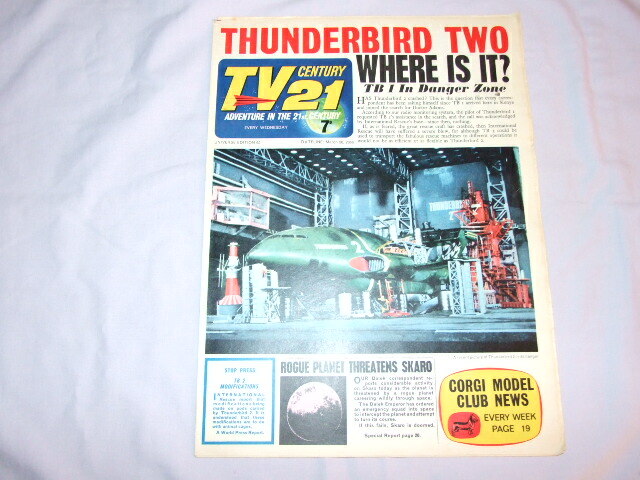 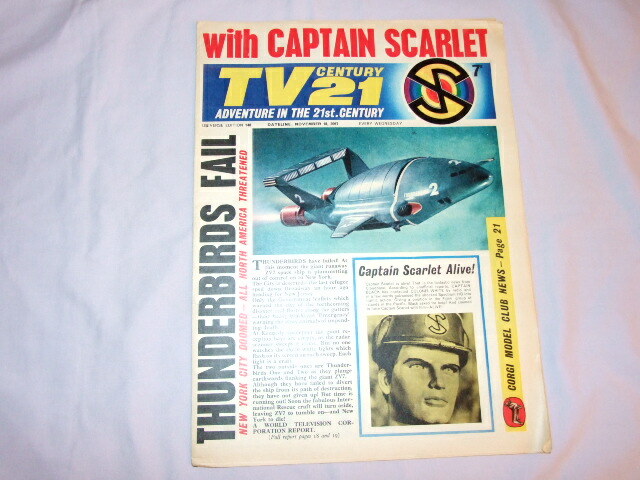 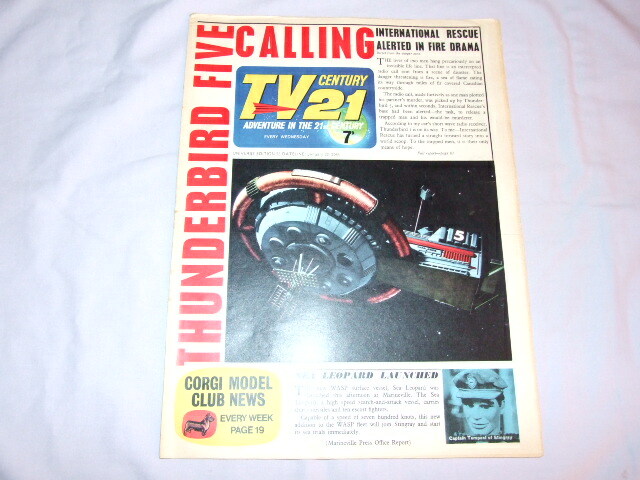 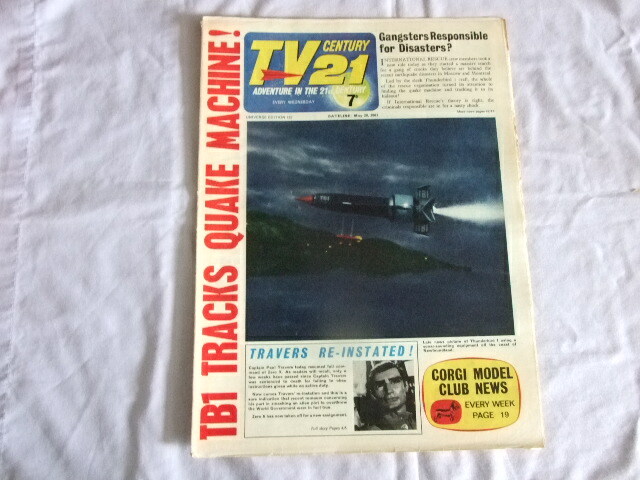 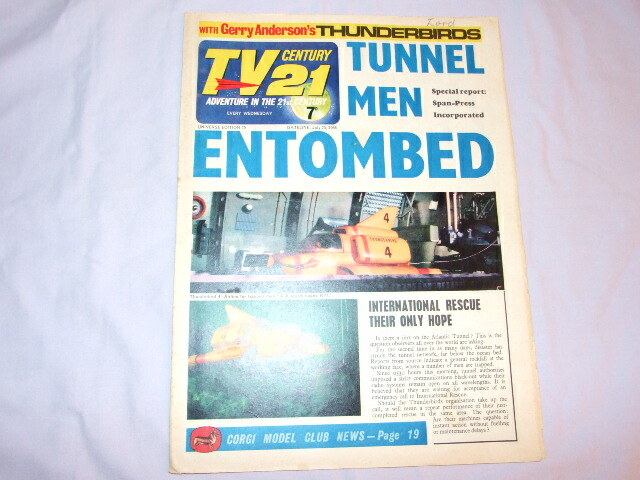 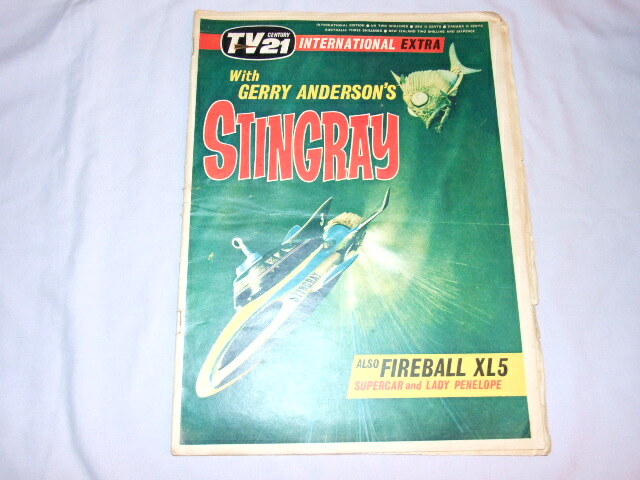 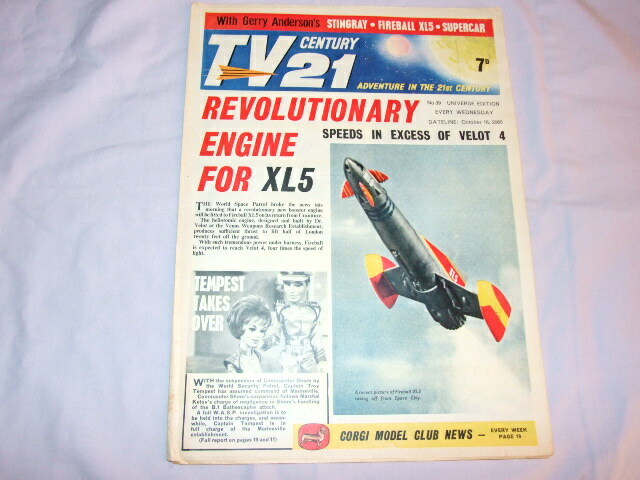 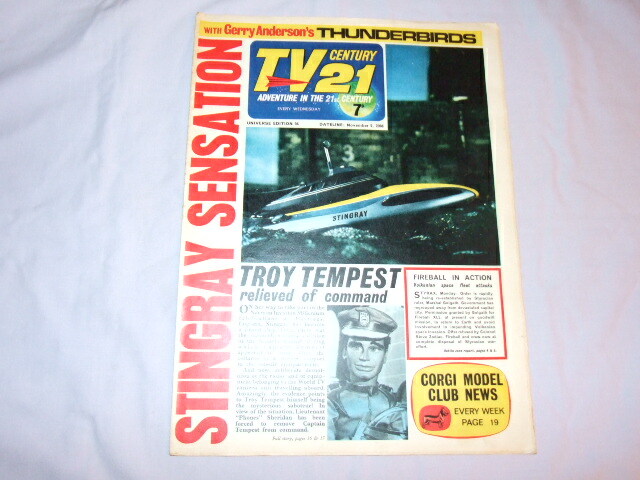 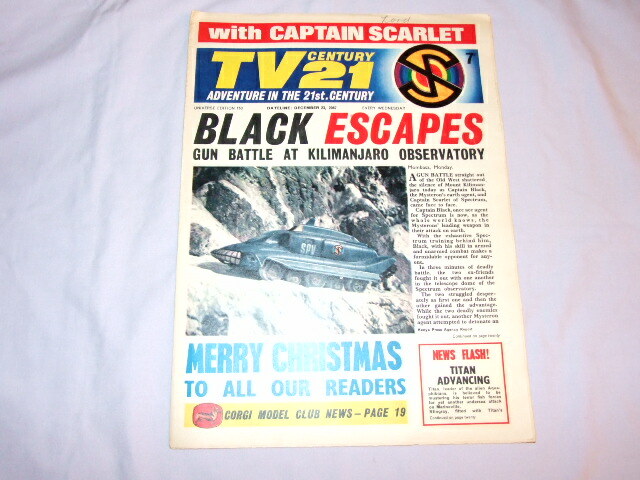 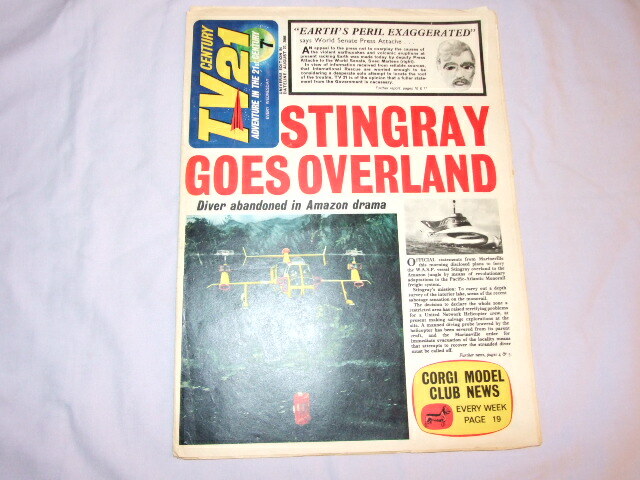 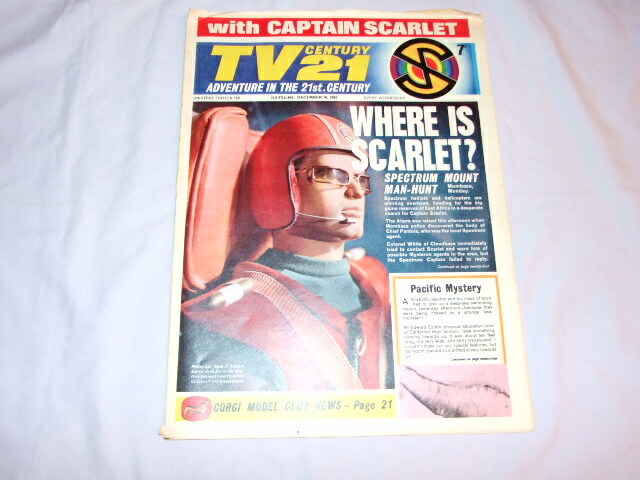 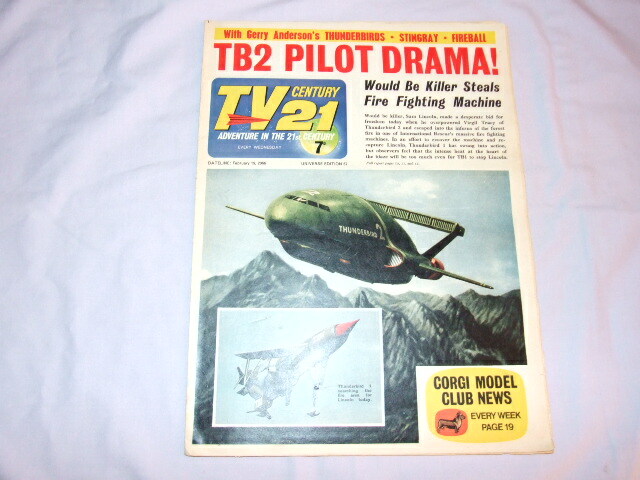 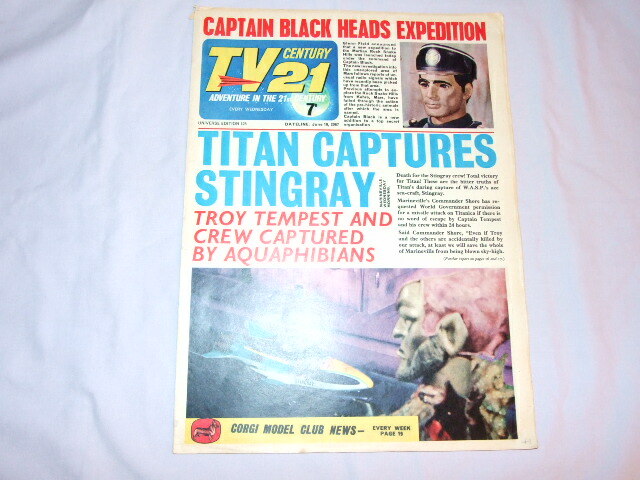 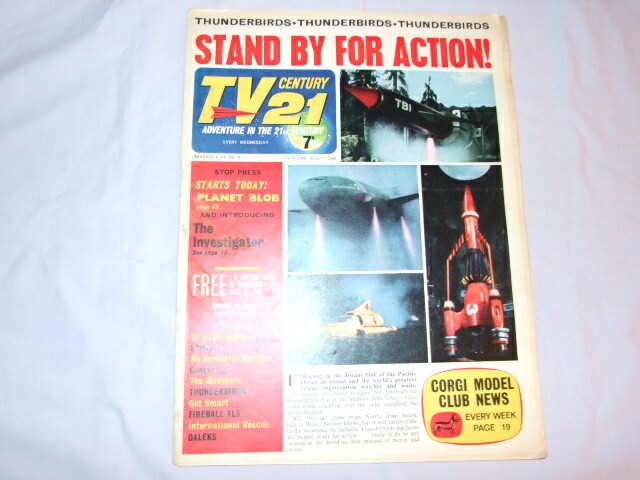 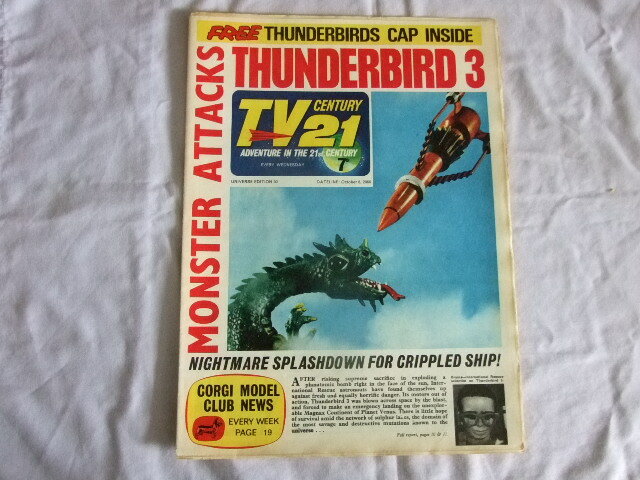 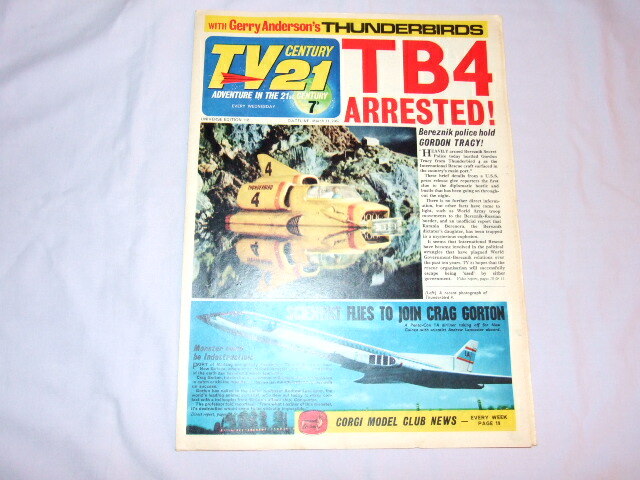 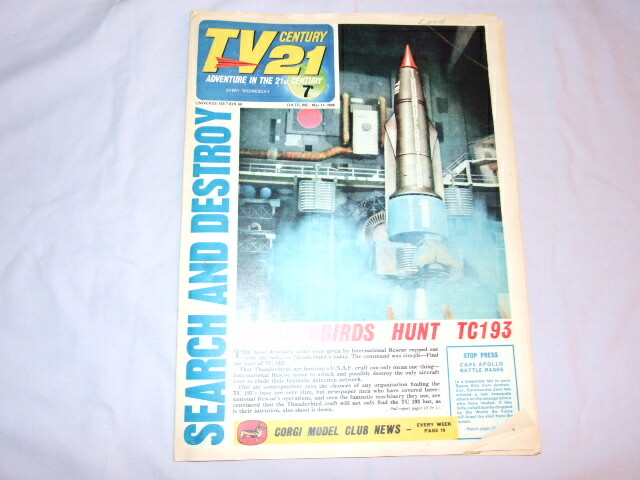 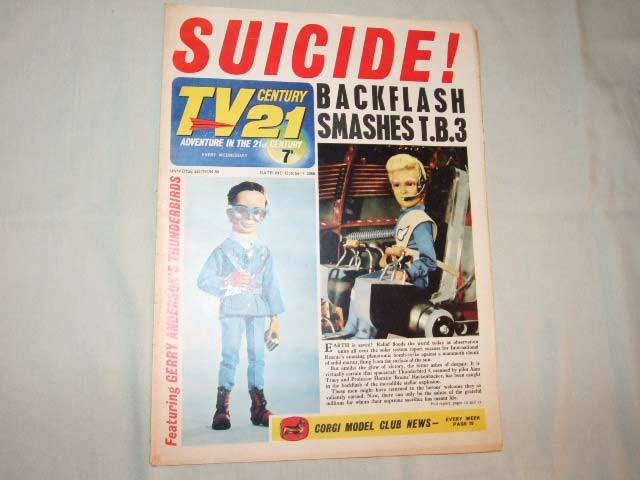 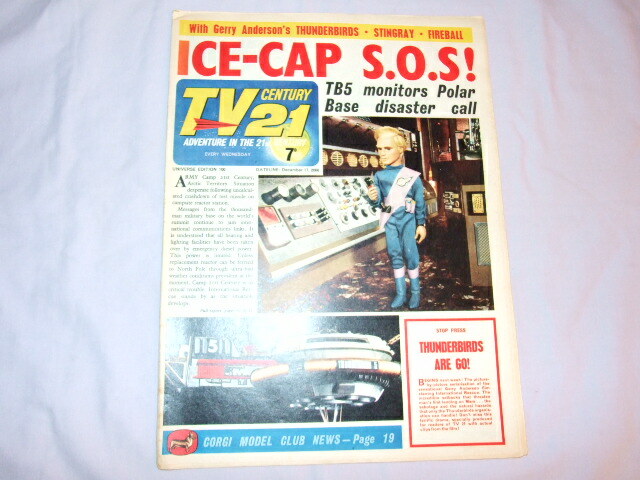 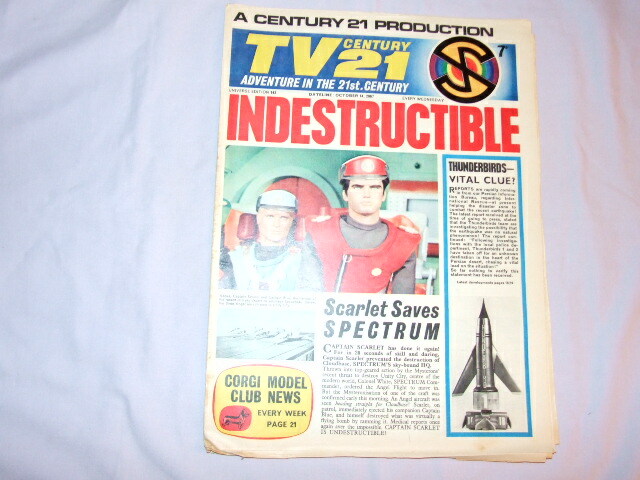 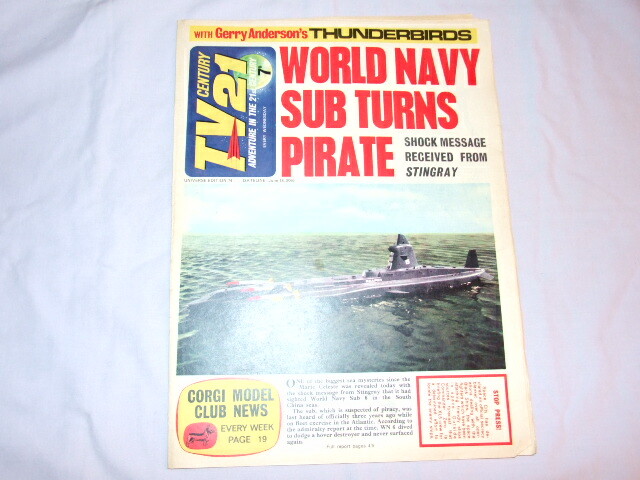 Please use this page to view the covers of this magazine which brought the world of Fireball XL5, Stingray, Supercar, Thunderbirds and Captain Scarlet to a million readers. 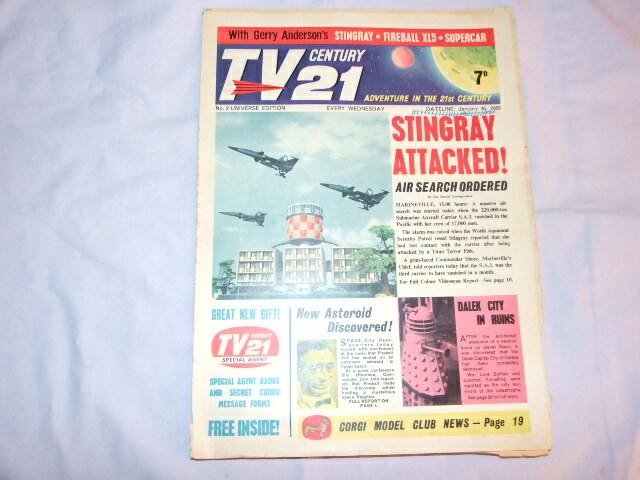 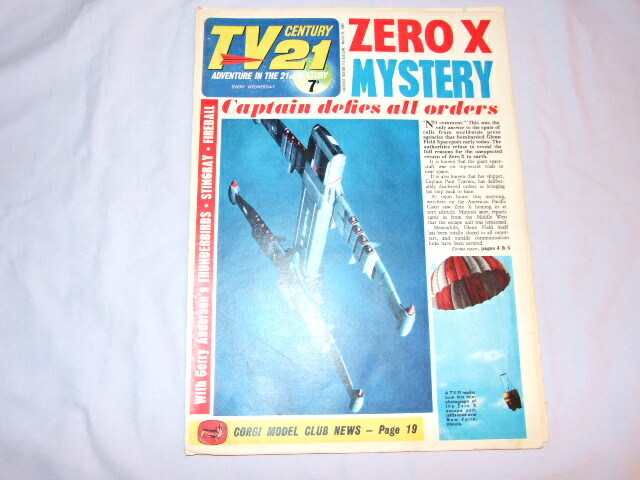 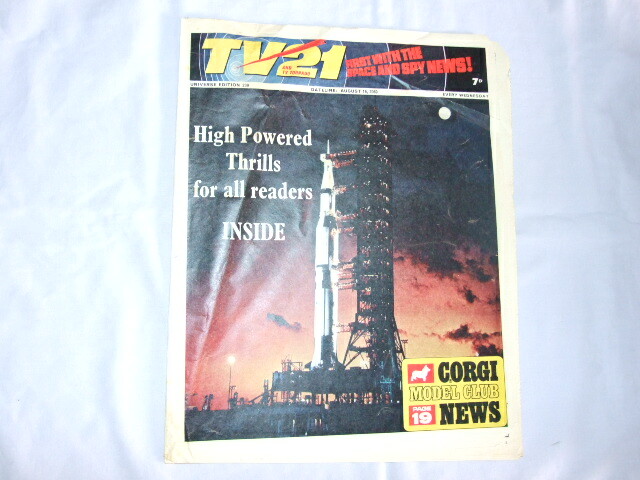 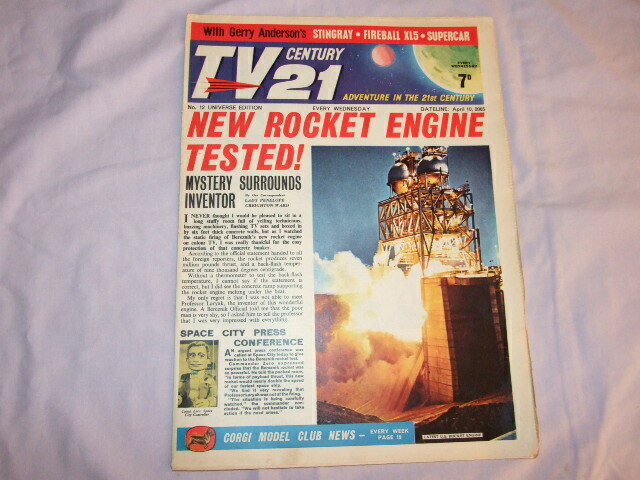 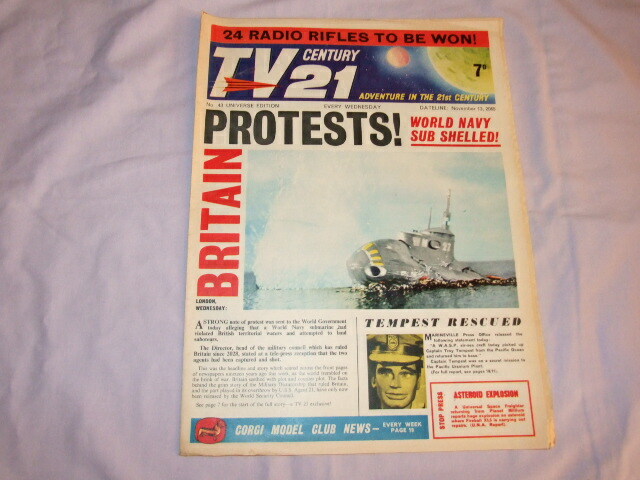 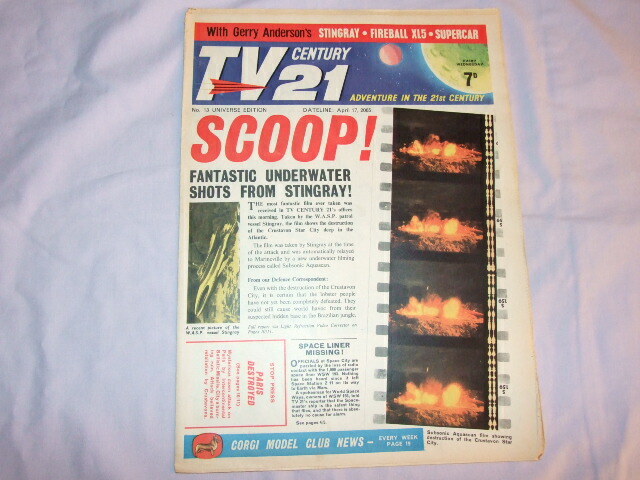 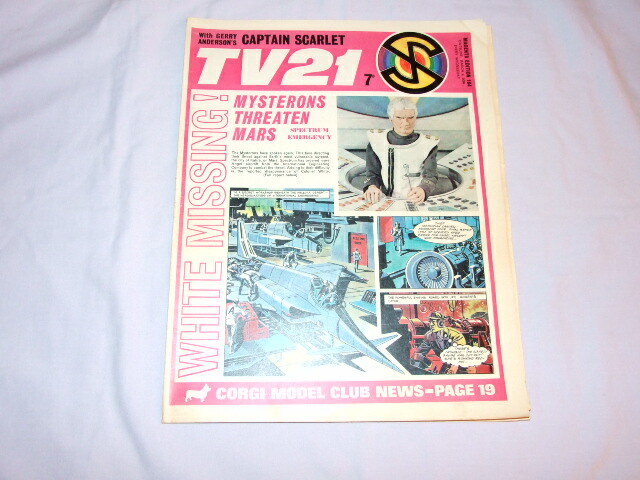 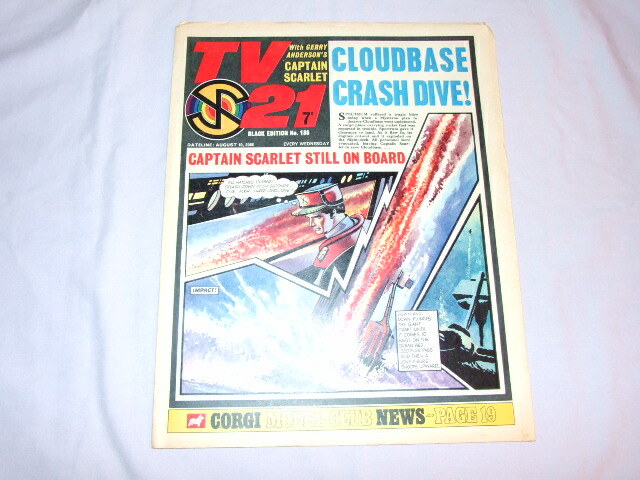 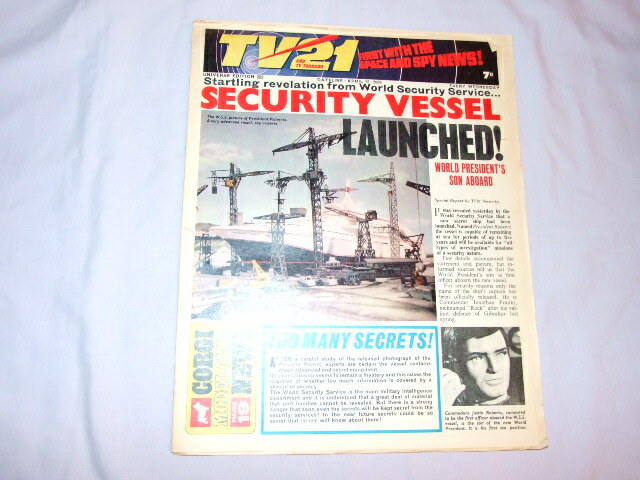 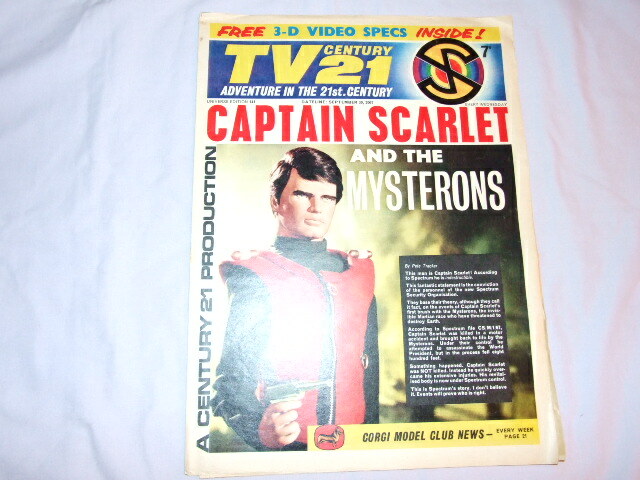 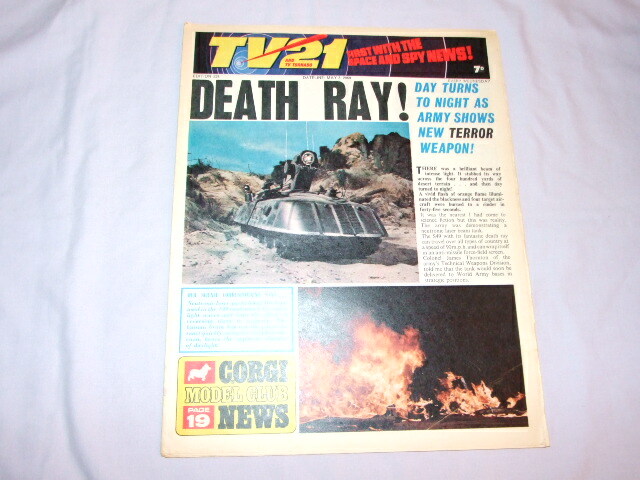 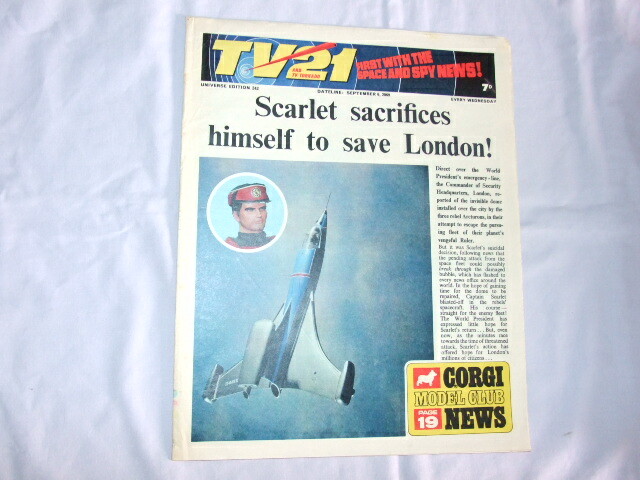 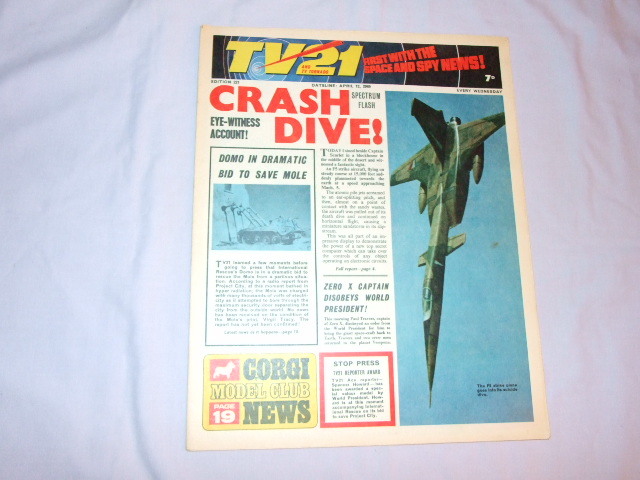 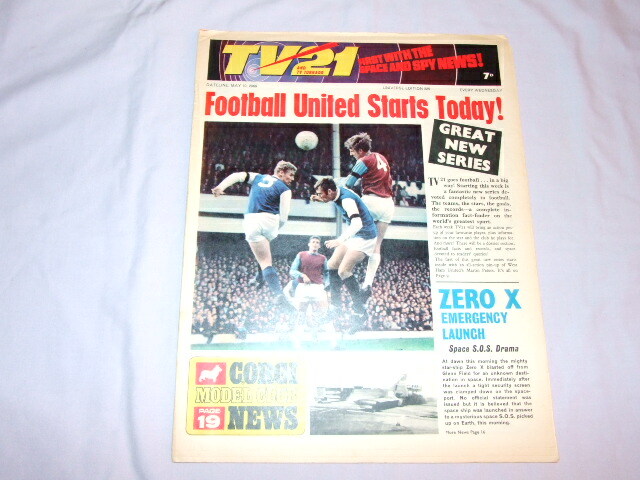 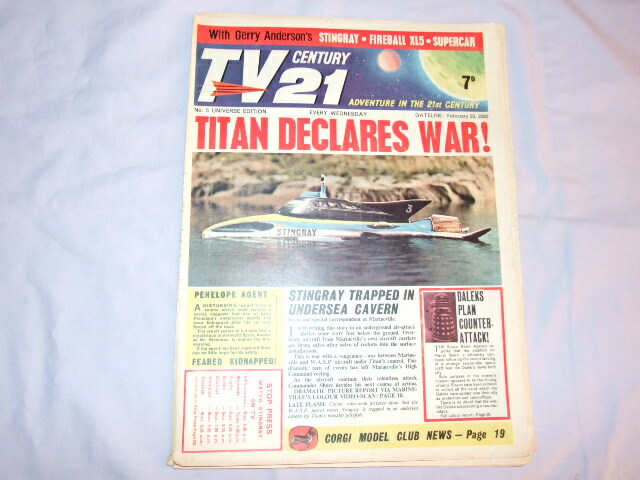 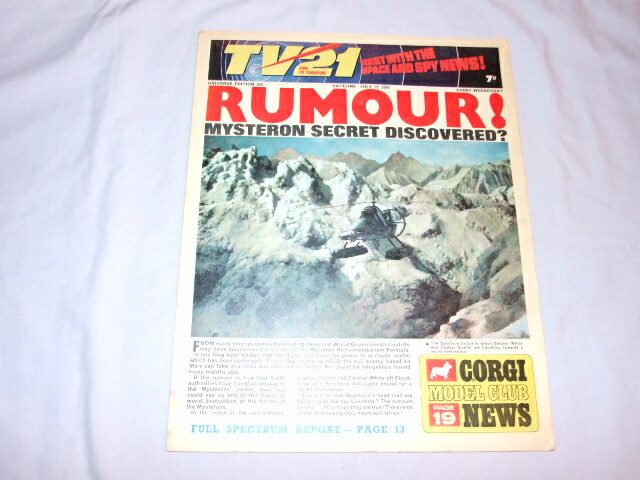 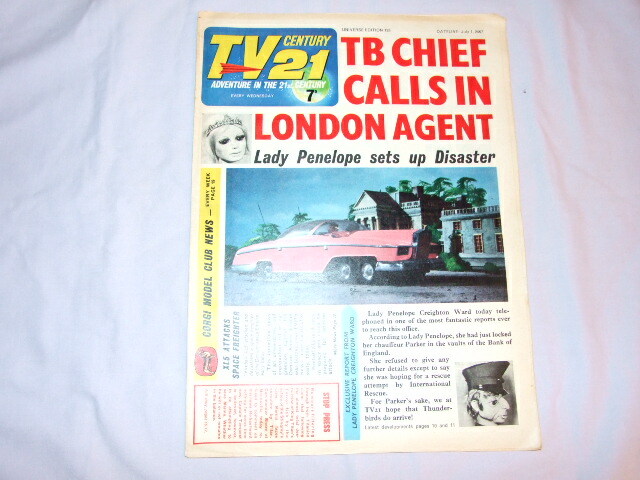 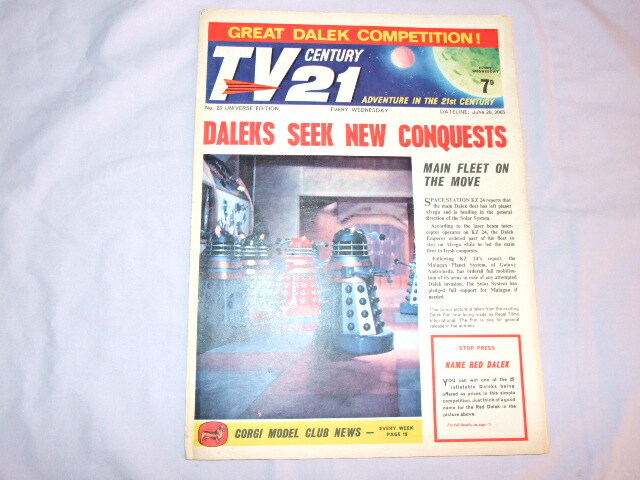 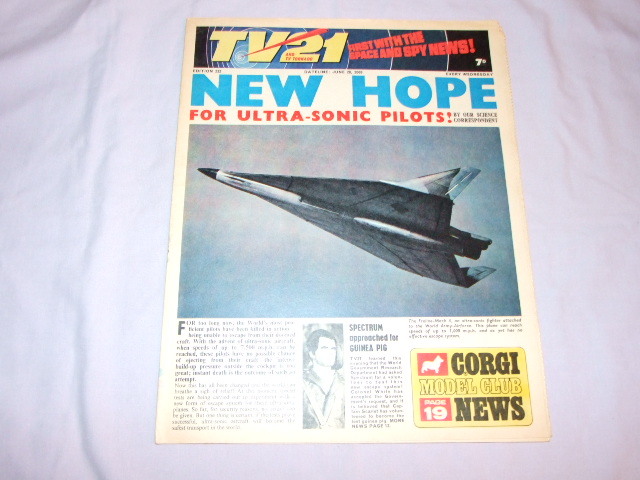 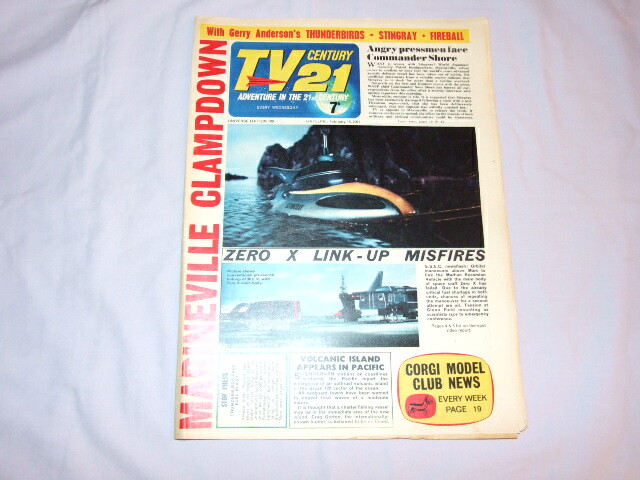 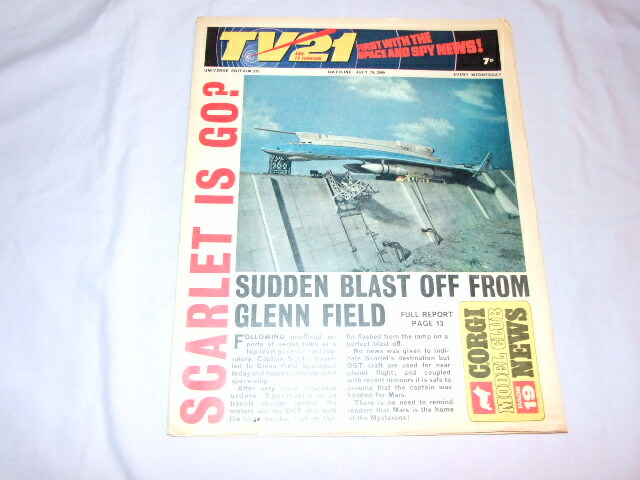 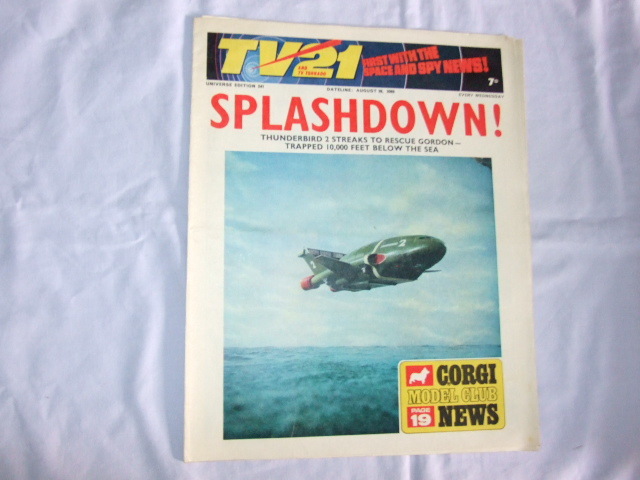 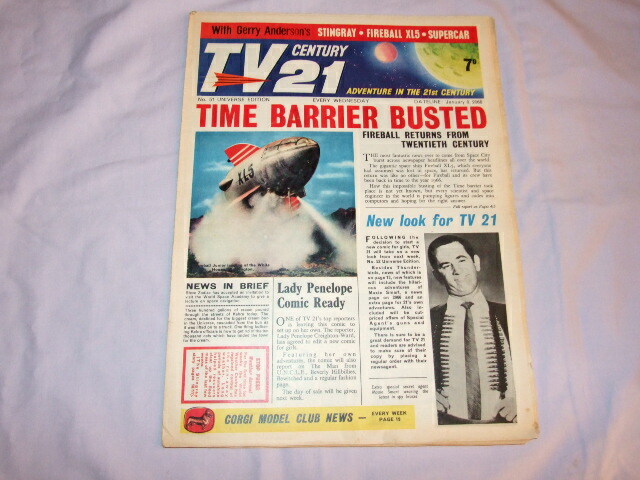 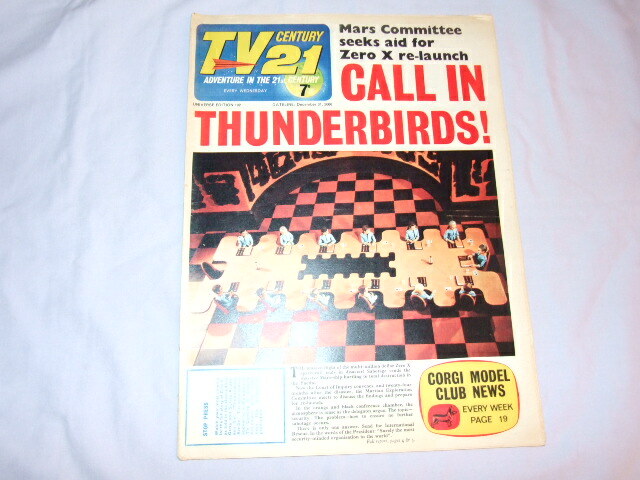 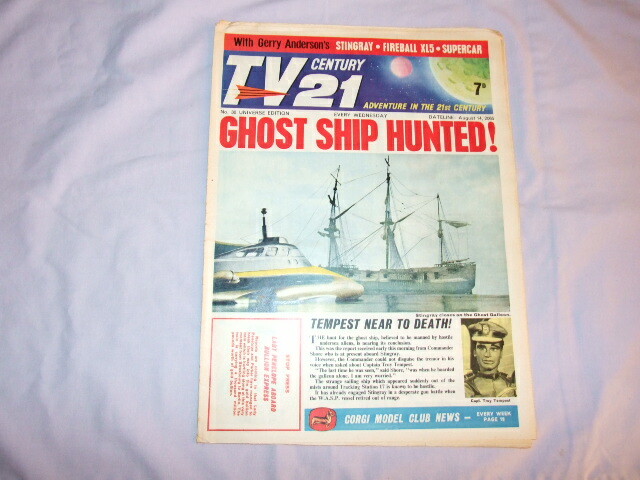 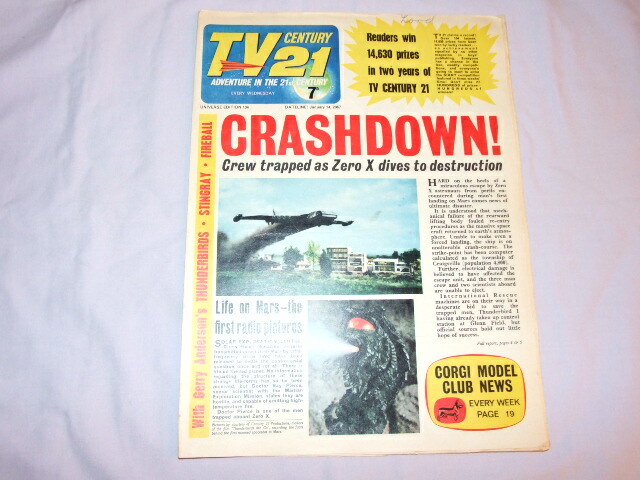 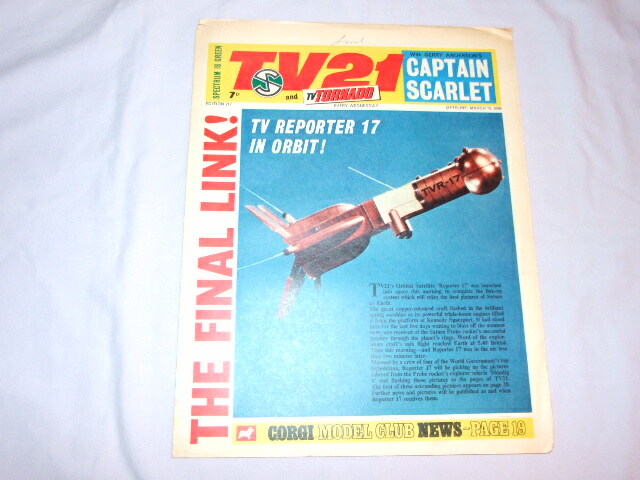 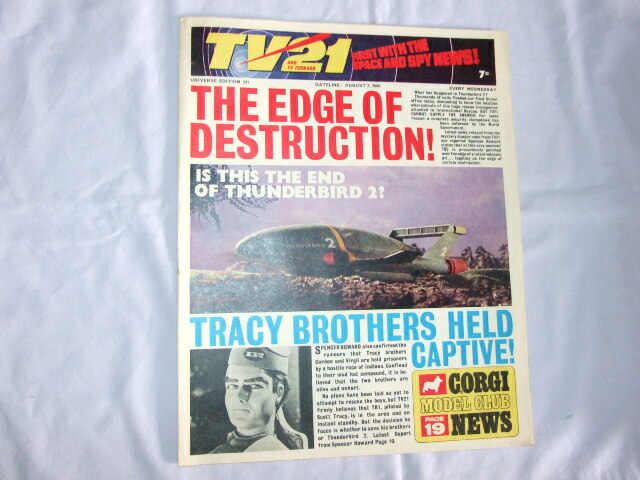 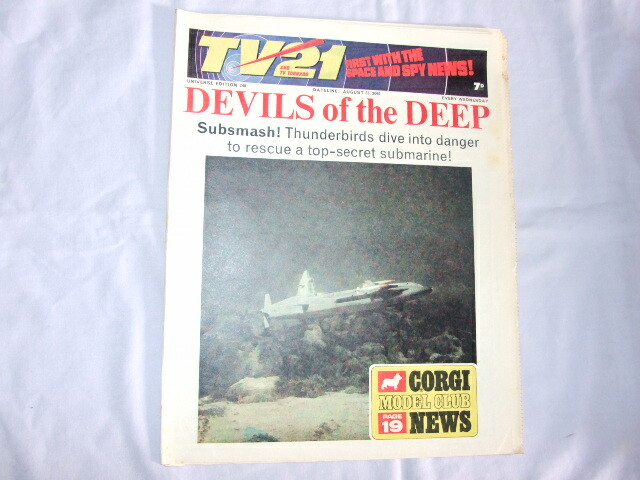 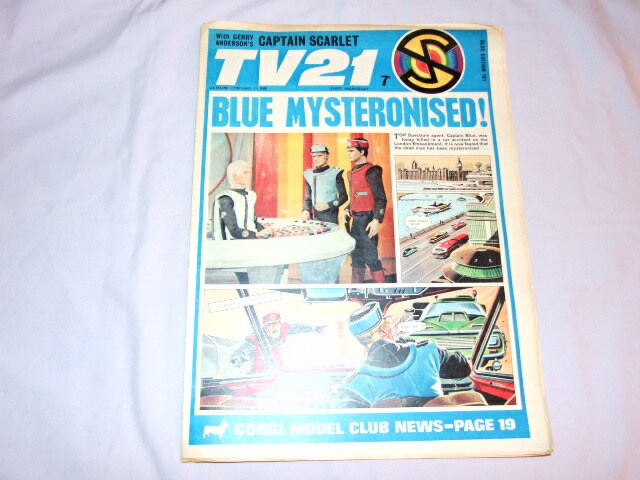 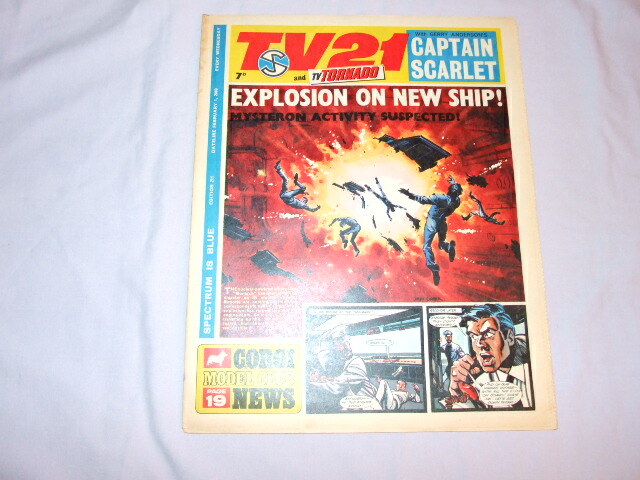 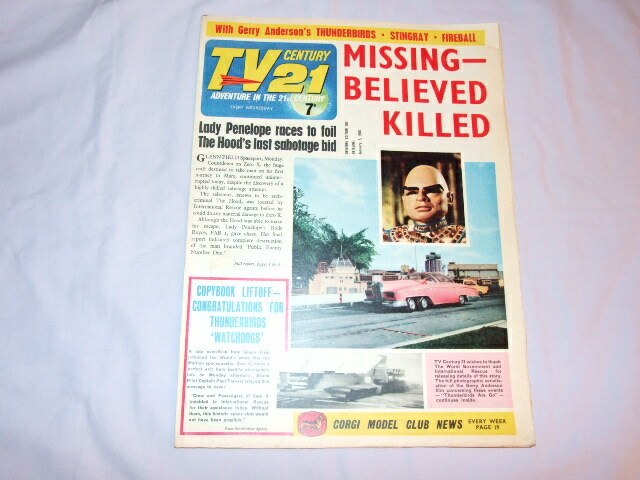 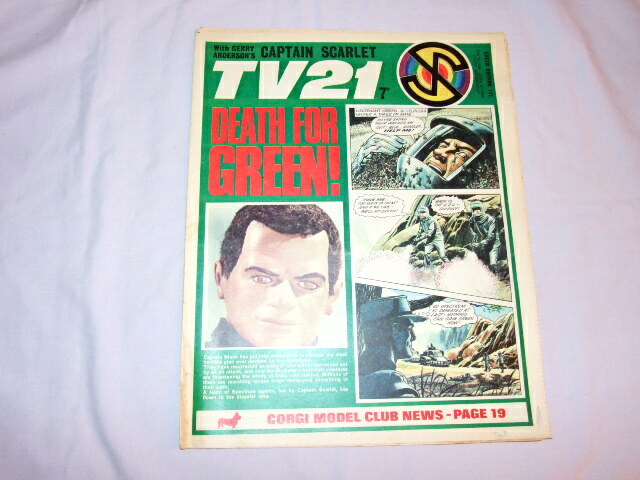 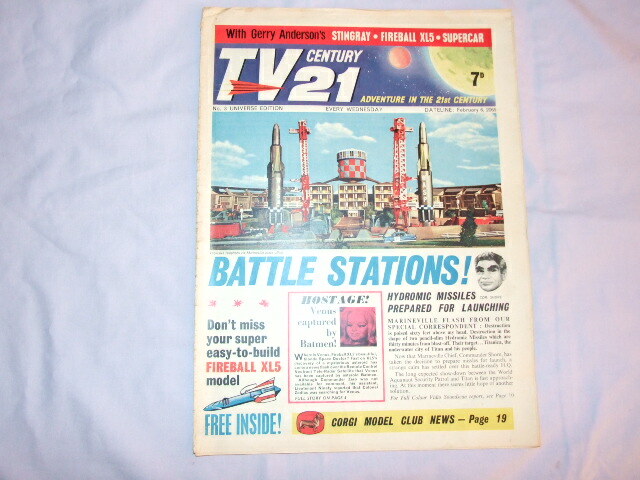 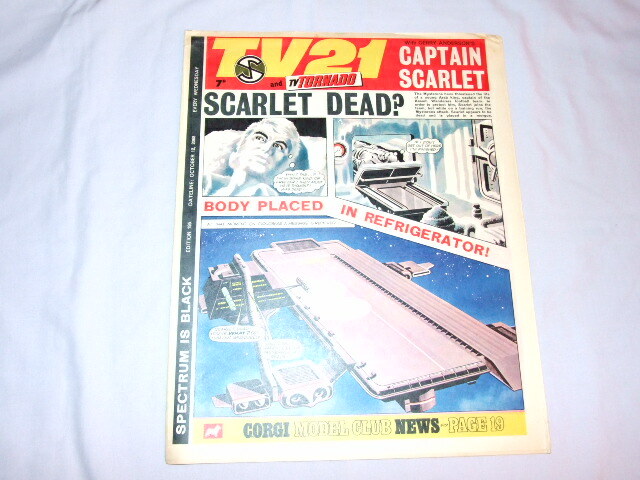 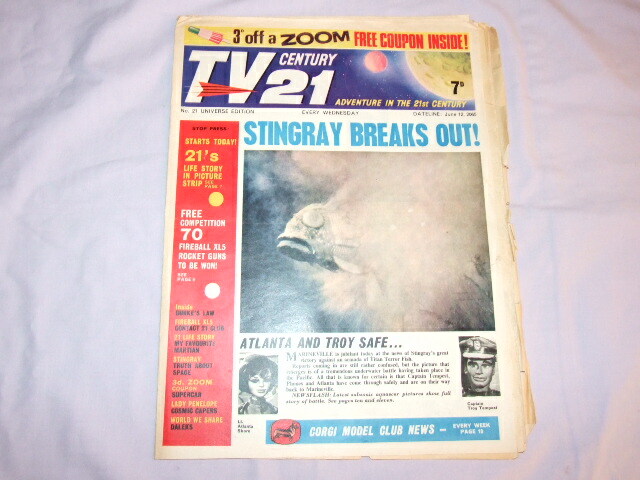 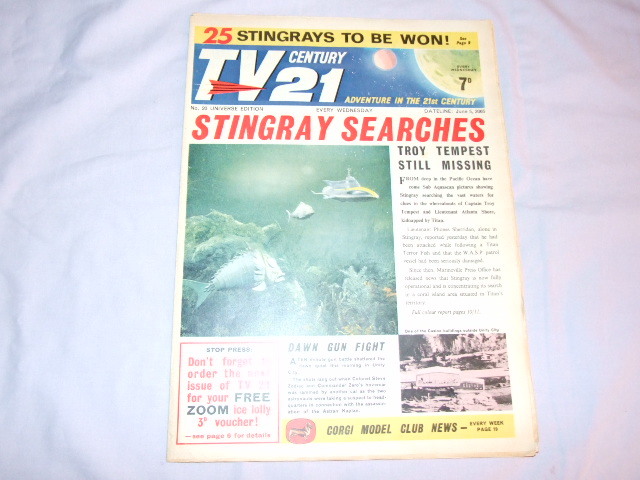 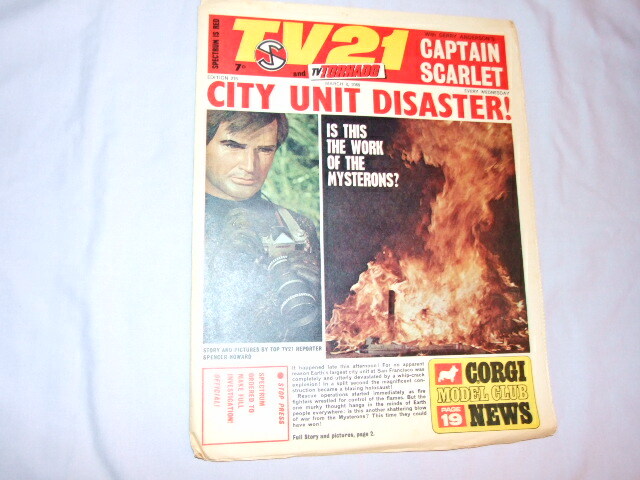 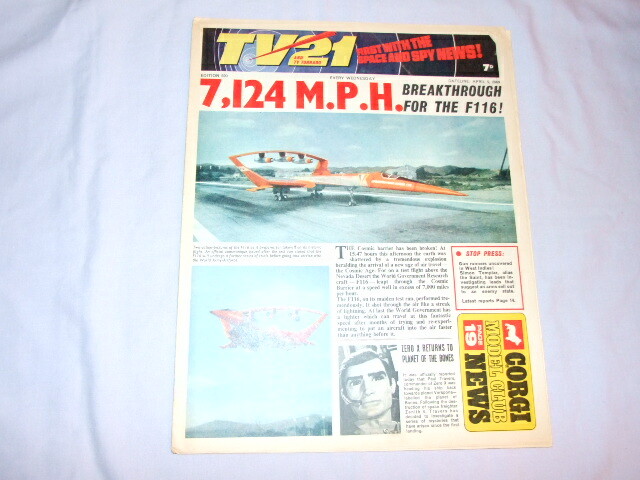 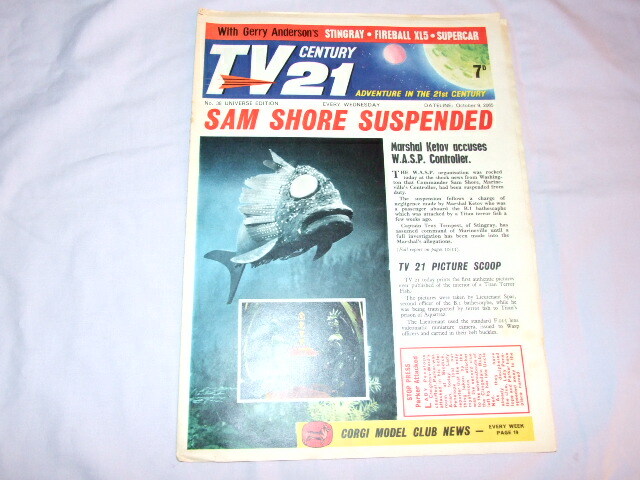 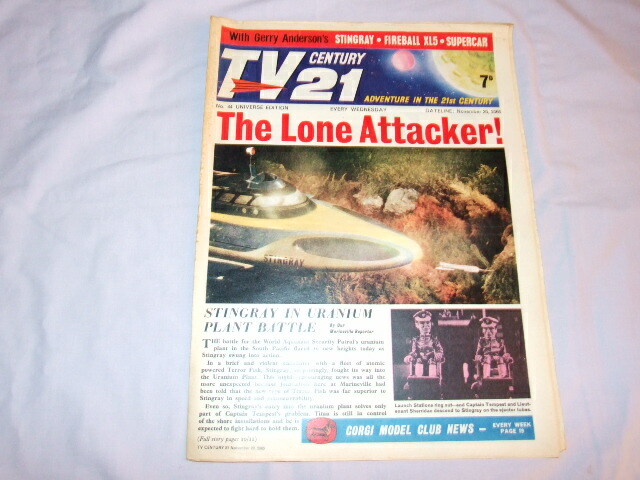 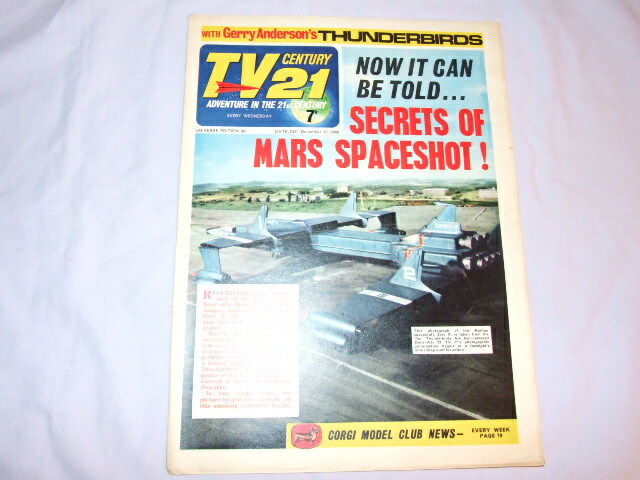 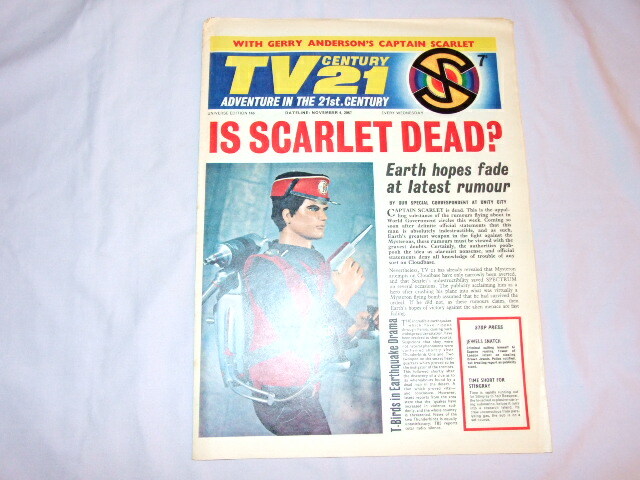 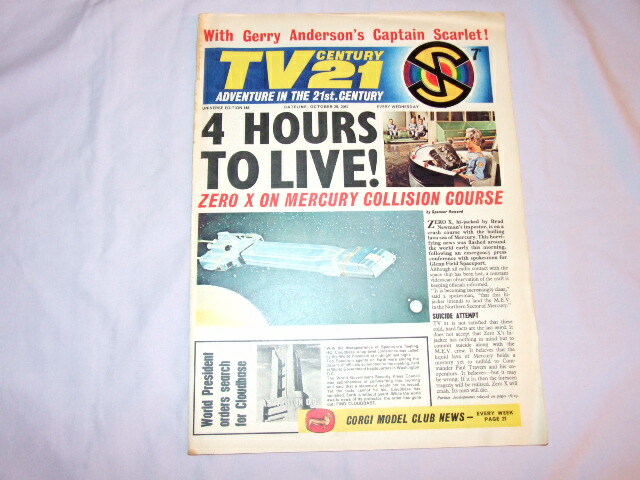 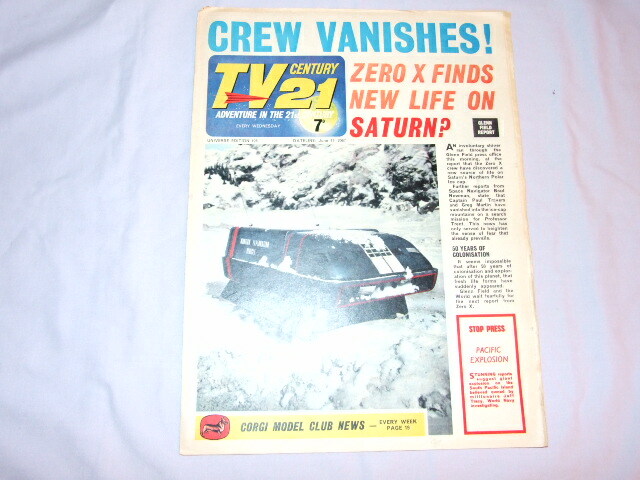 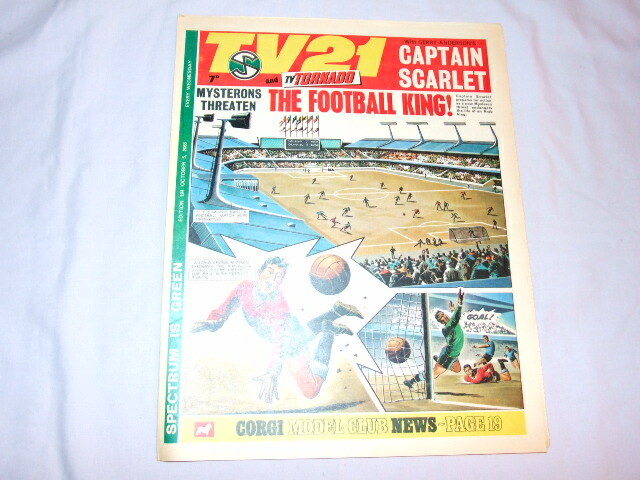 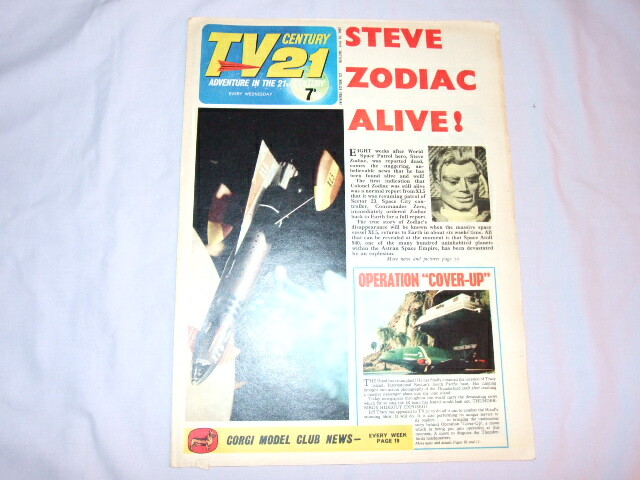 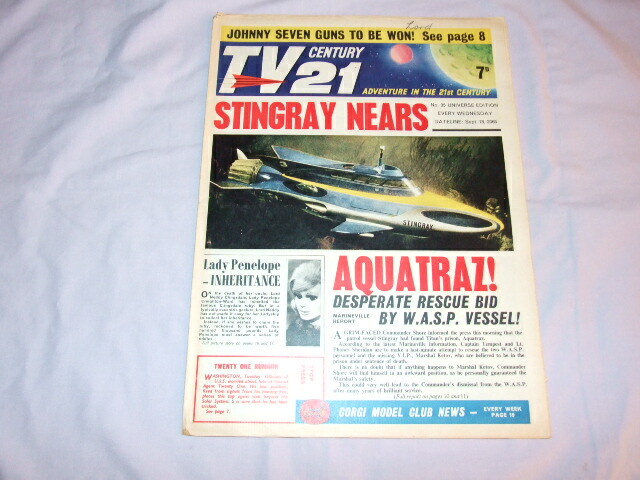 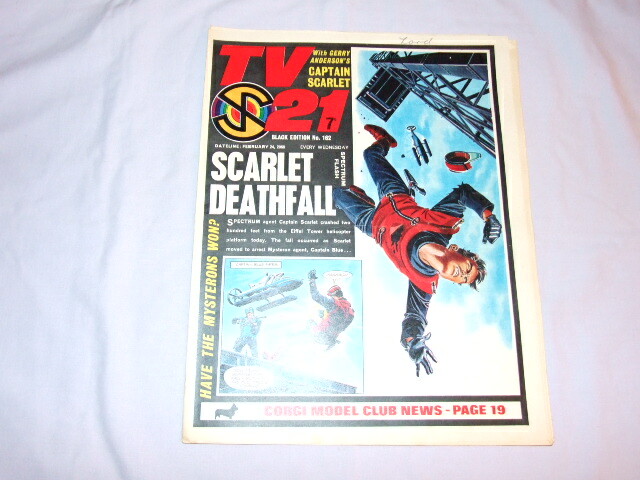 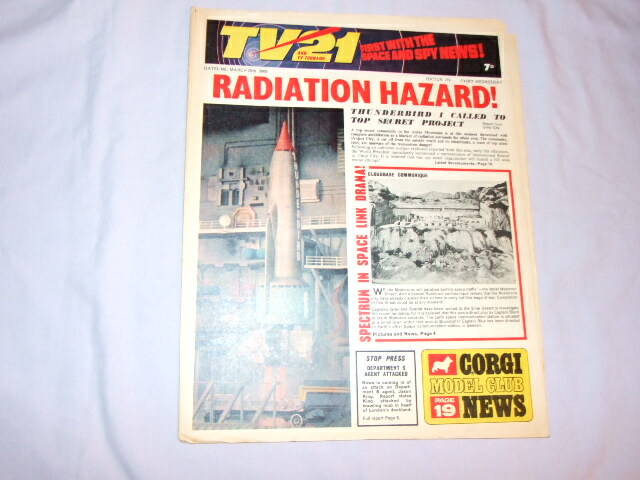 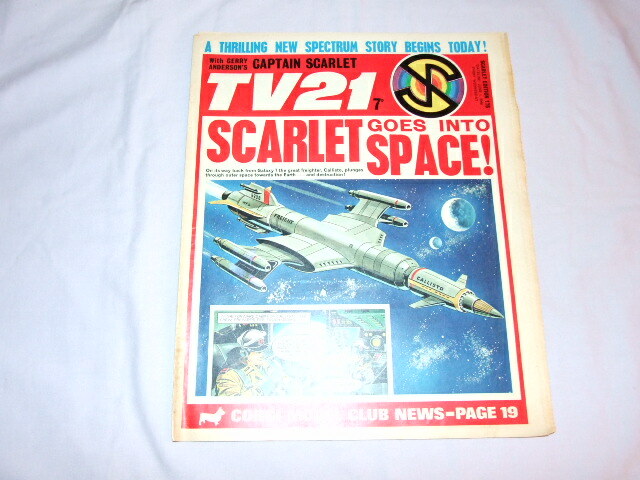 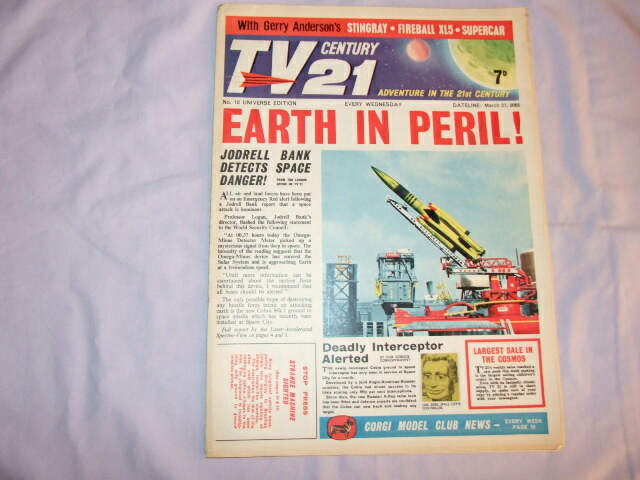 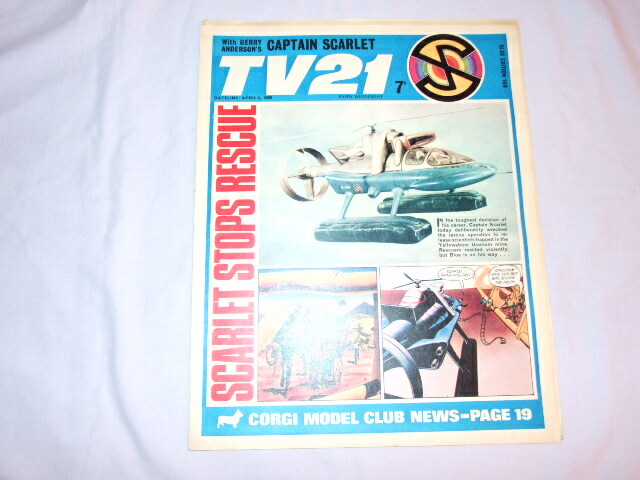 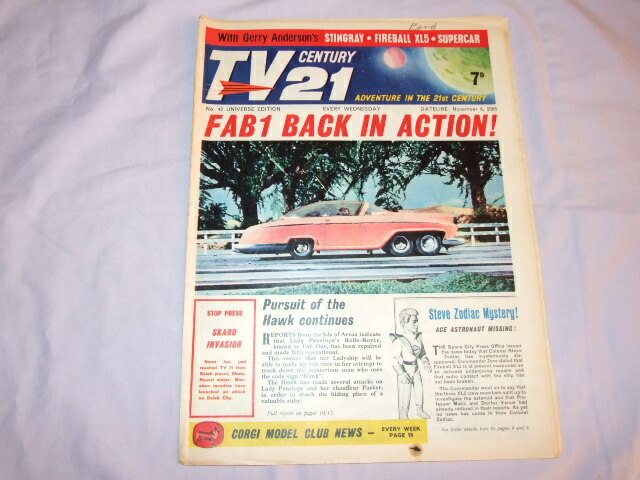 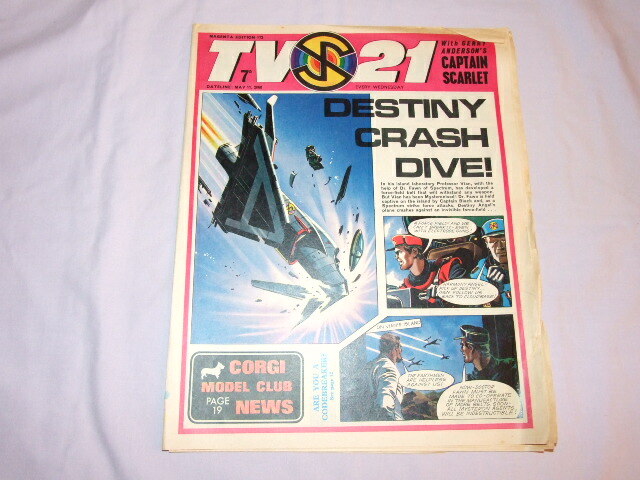 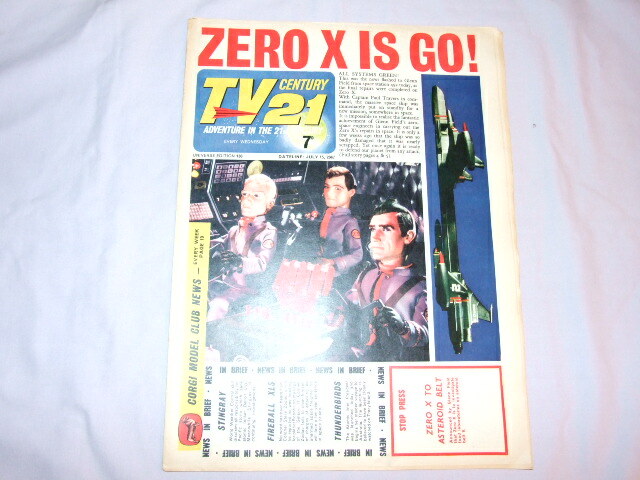 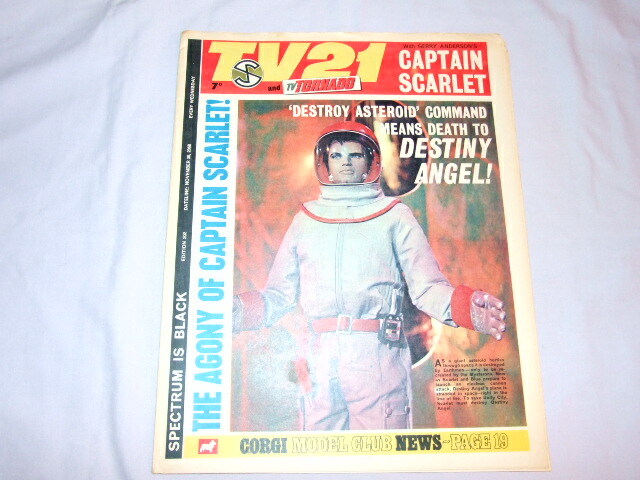 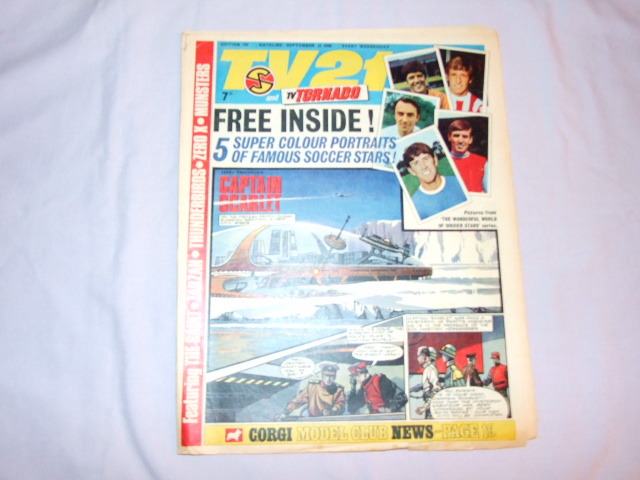 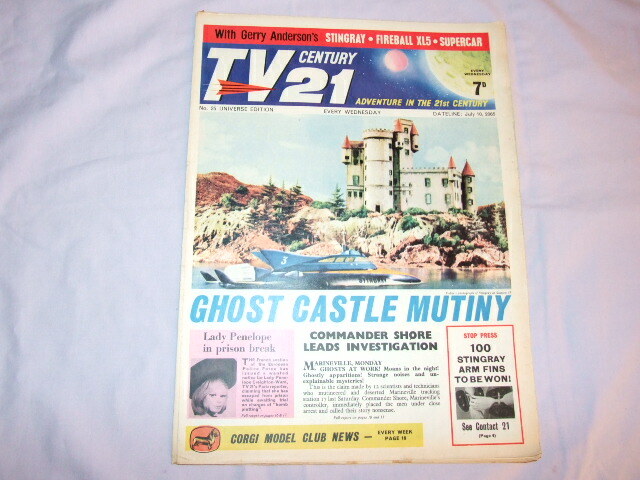 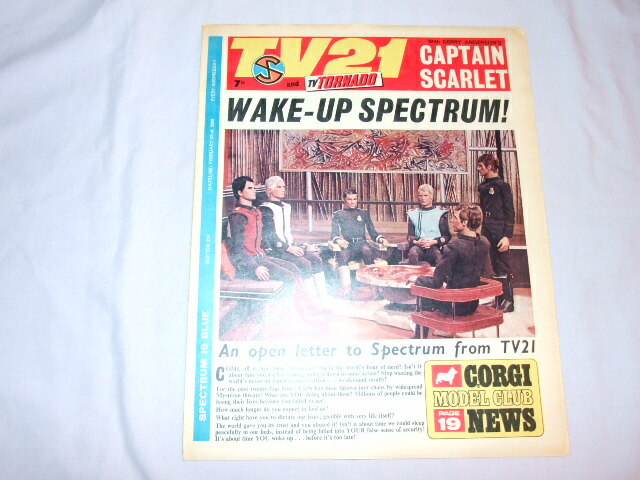 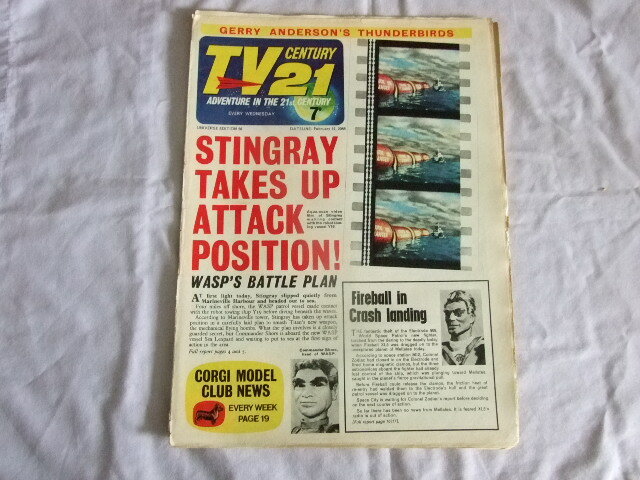 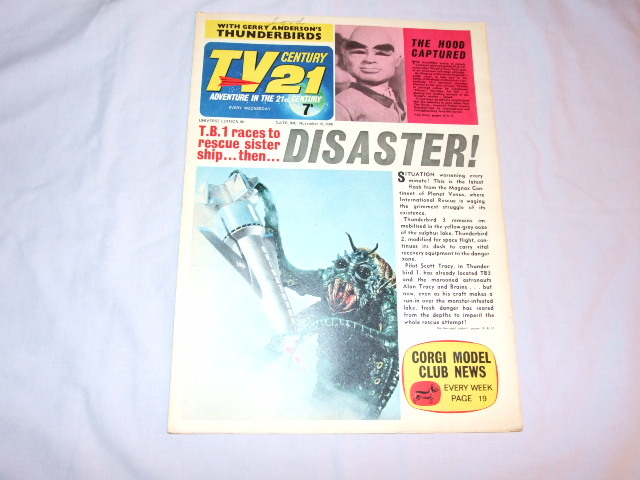 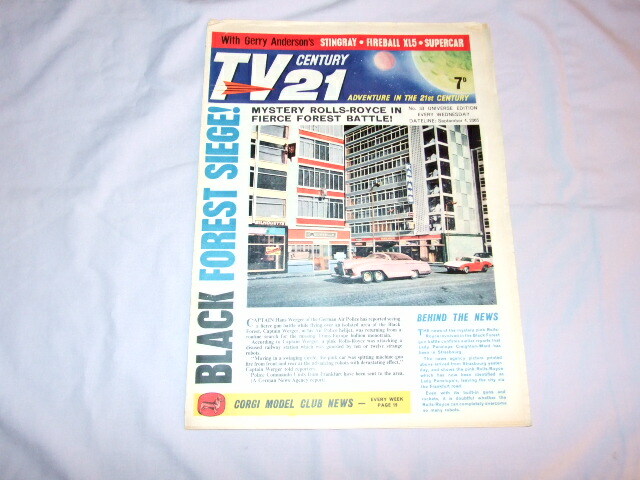 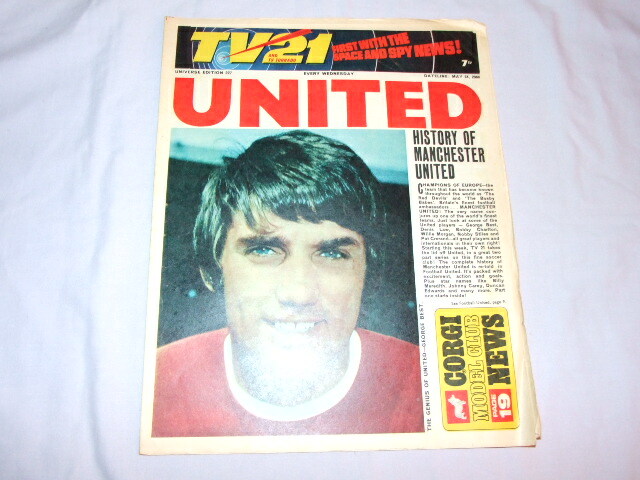 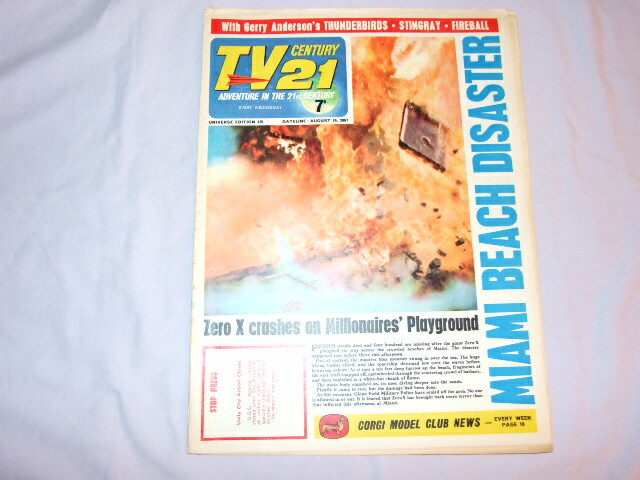 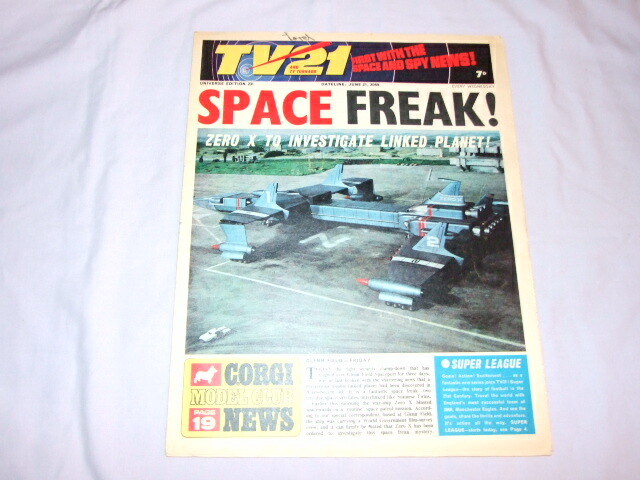 Please note that the links below show archive pictures of TV21 covers. 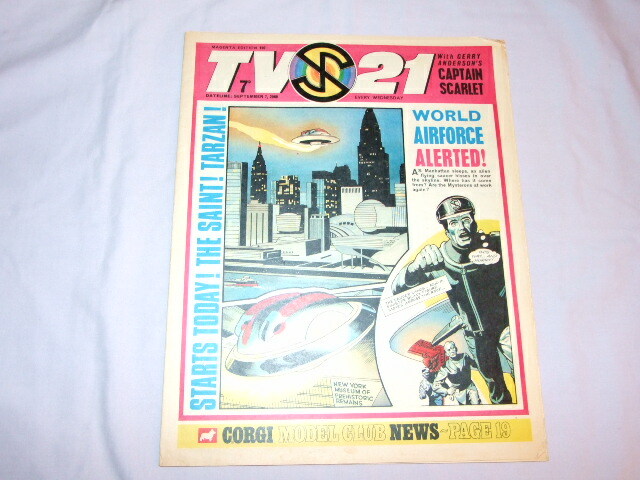 We no longer buy and sell TV21 comics.